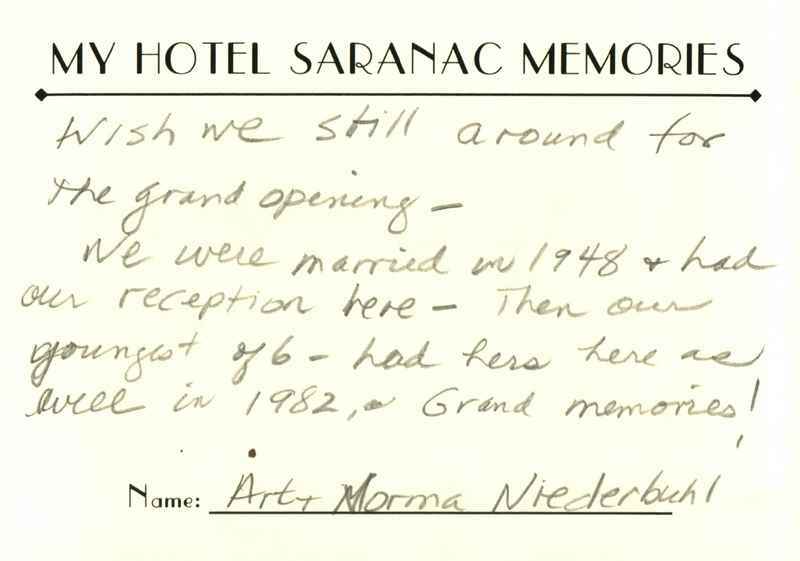 The Oral History Project has created a memory-share booth in Hotel Saranac's Great Hall, in honor of its recent reopening. 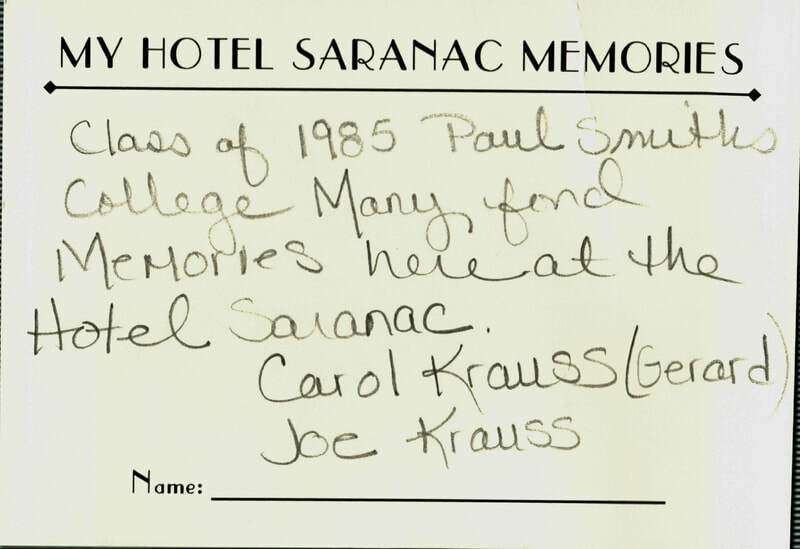 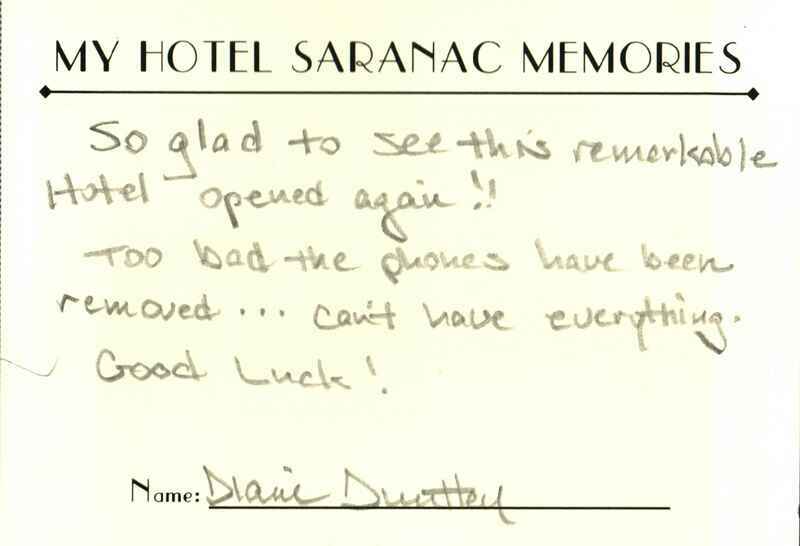 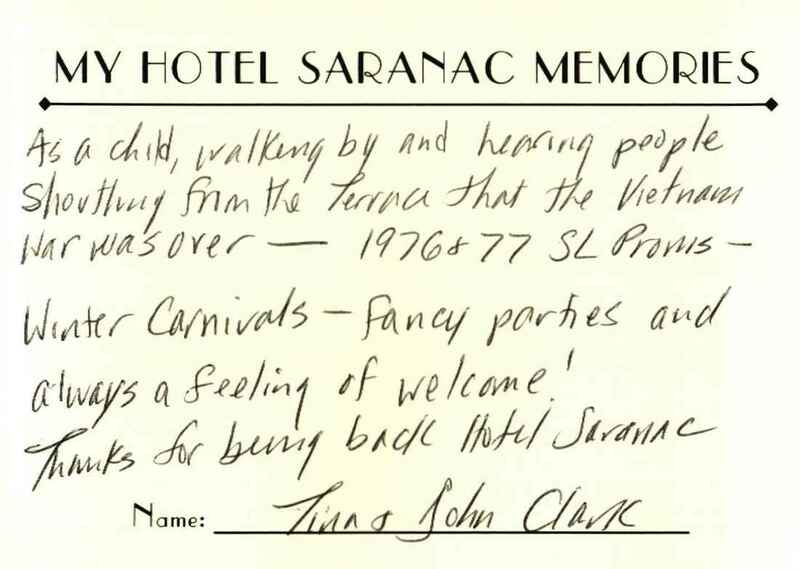 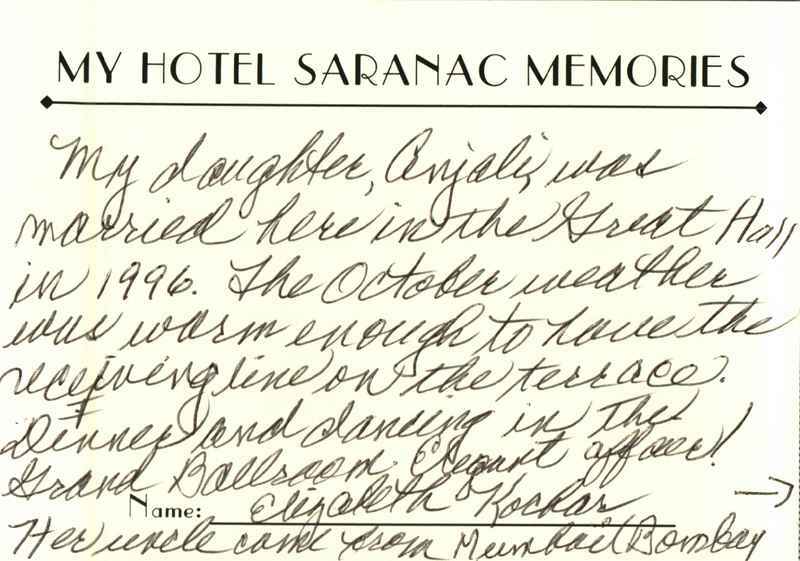 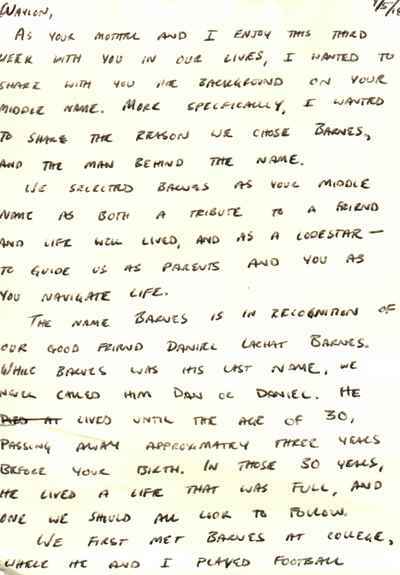 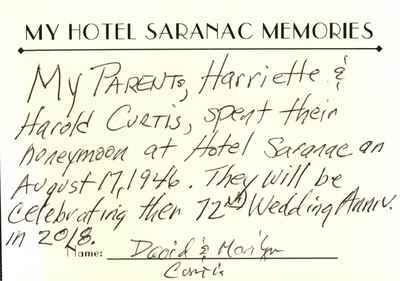 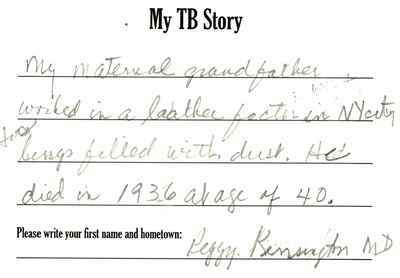 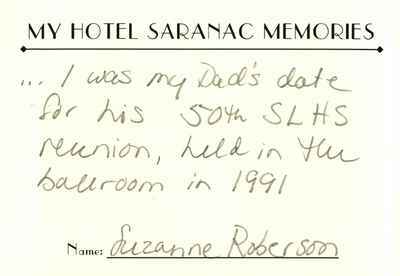 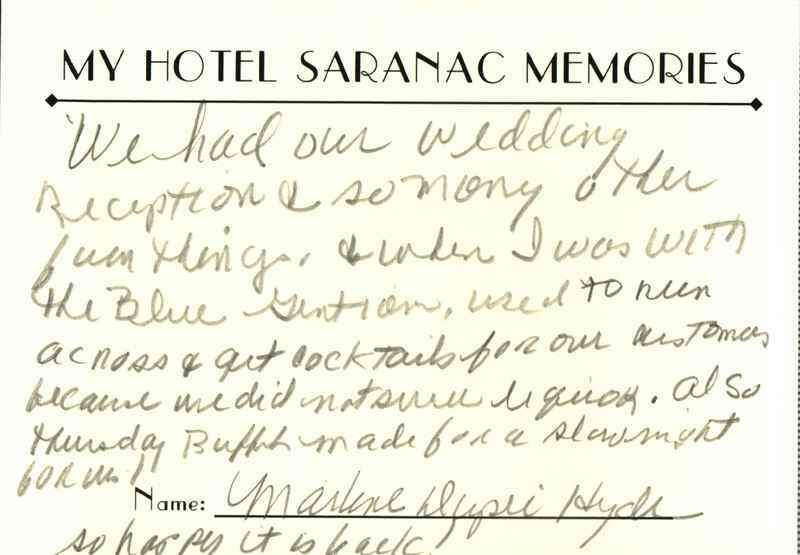 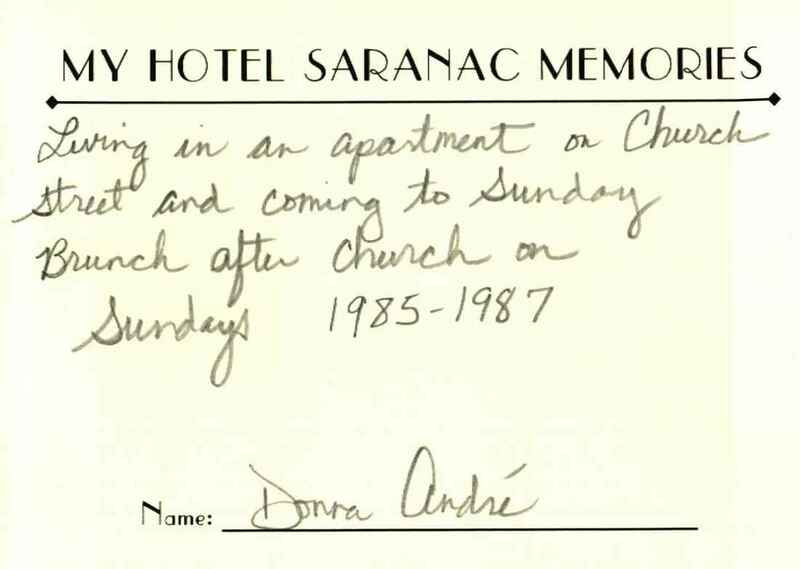 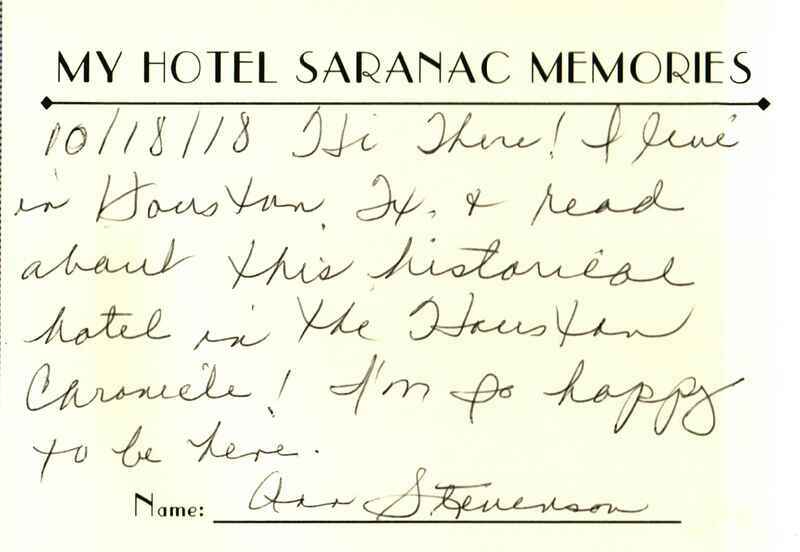 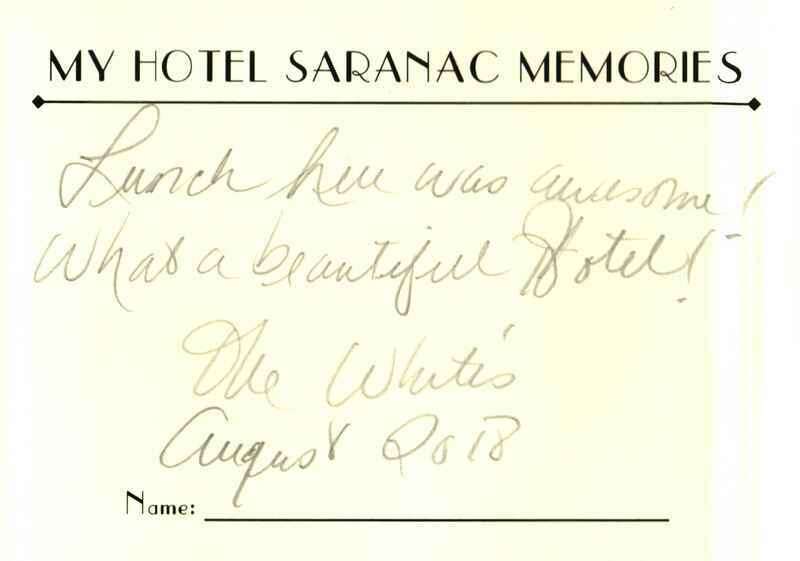 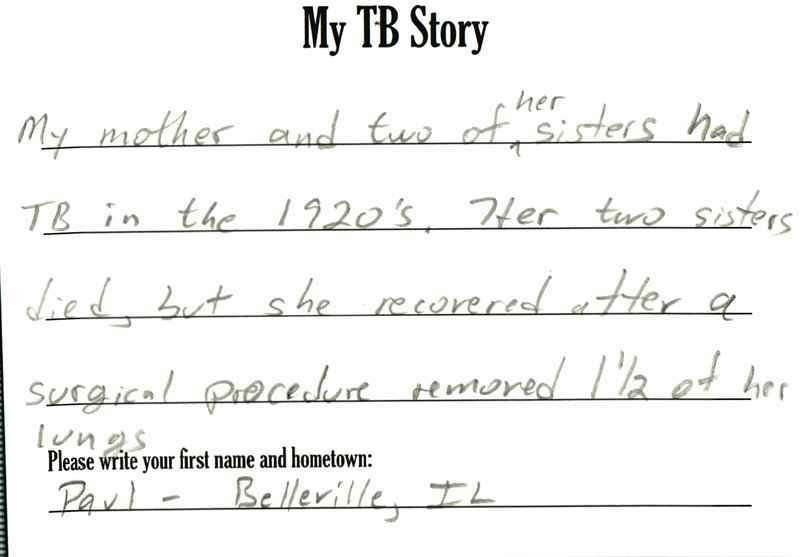 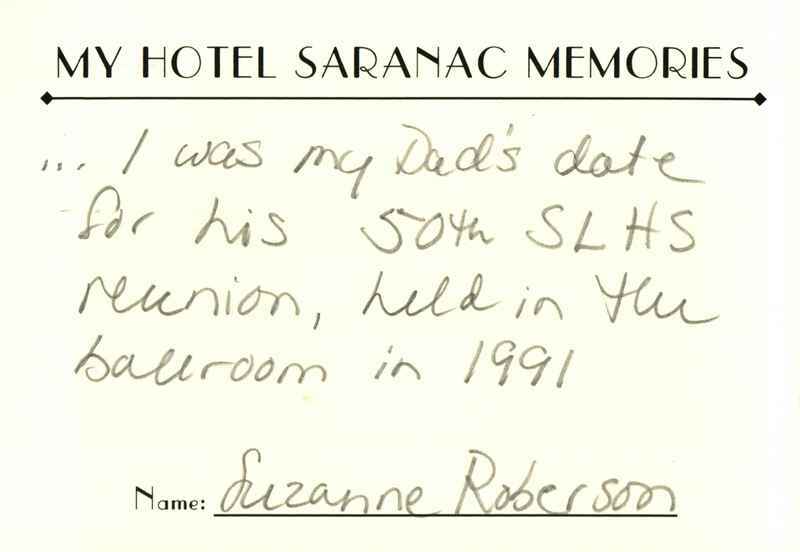 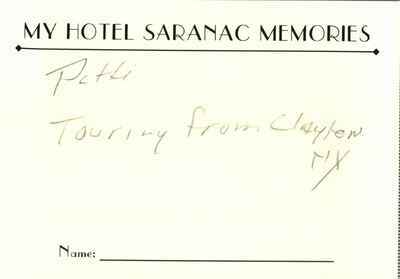 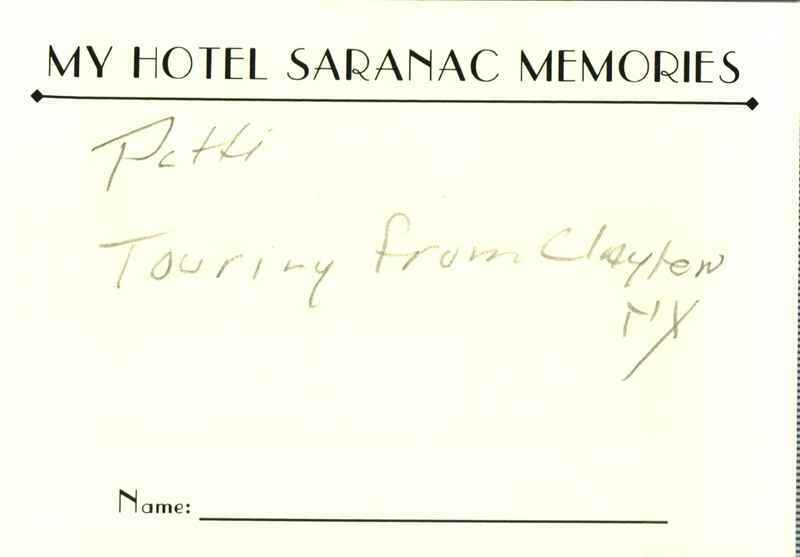 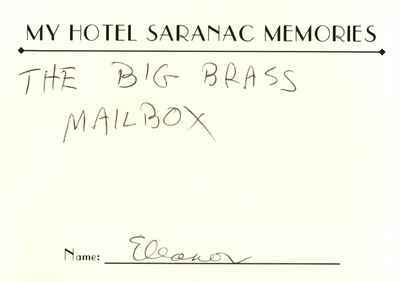 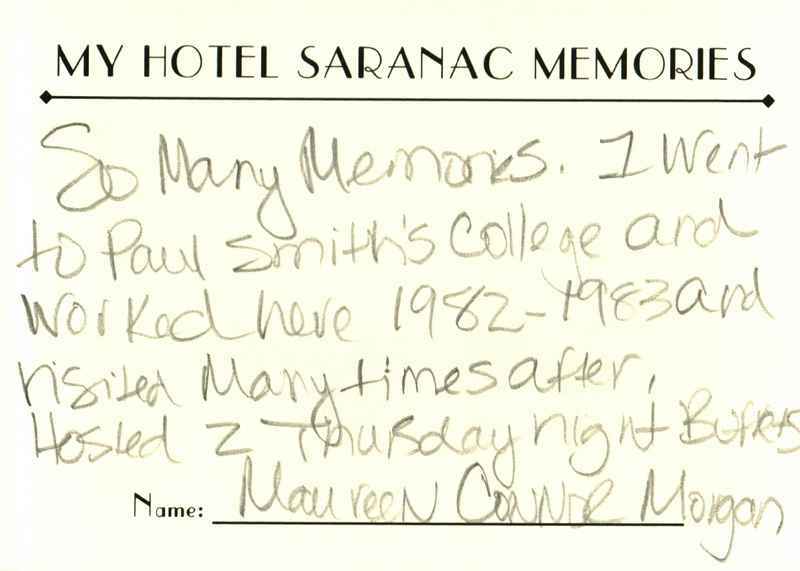 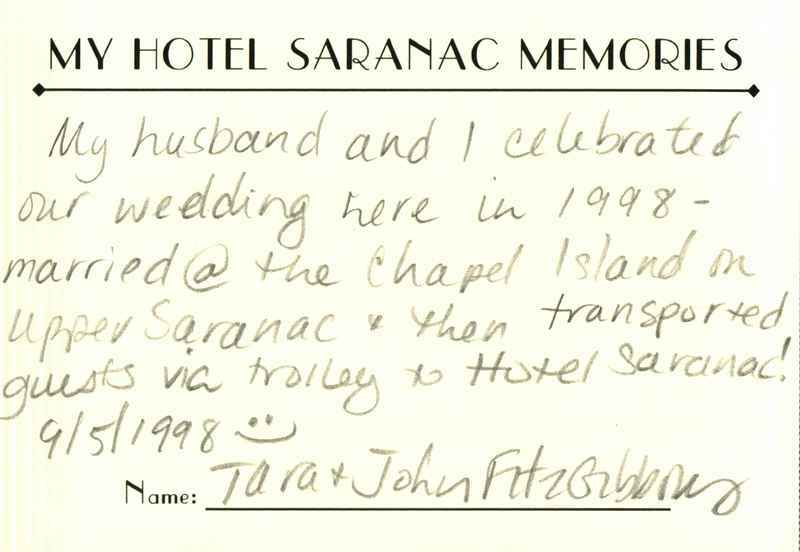 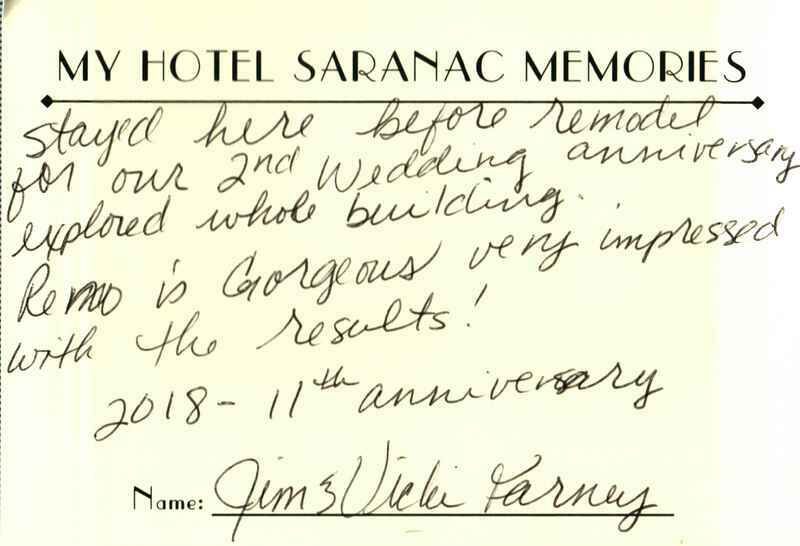 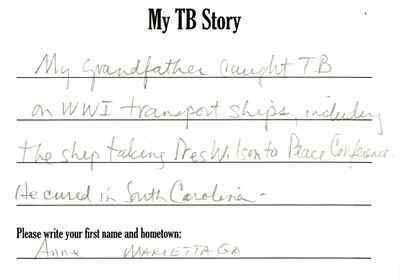 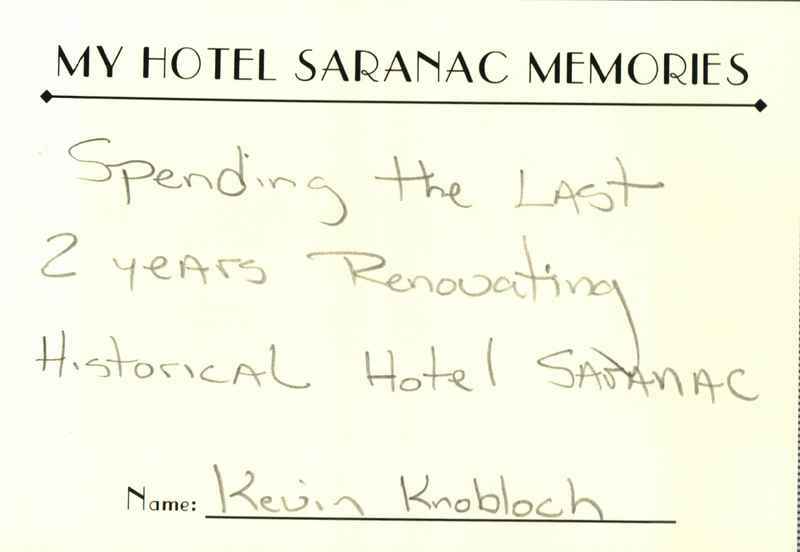 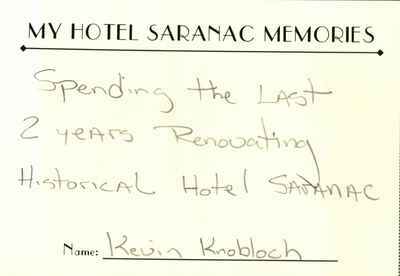 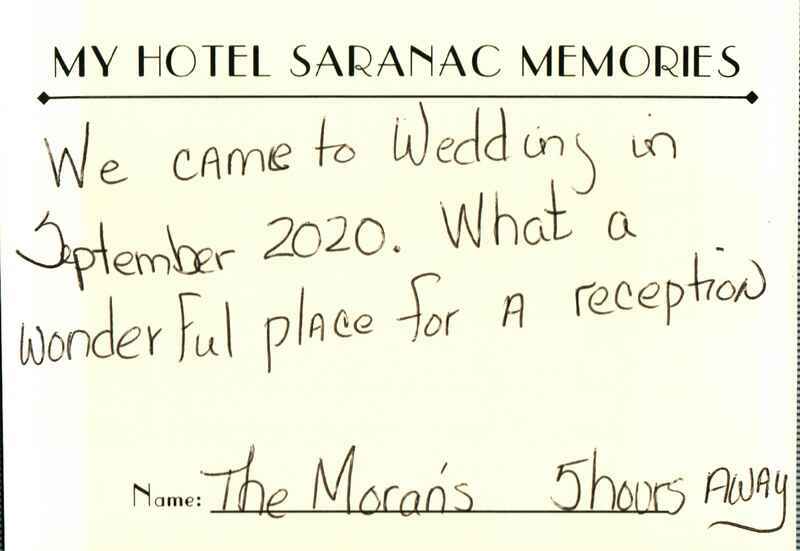 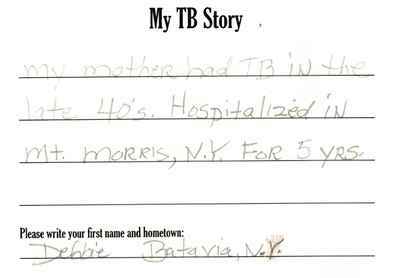 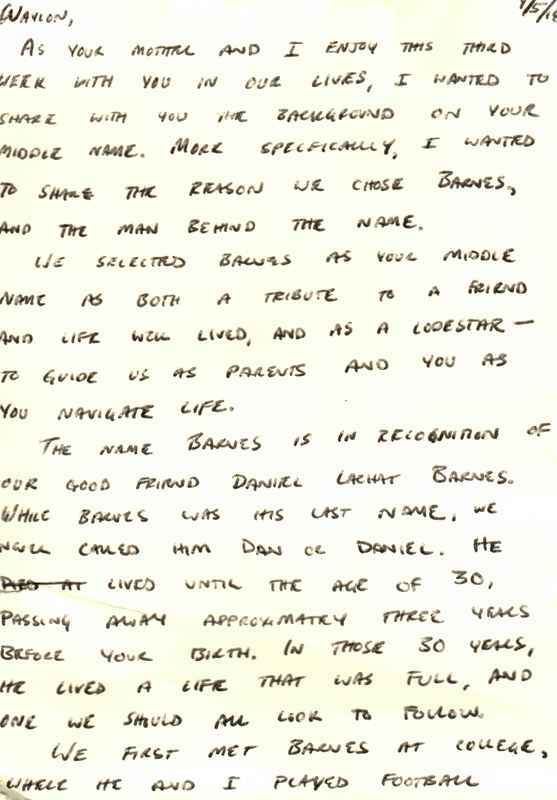 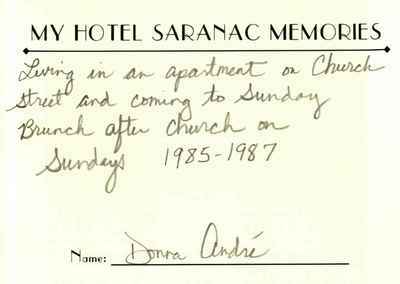 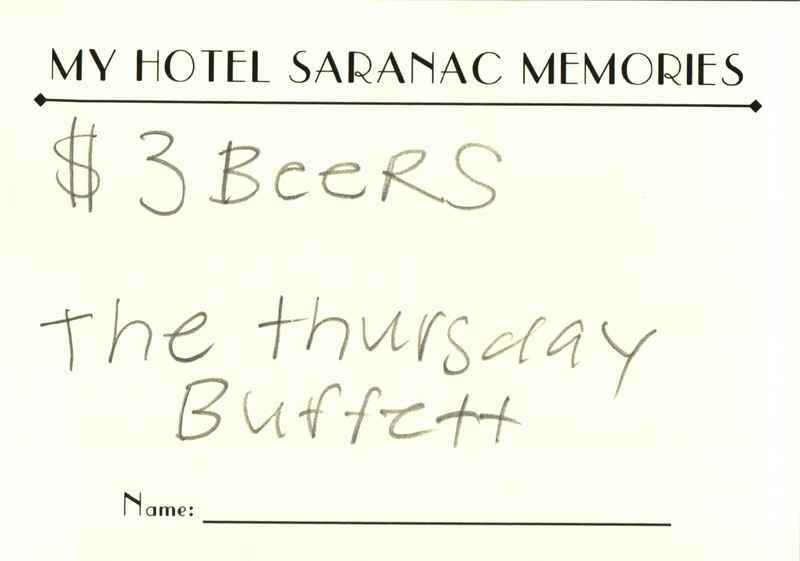 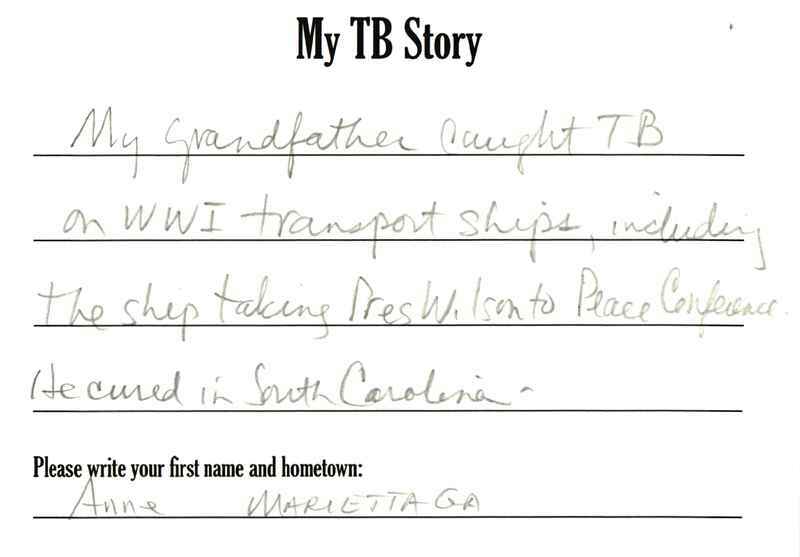 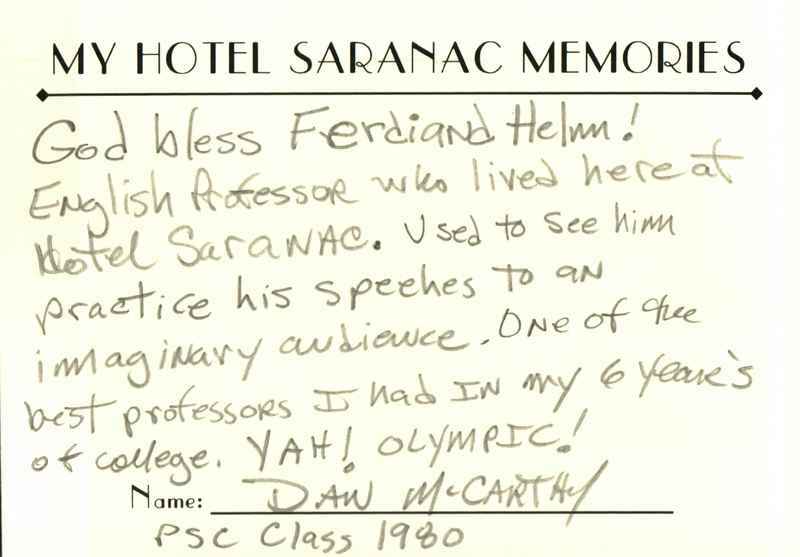 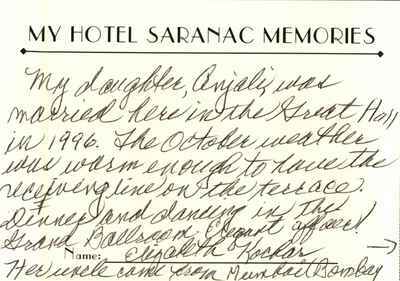 In this interactive history project, hotel patrons walk into an old phone booth in the Great Hall to jot down their Hotel Saranac memory on a provided notecard. 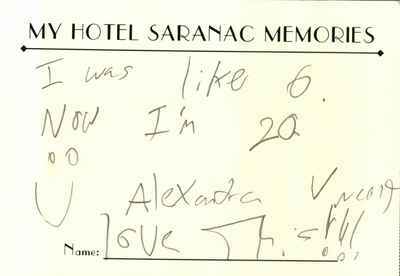 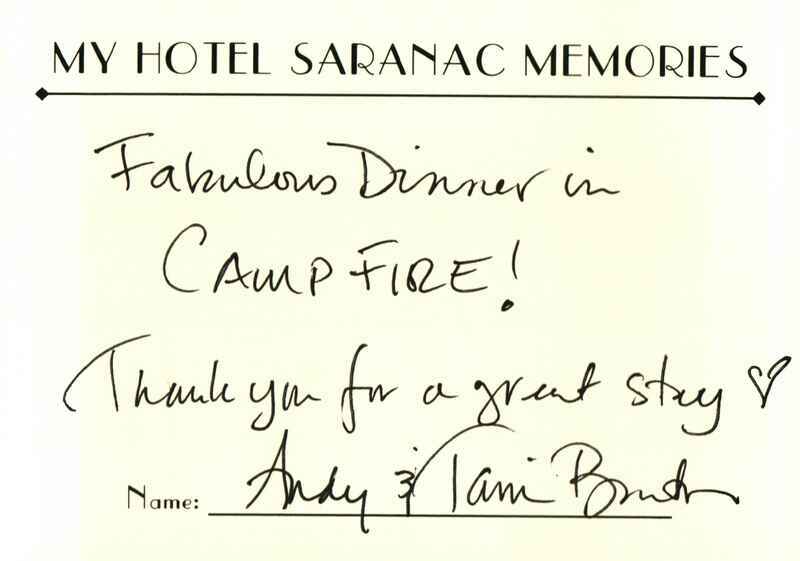 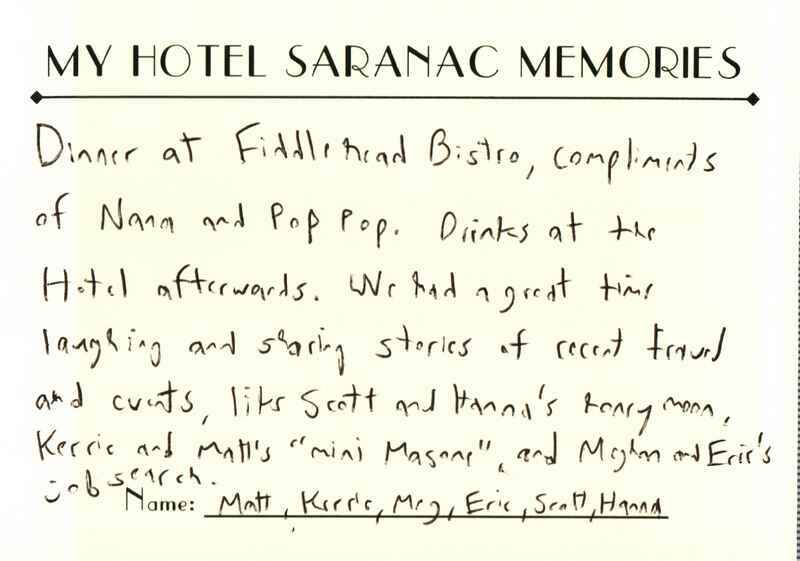 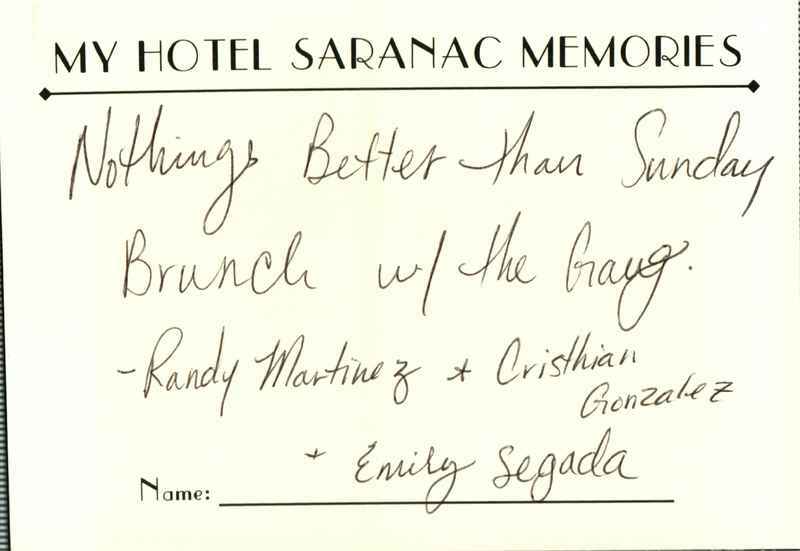 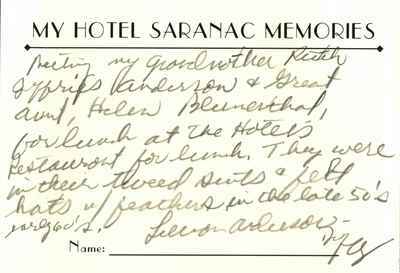 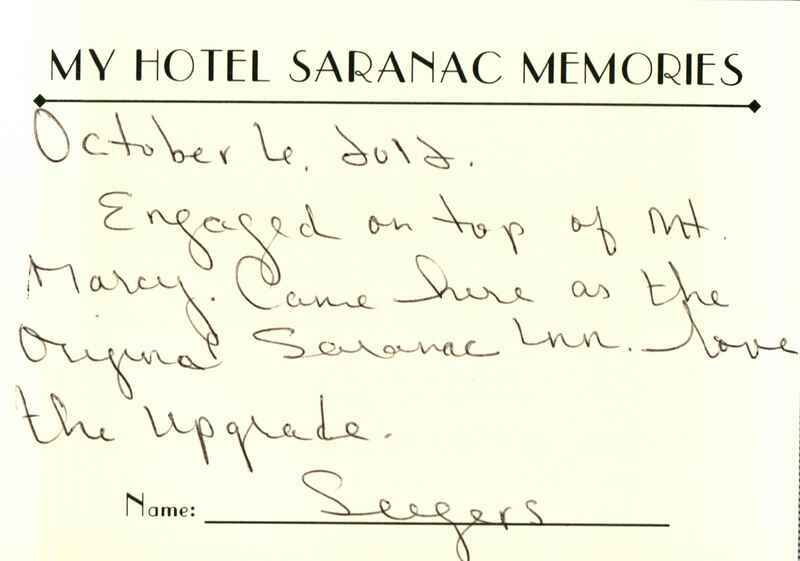 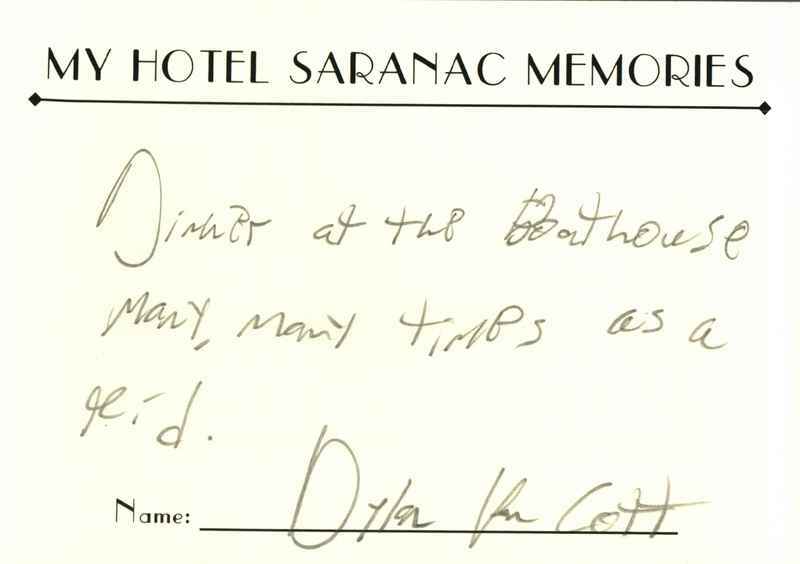 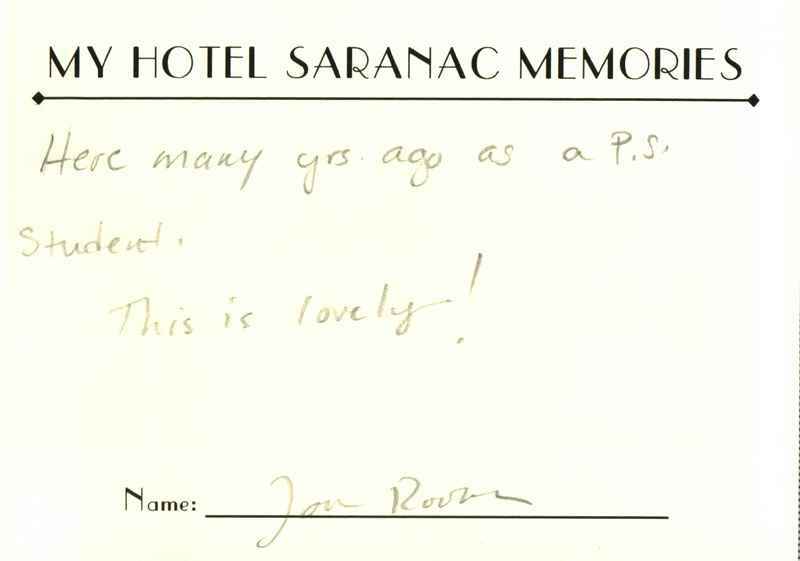 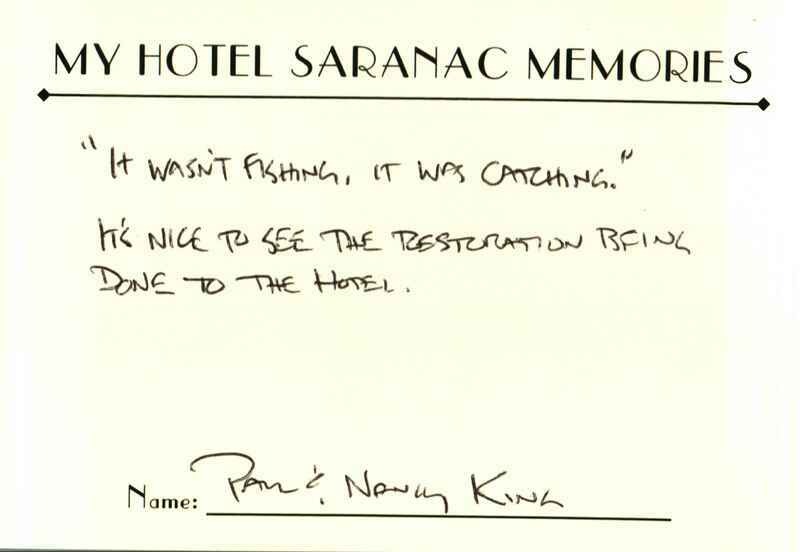 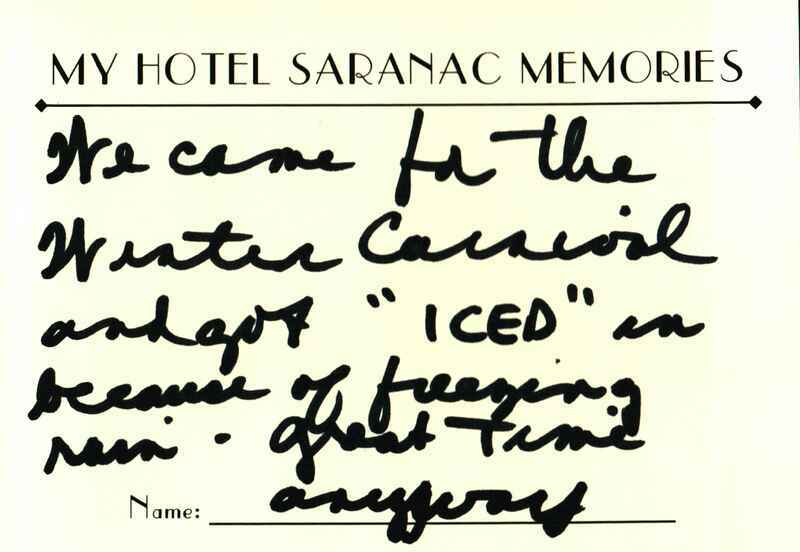 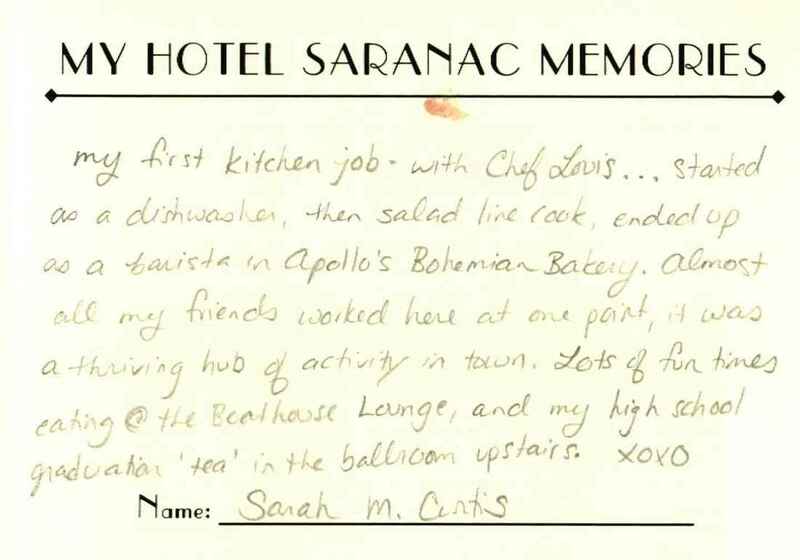 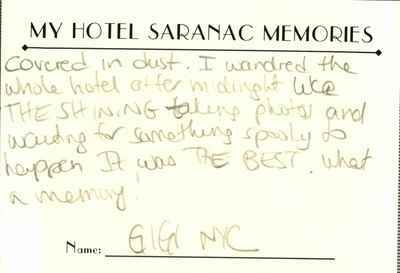 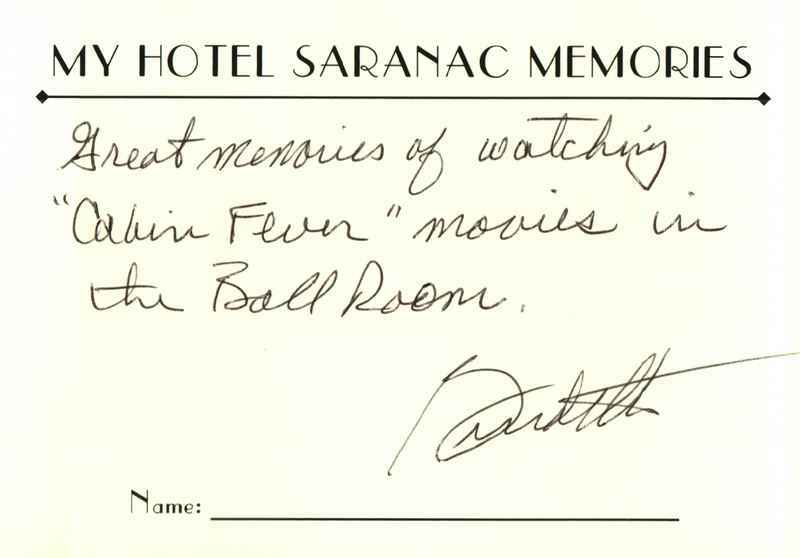 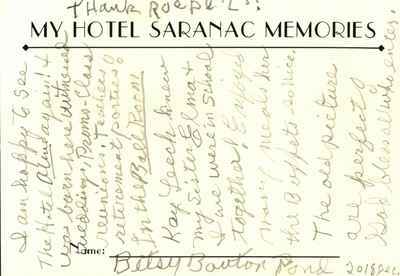 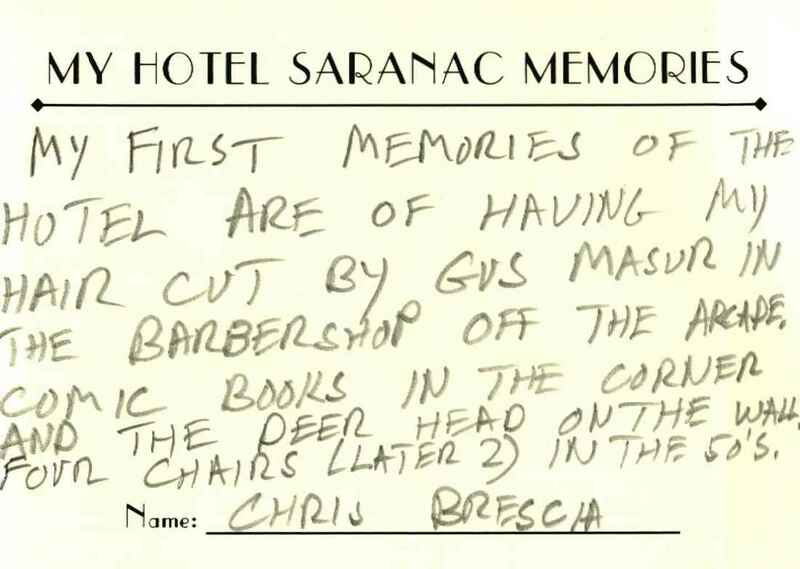 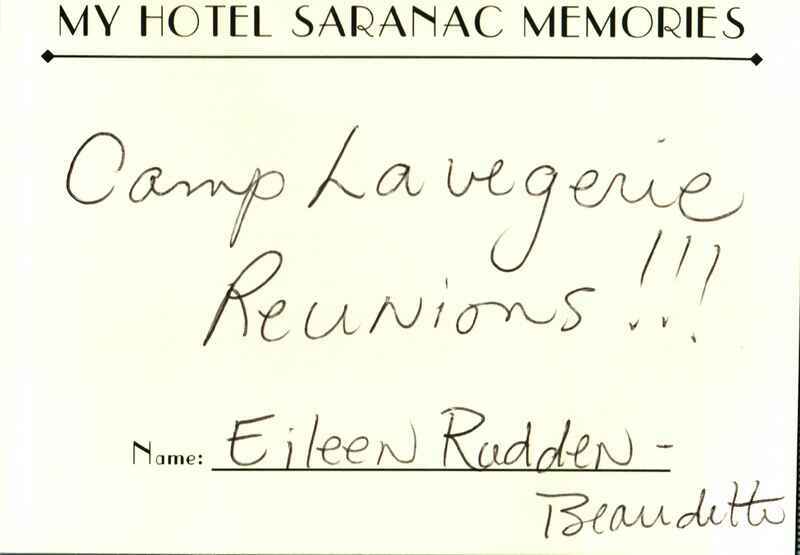 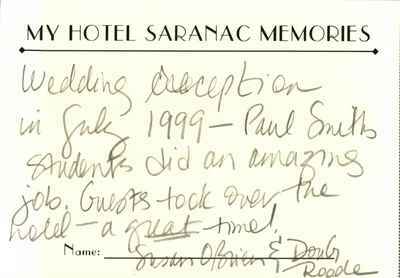 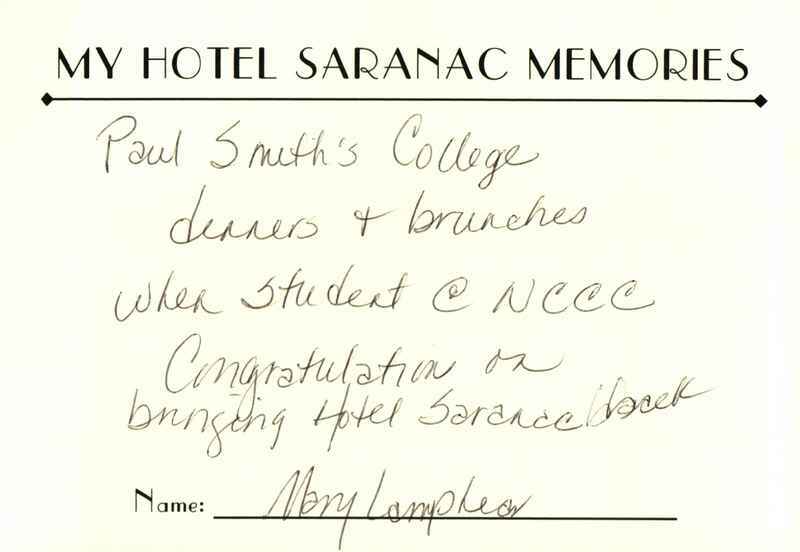 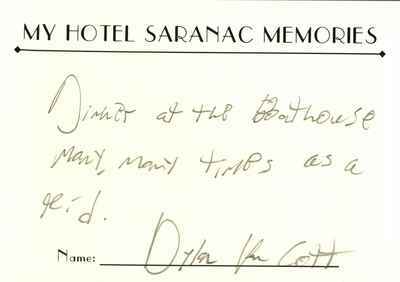 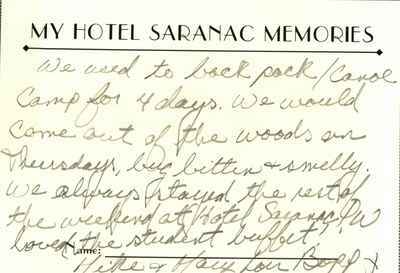 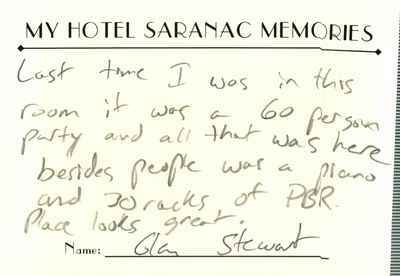 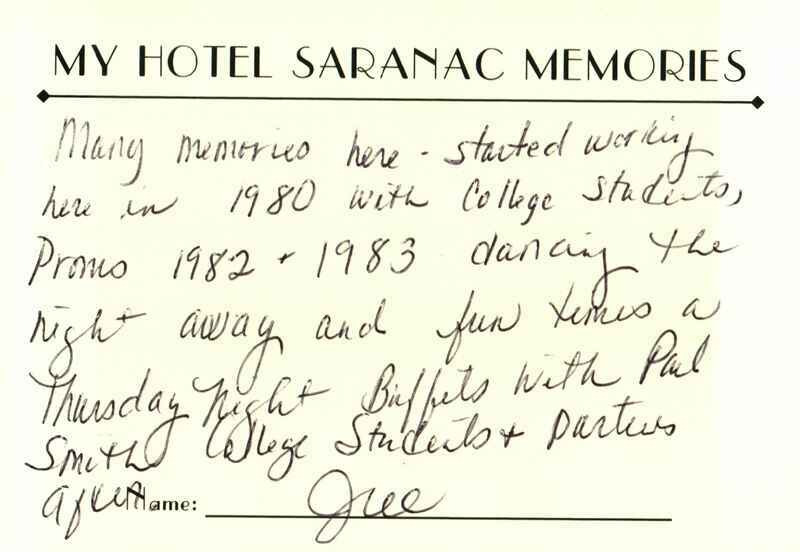 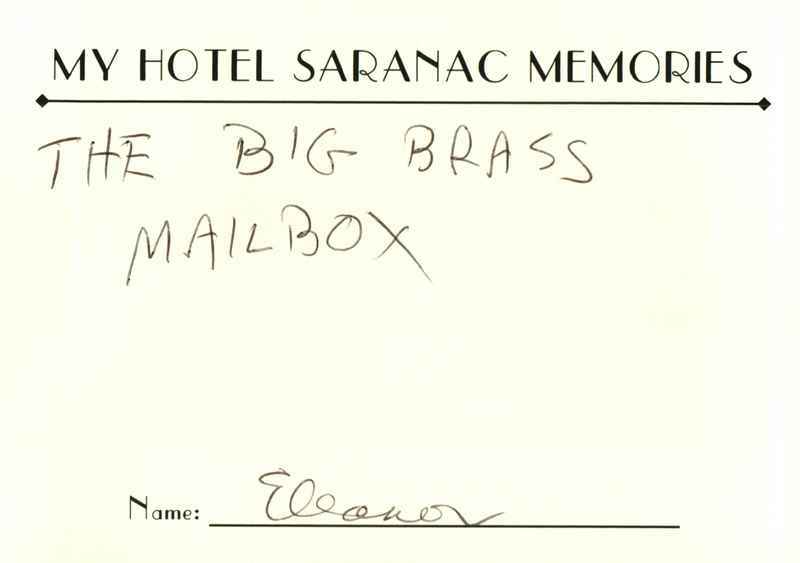 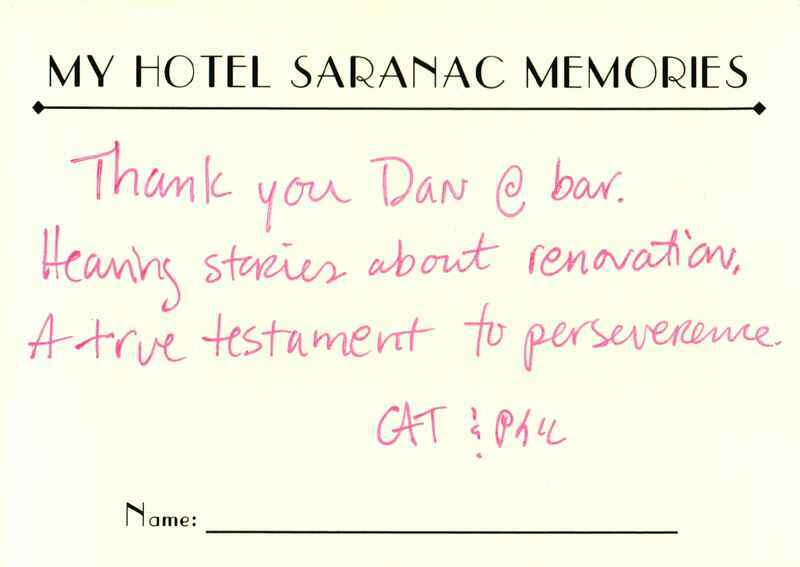 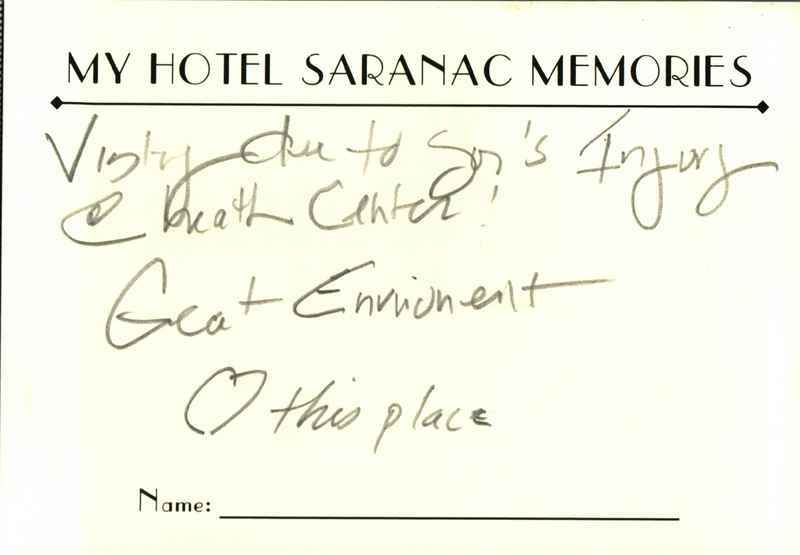 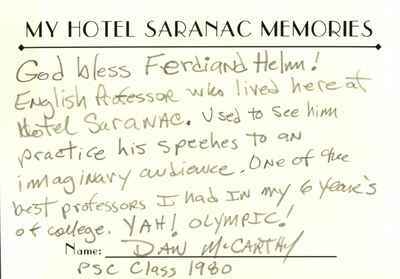 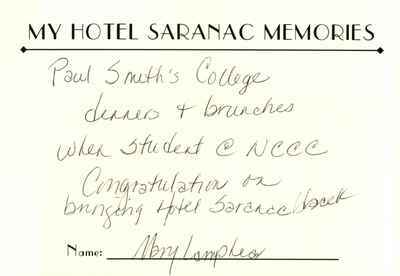 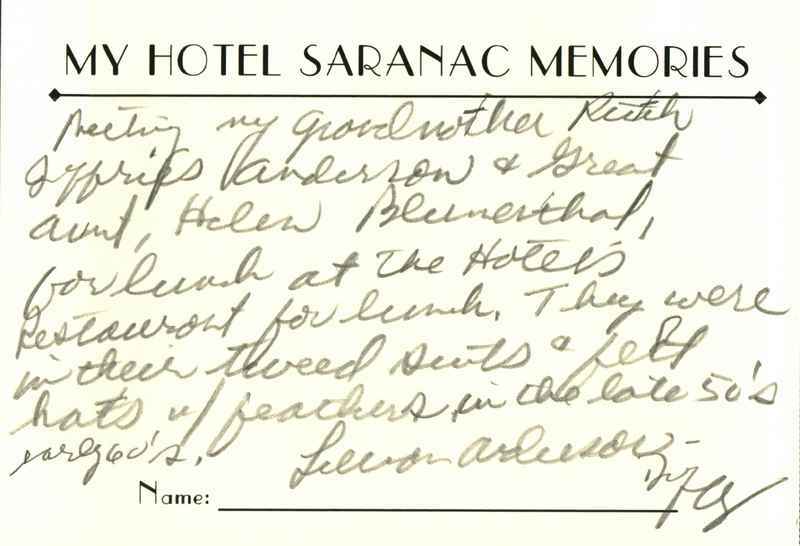 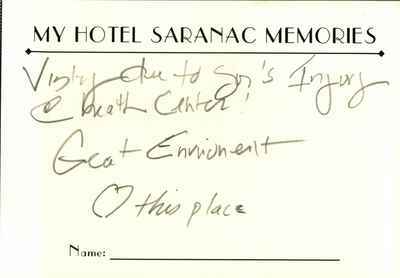 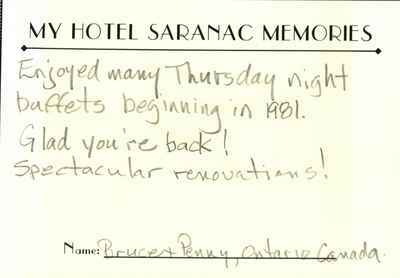 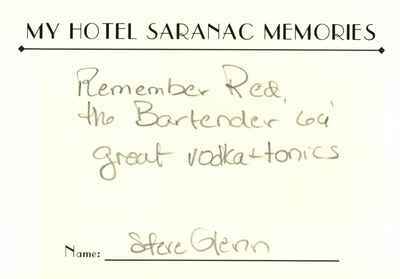 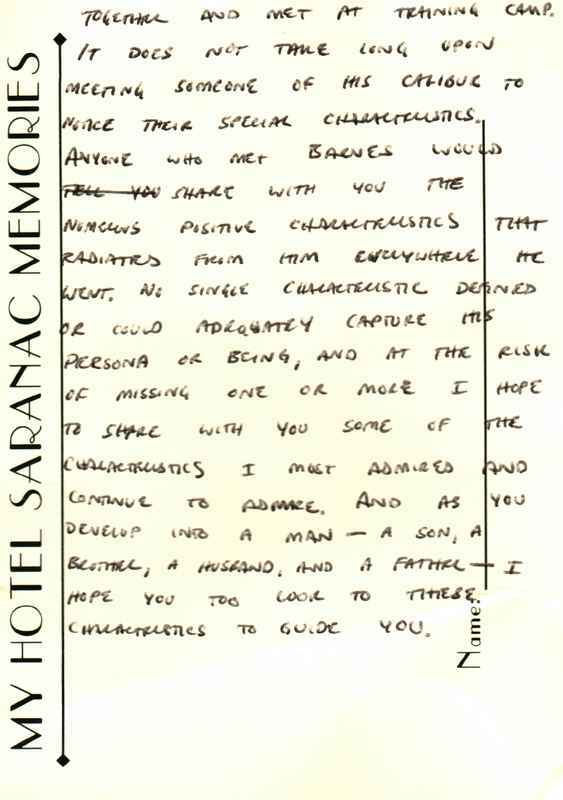 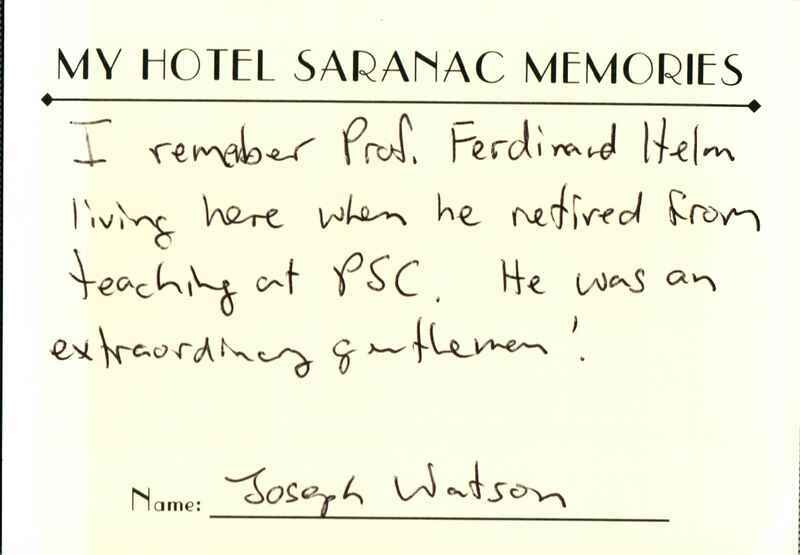 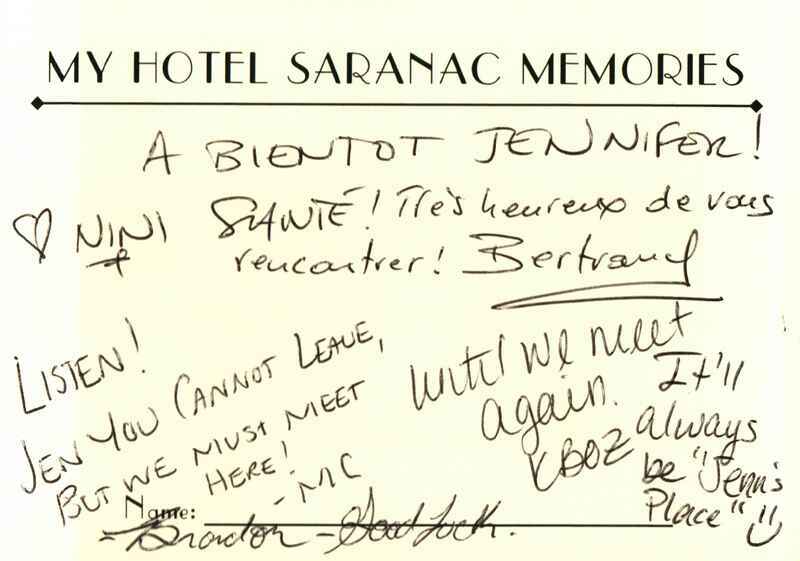 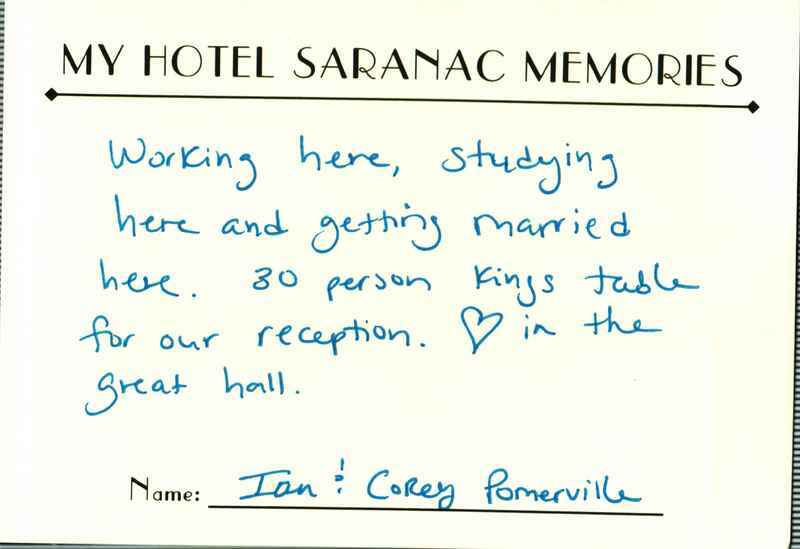 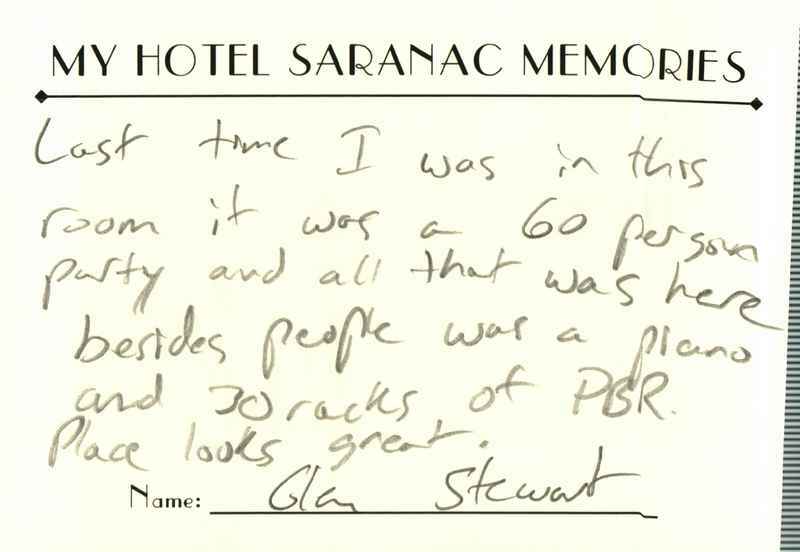 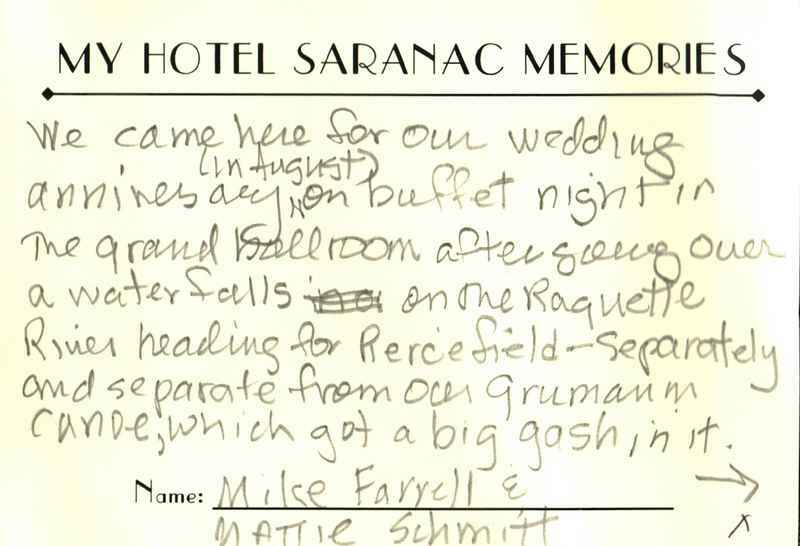 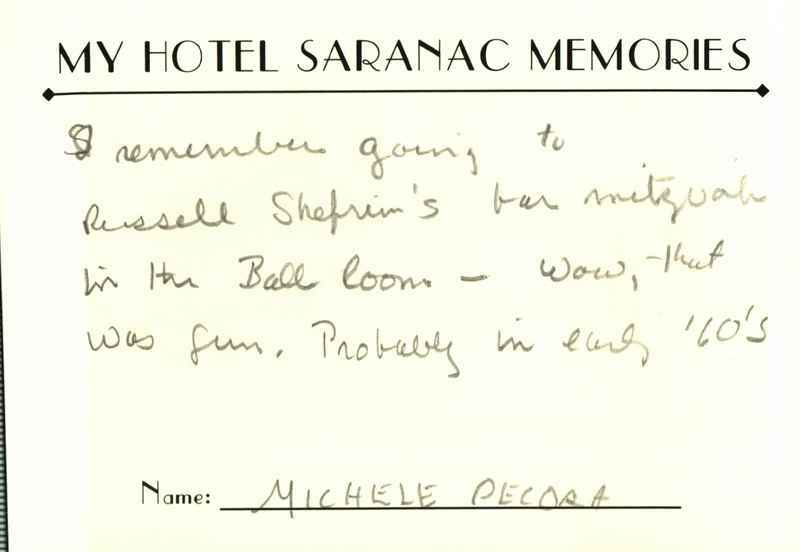 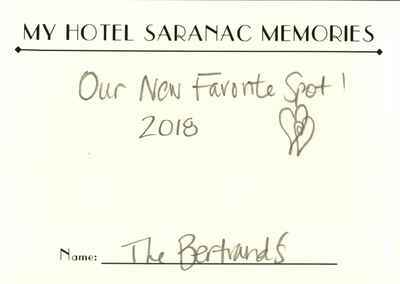 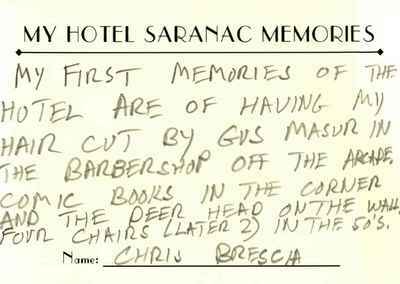 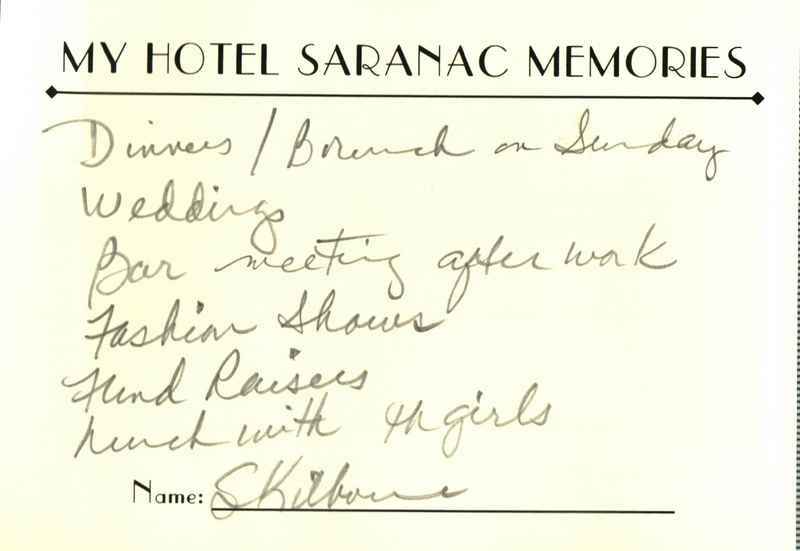 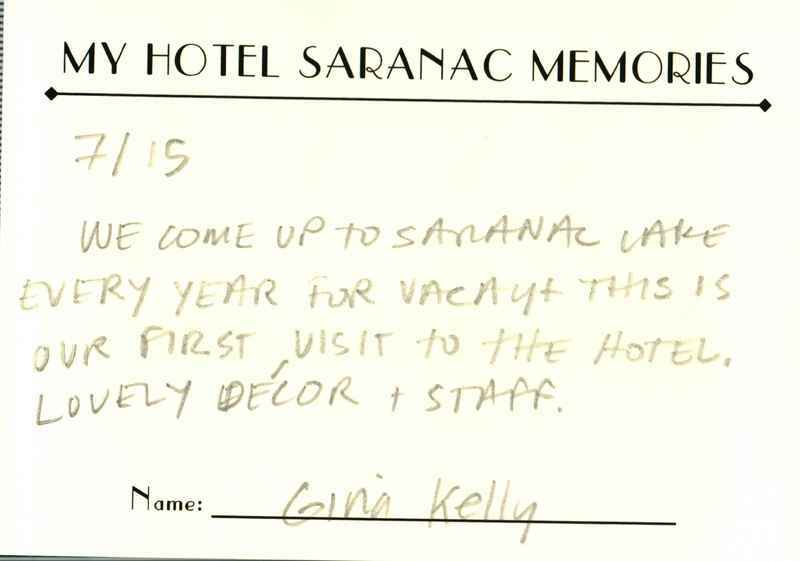 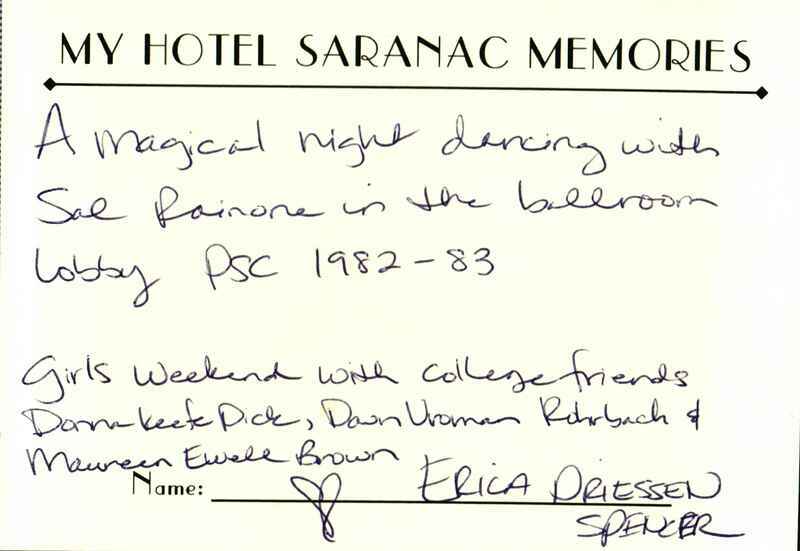 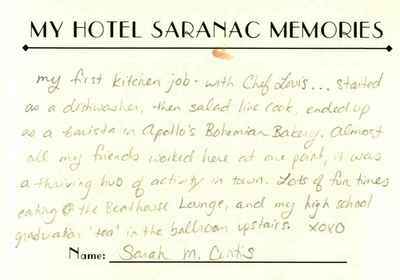 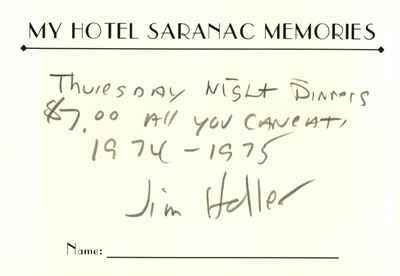 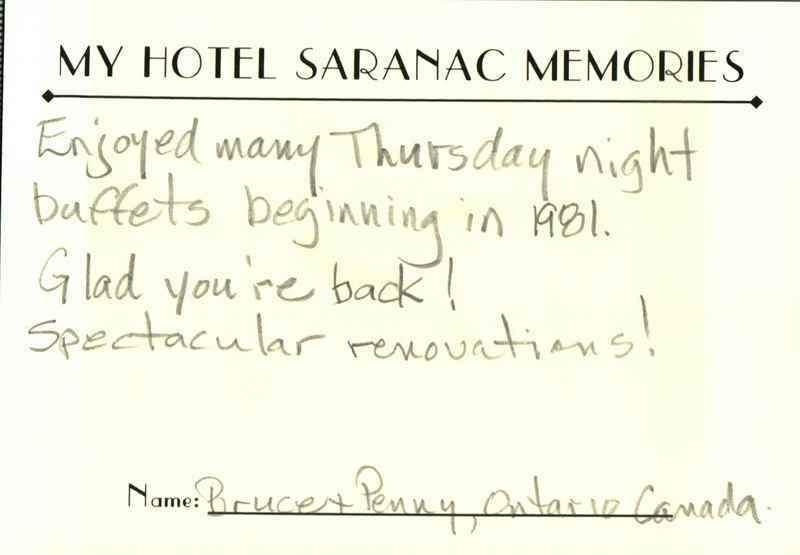 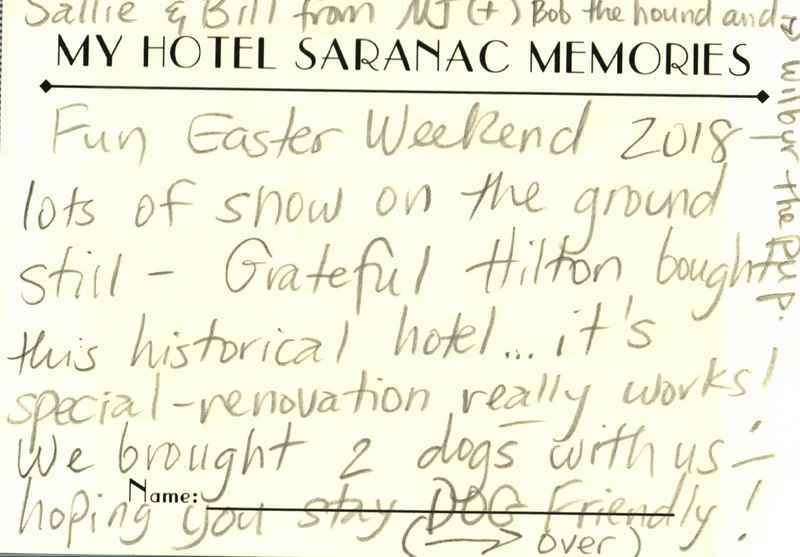 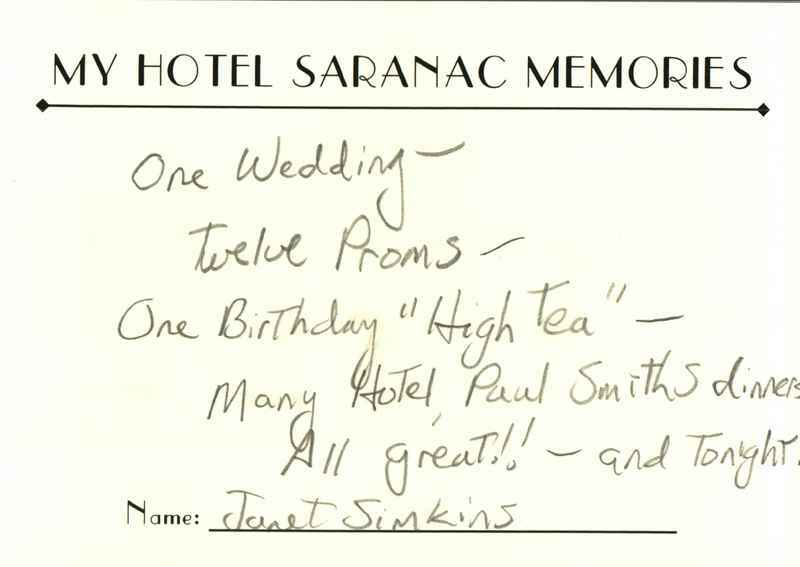 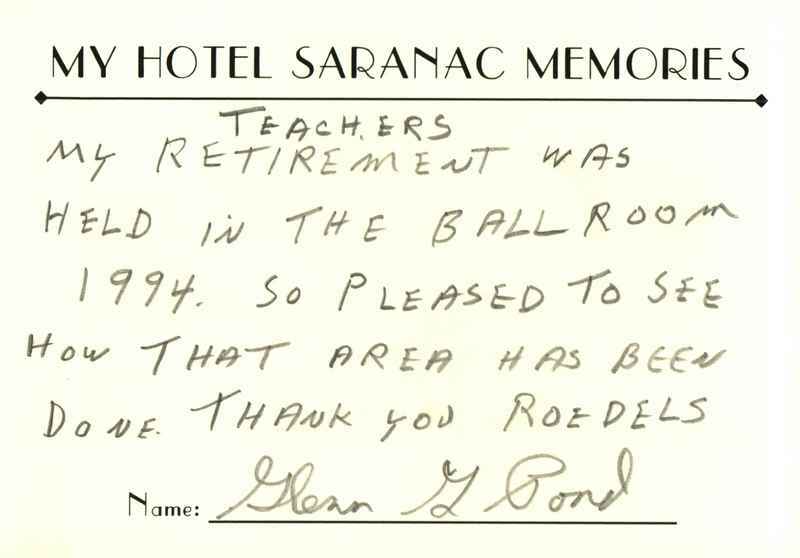 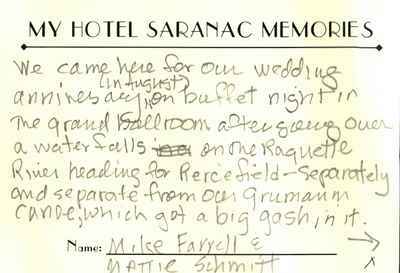 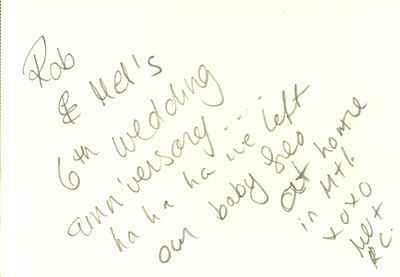 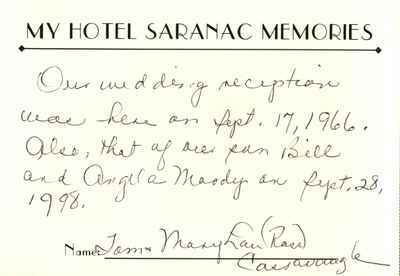 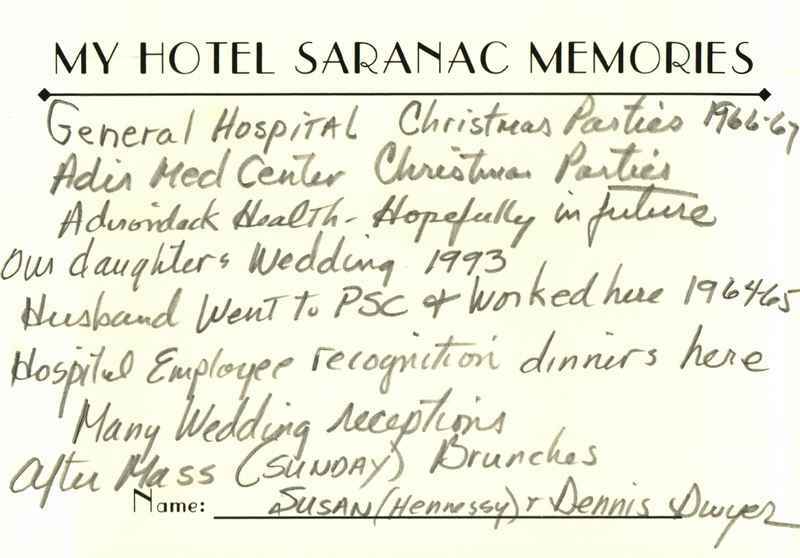 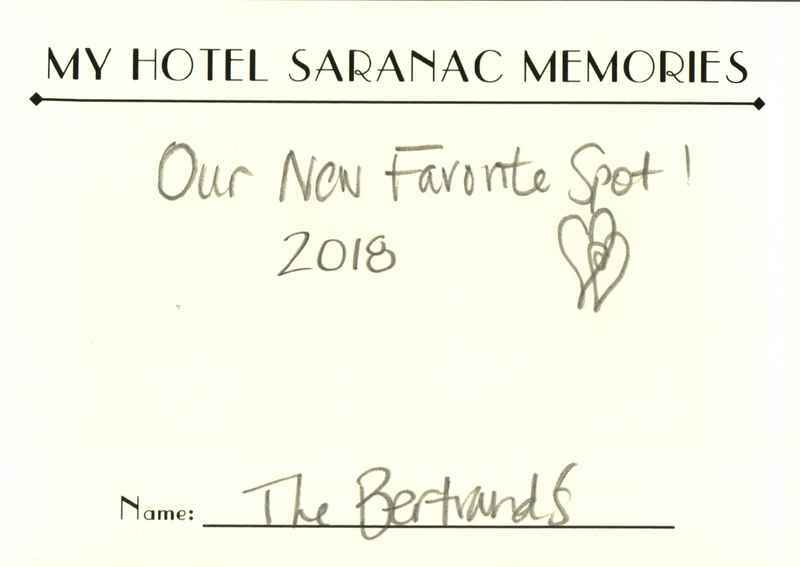 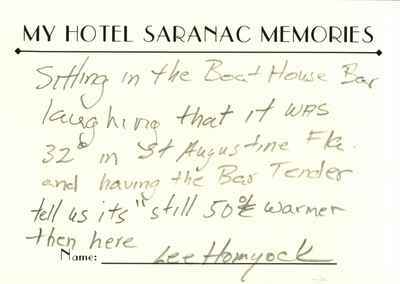 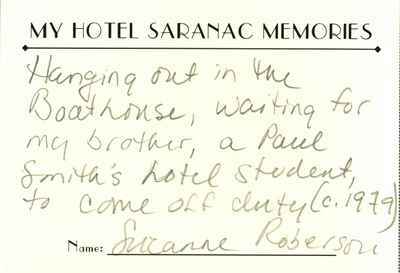 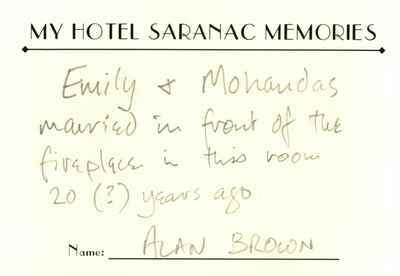 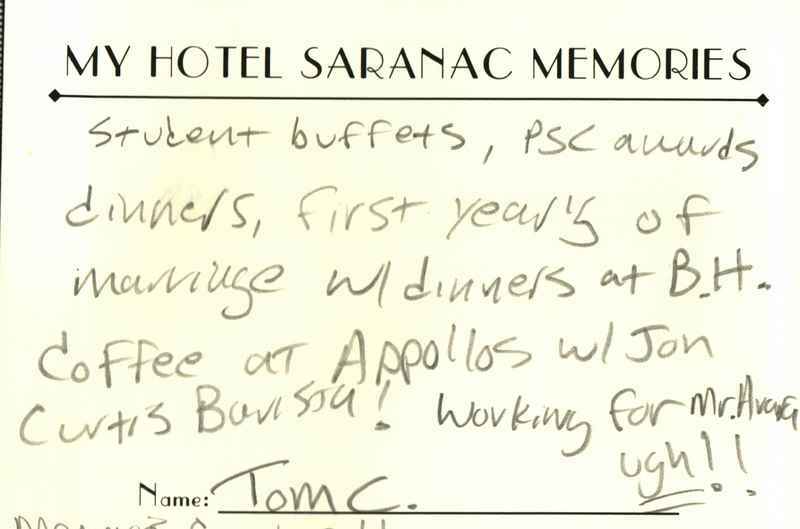 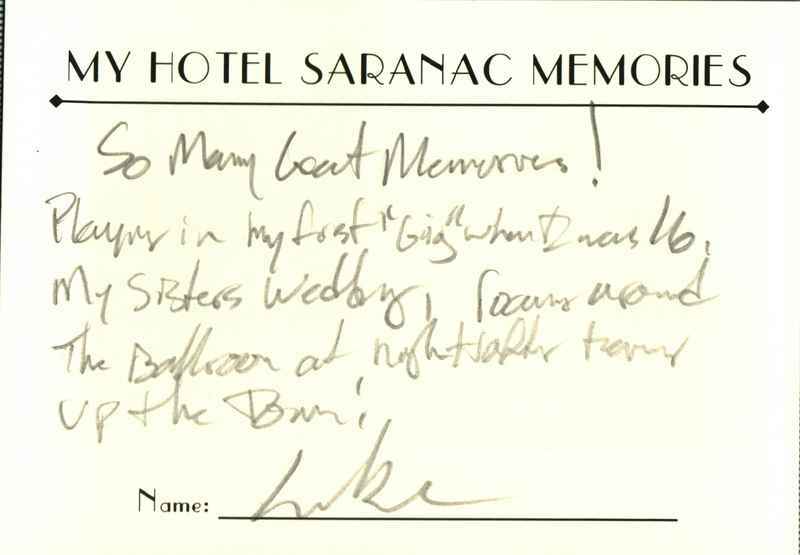 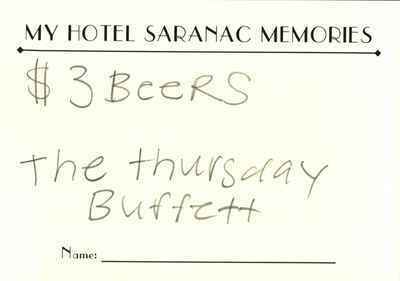 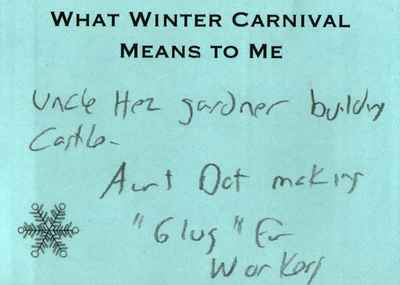 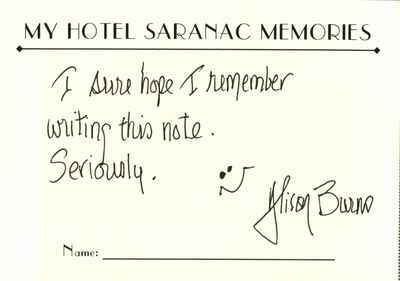 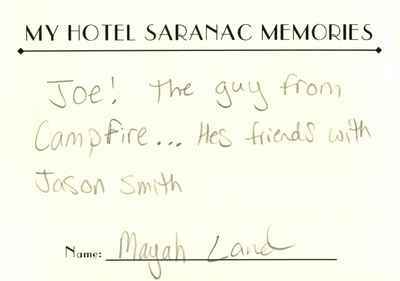 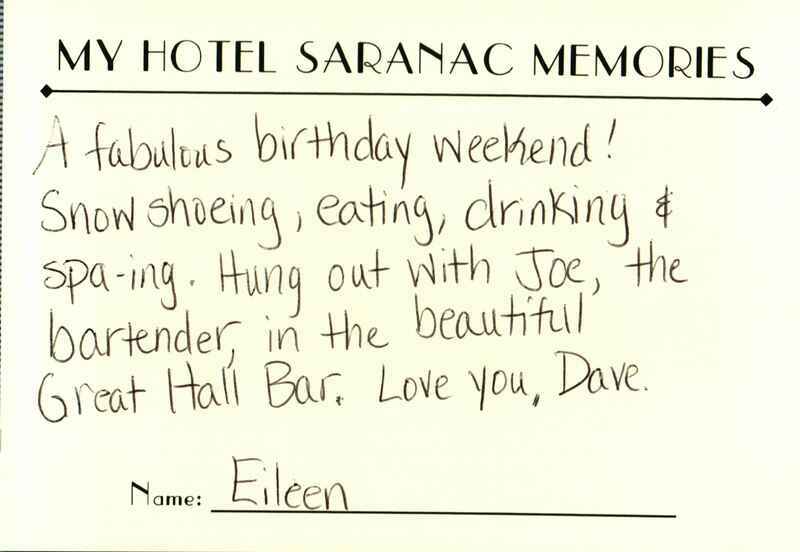 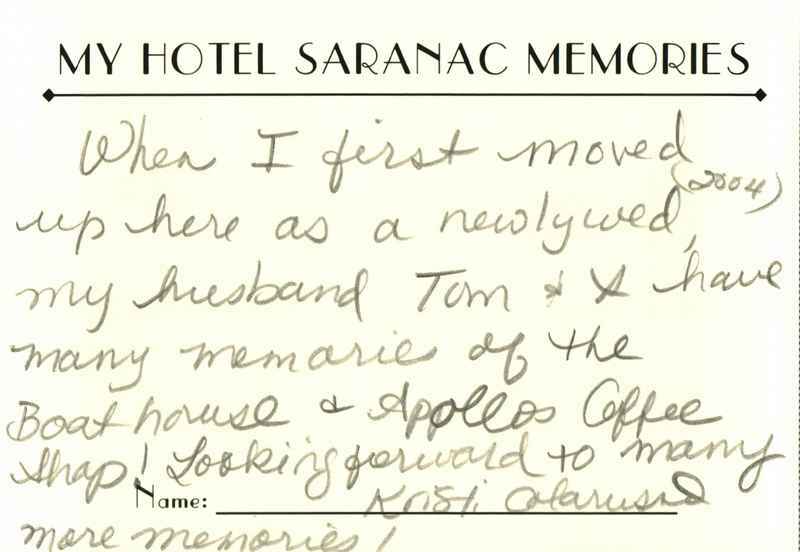 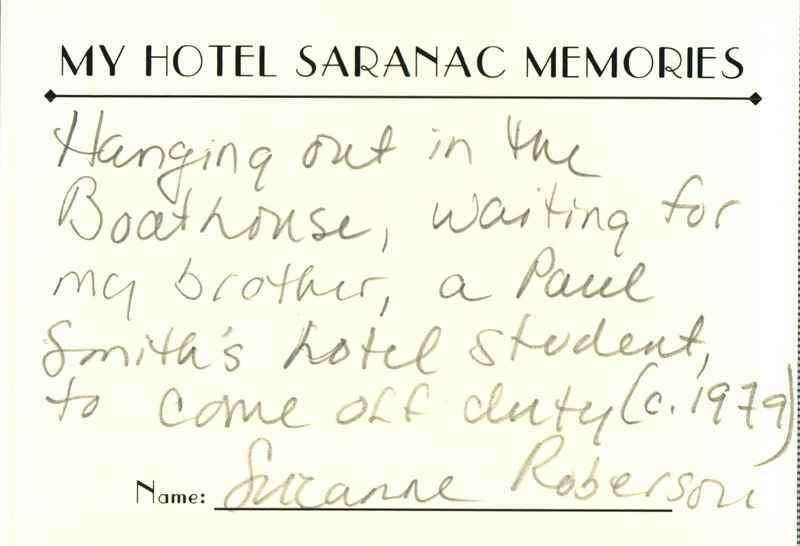 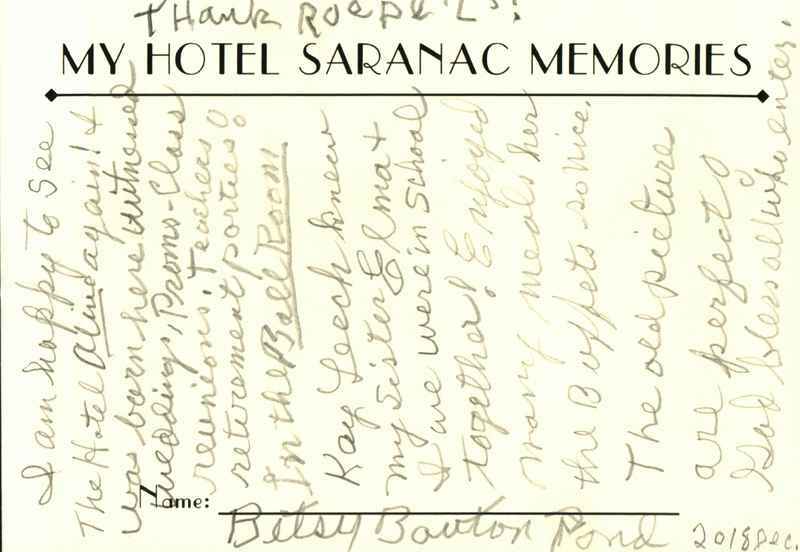 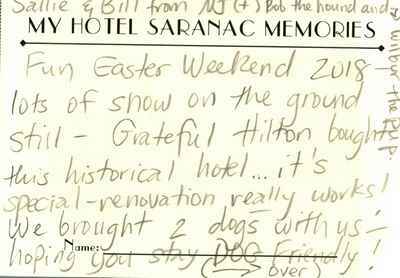 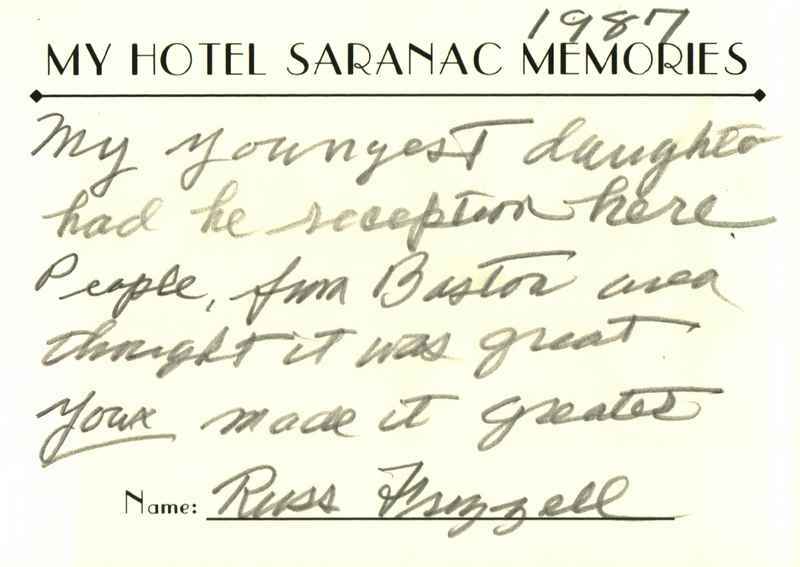 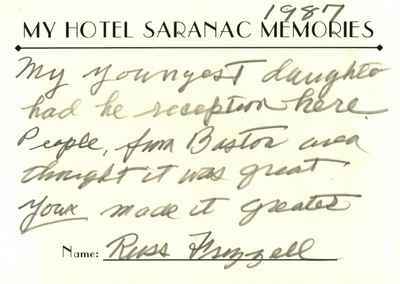 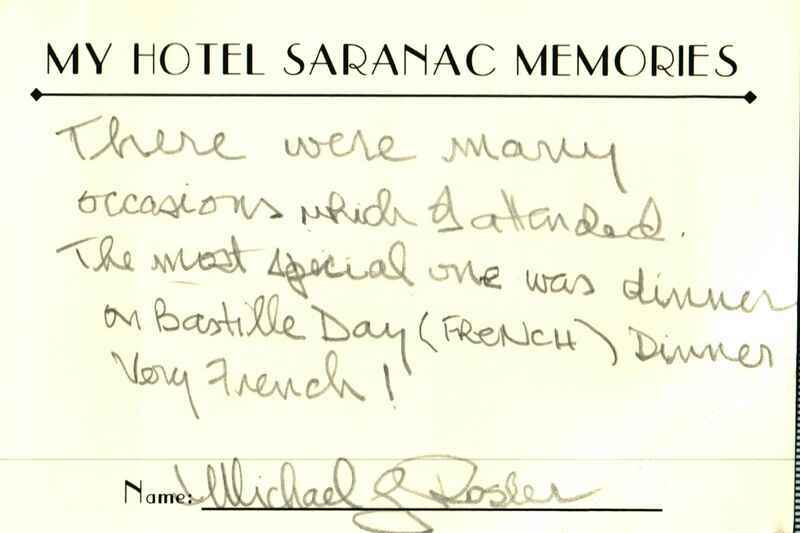 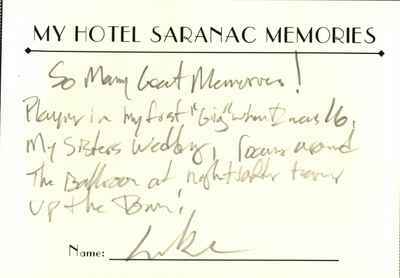 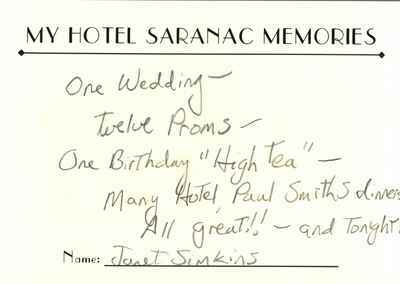 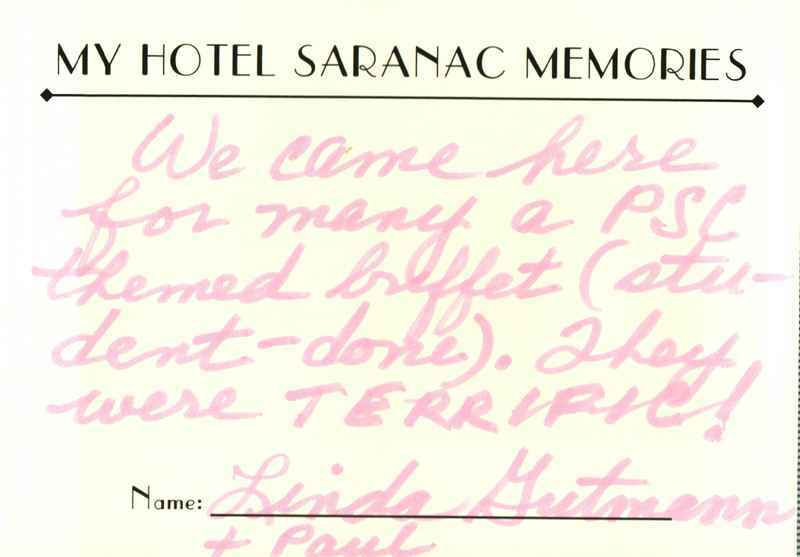 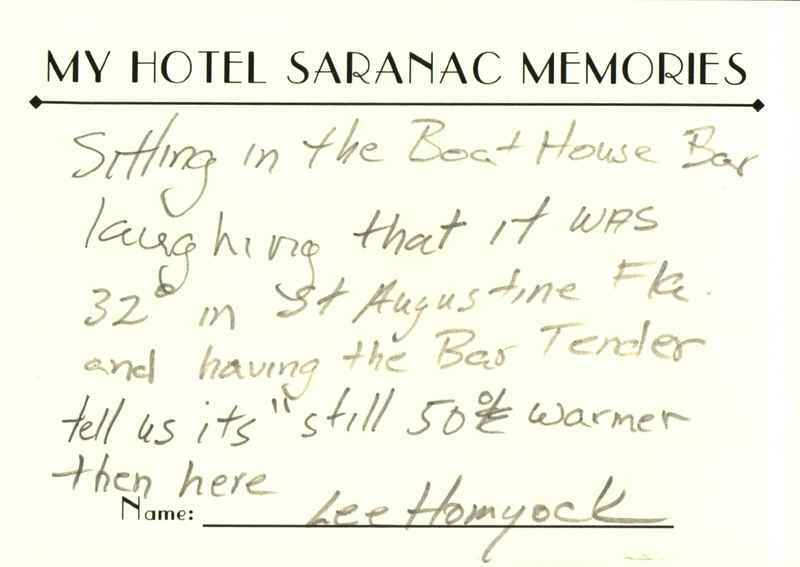 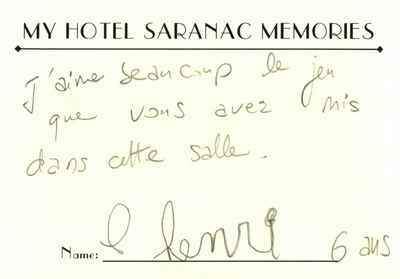 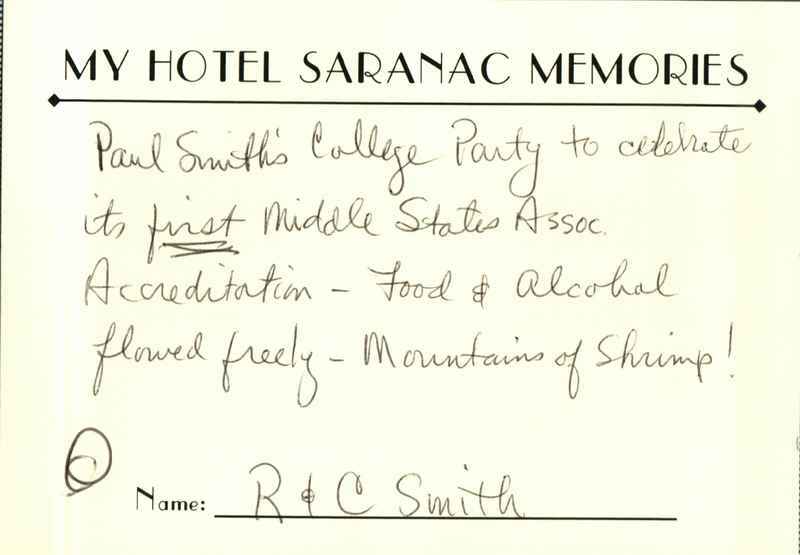 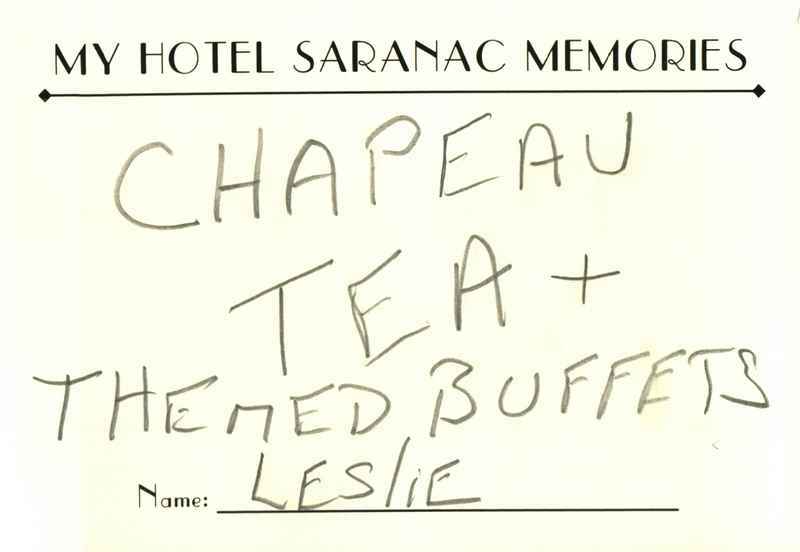 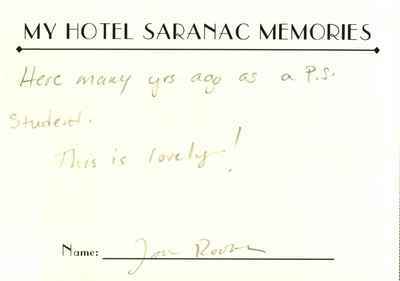 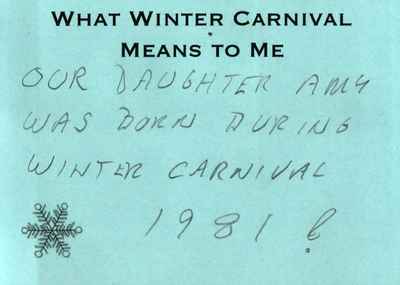 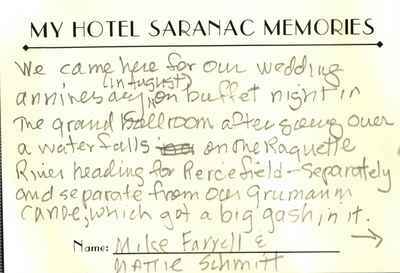 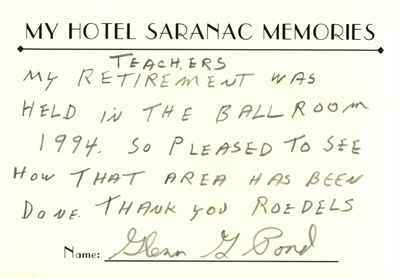 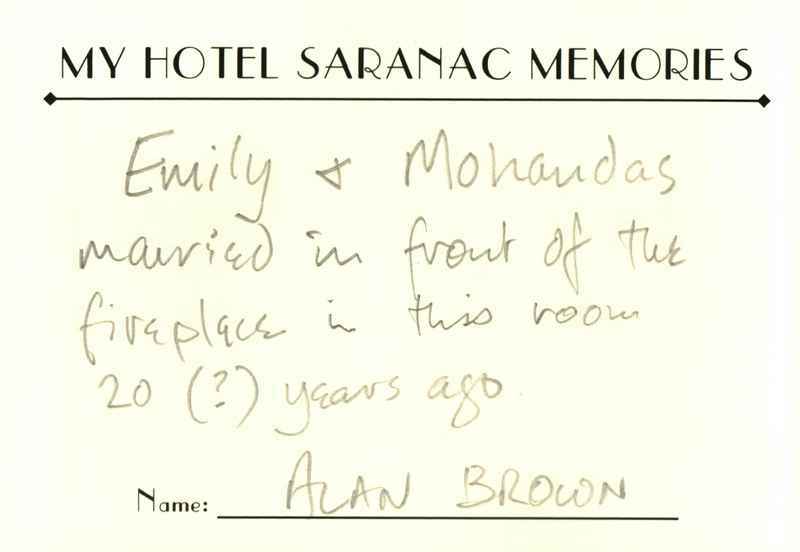 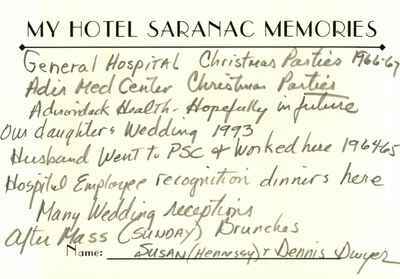 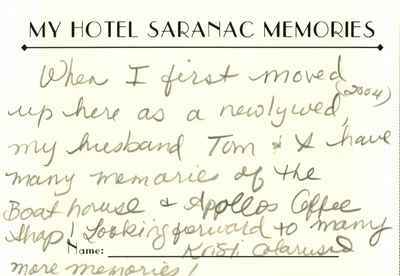 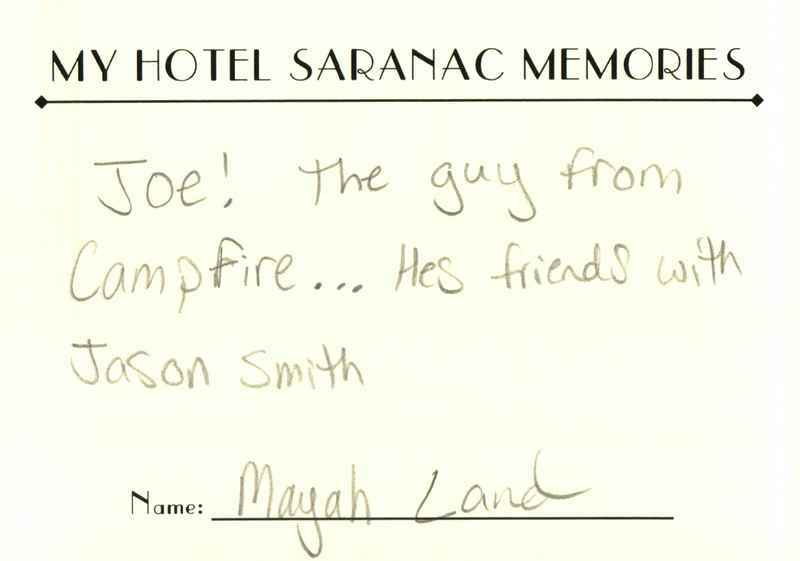 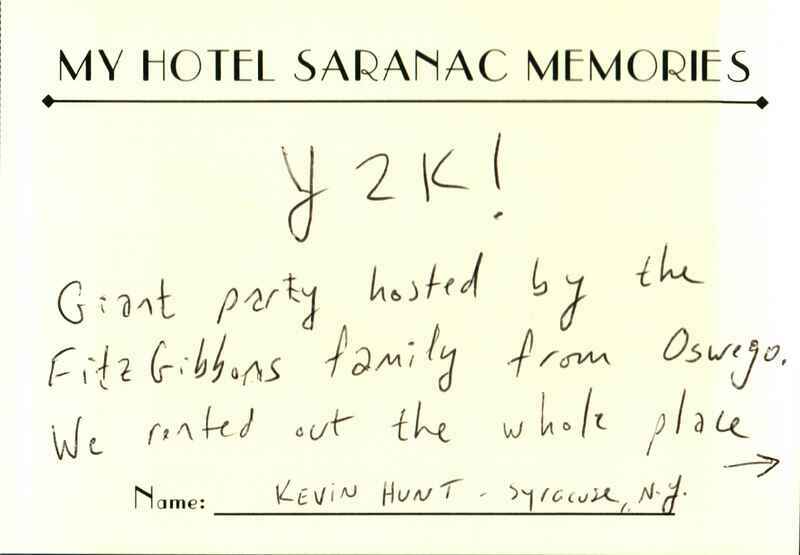 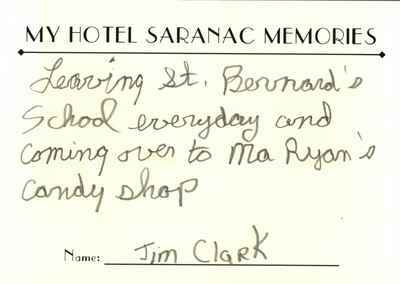 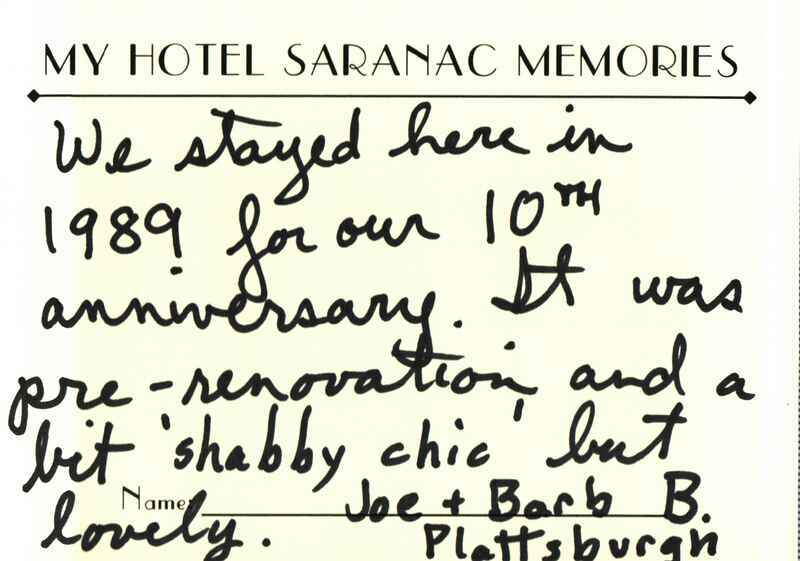 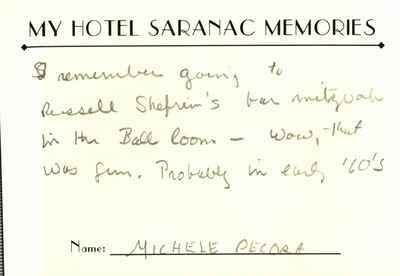 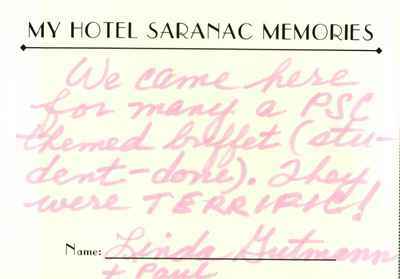 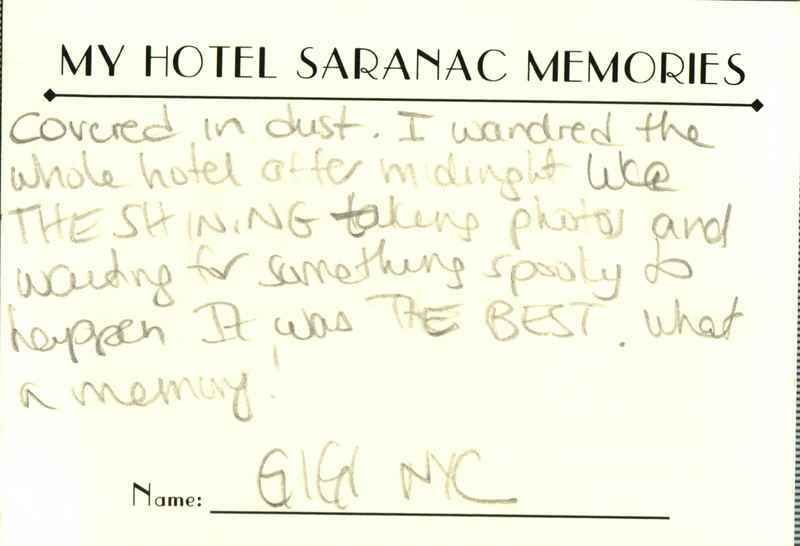 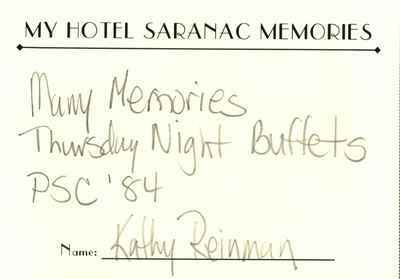 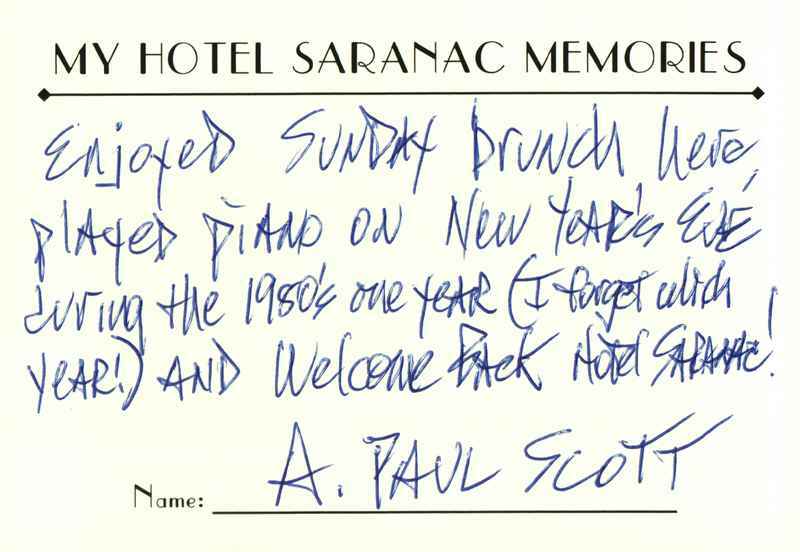 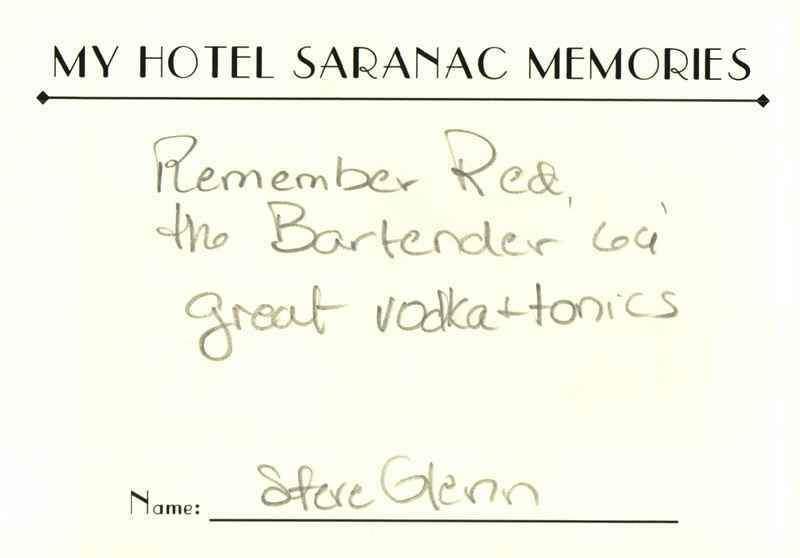 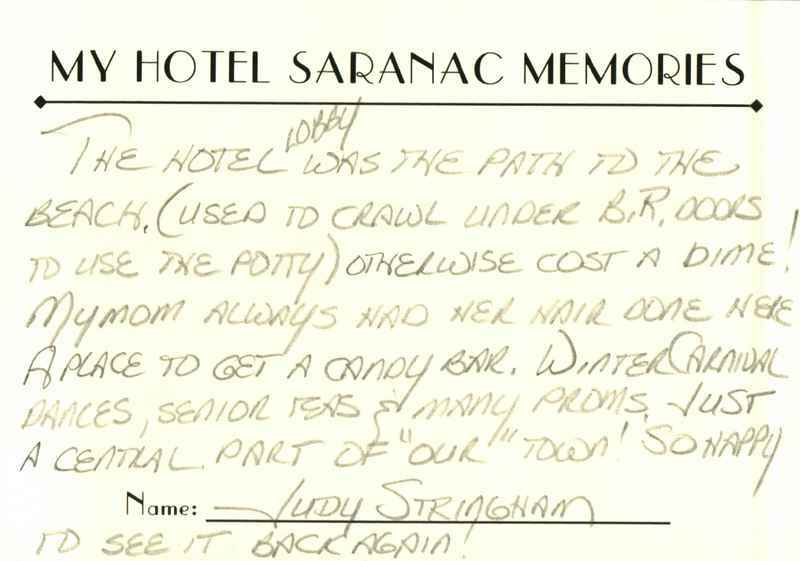 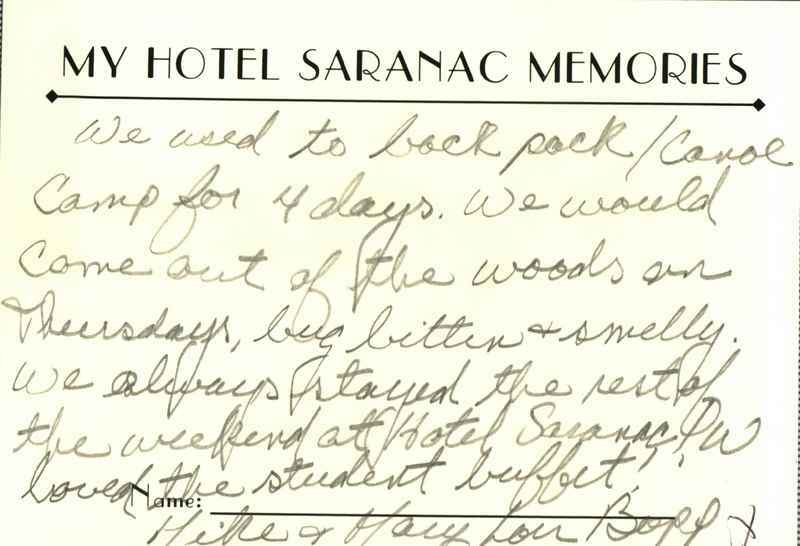 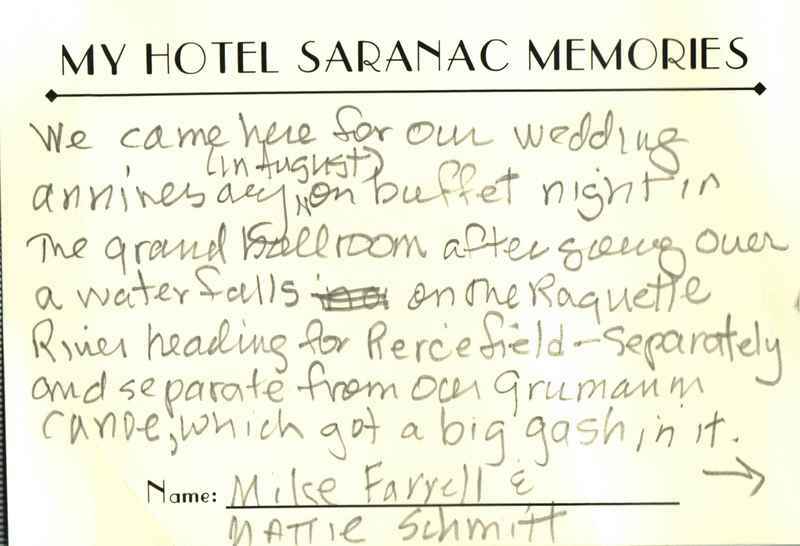 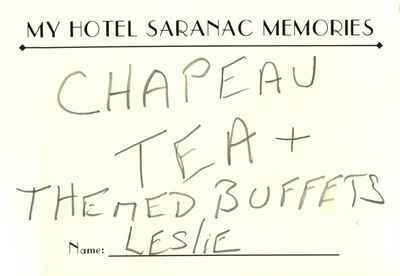 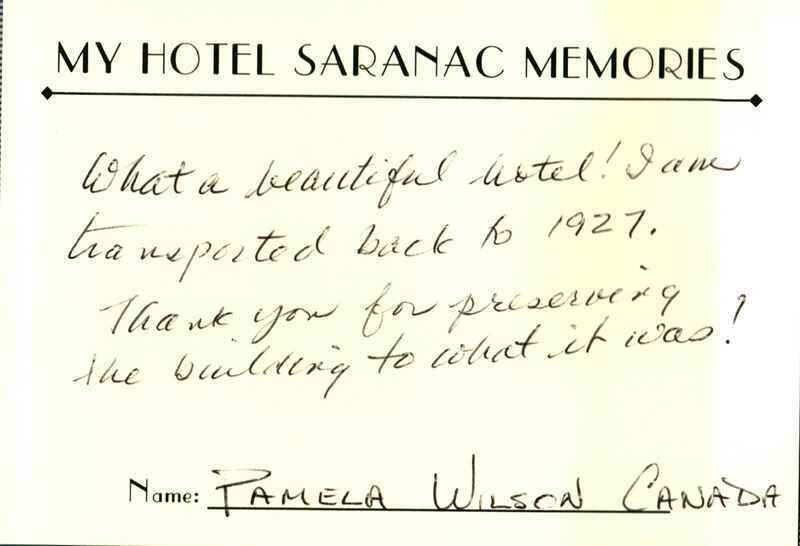 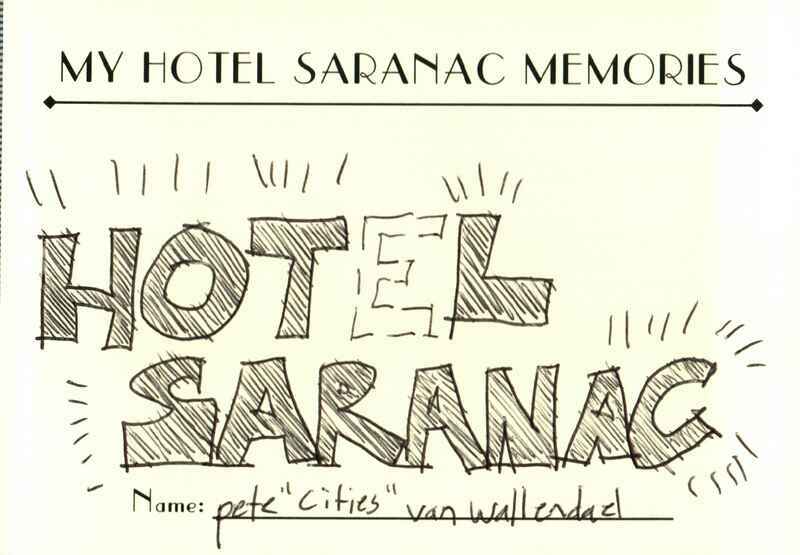 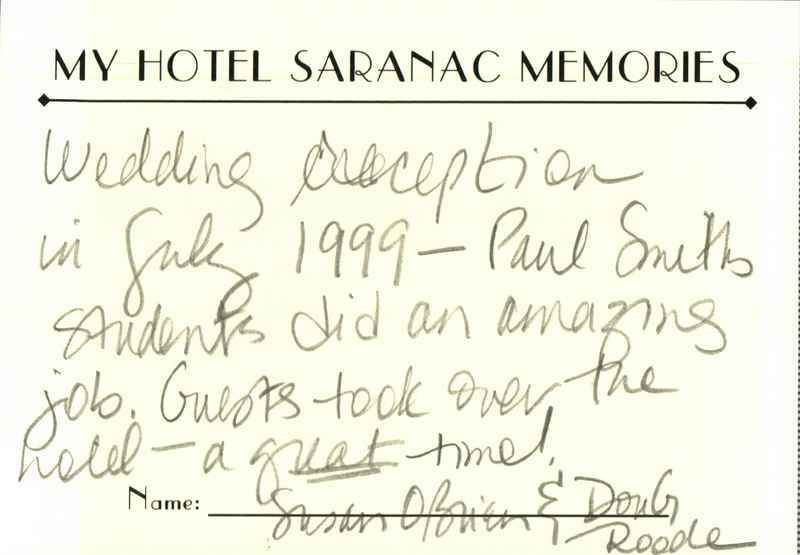 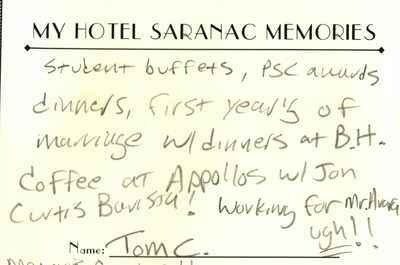 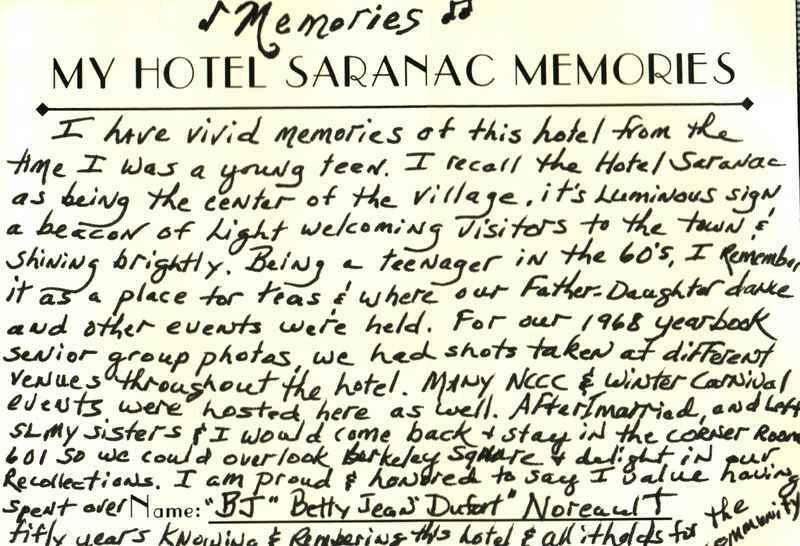 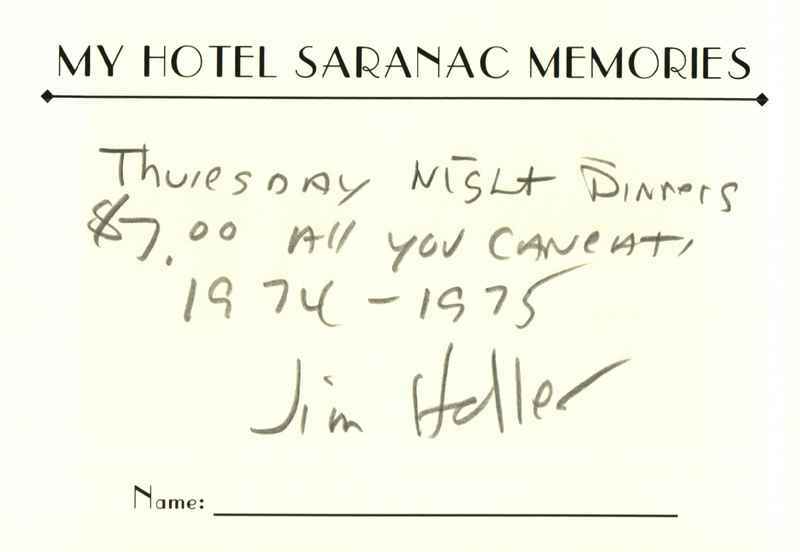 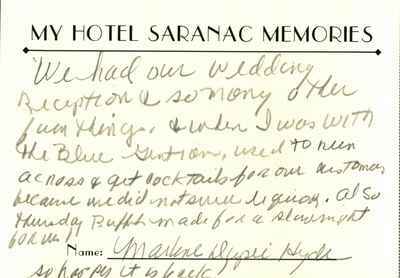 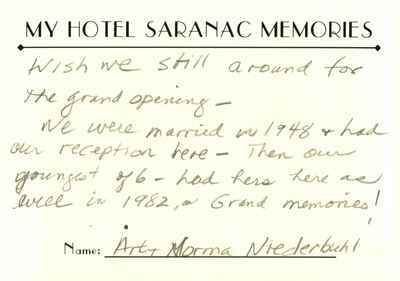 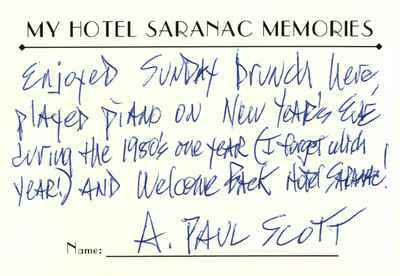 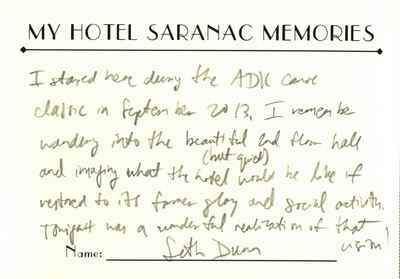 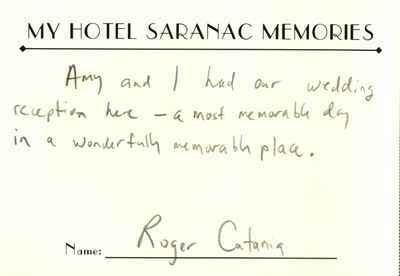 Then, they add their notecard to the wall of handwritten Hotel Saranac memories surrounding them. 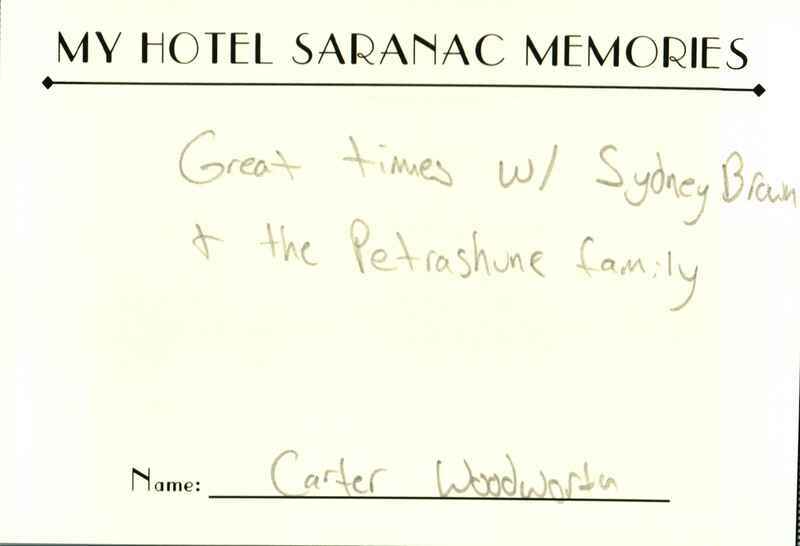 Above are just a few of the memories that were shared with us. 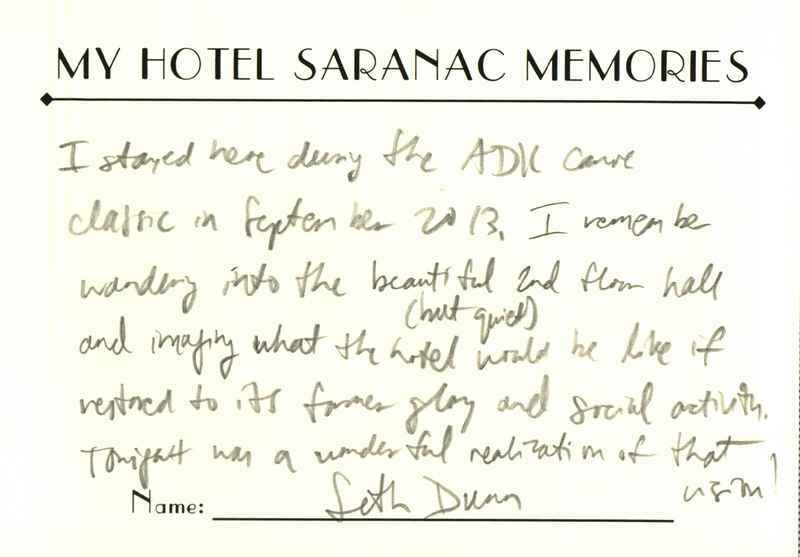 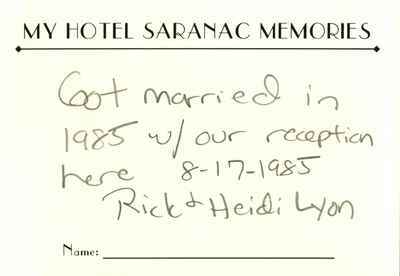 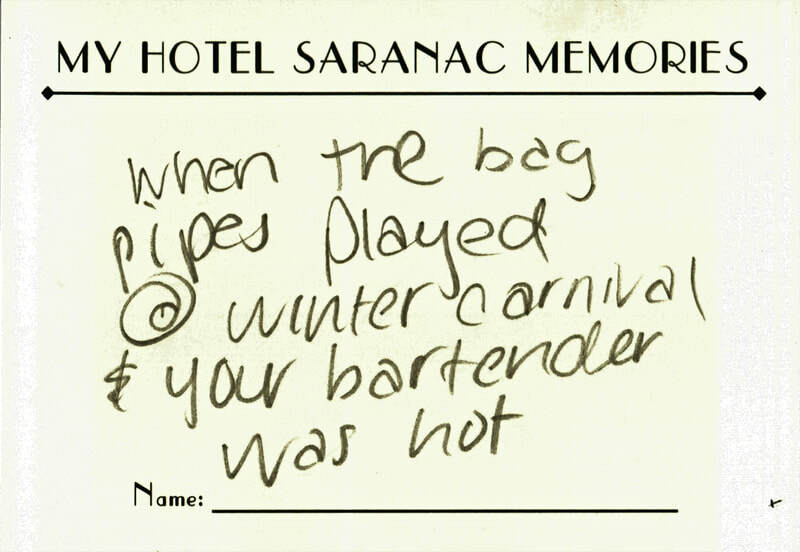 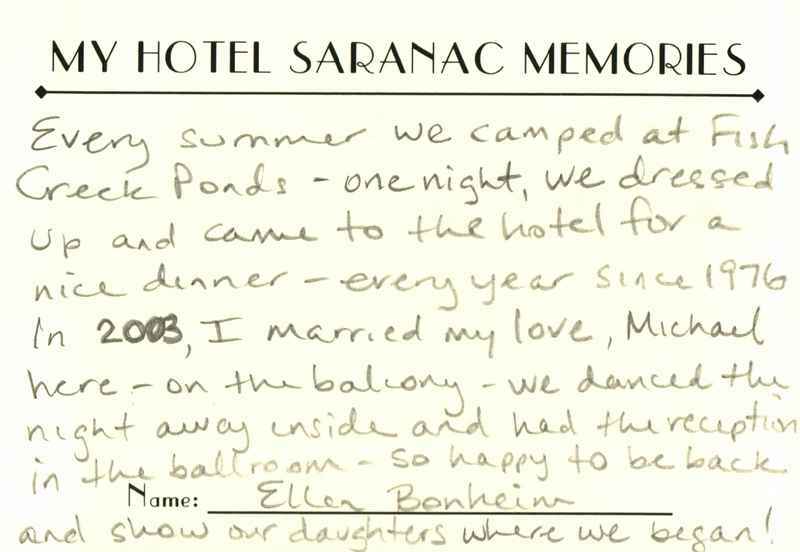 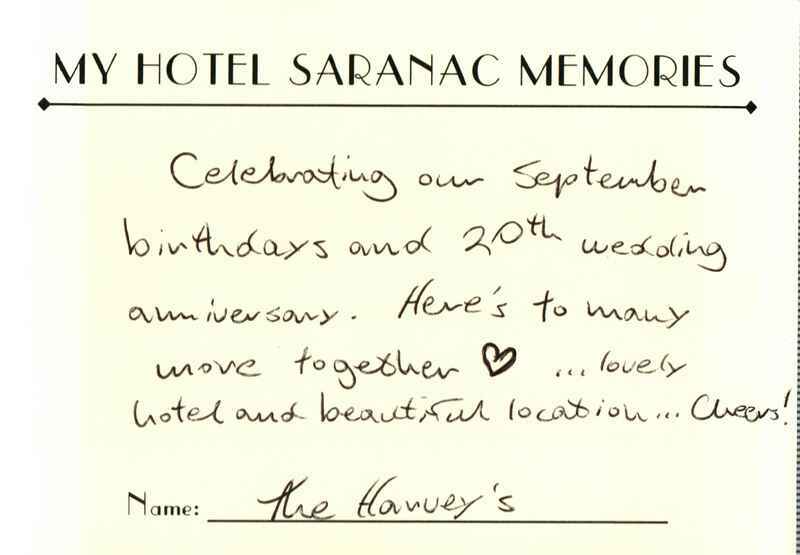 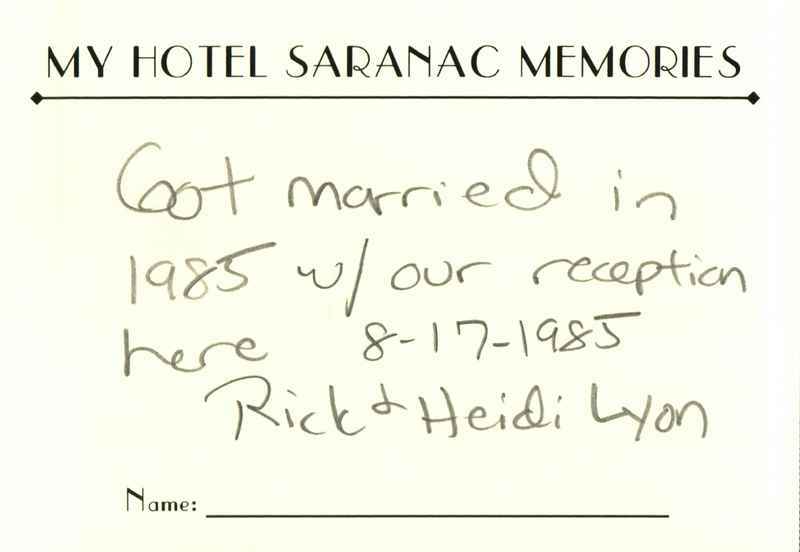 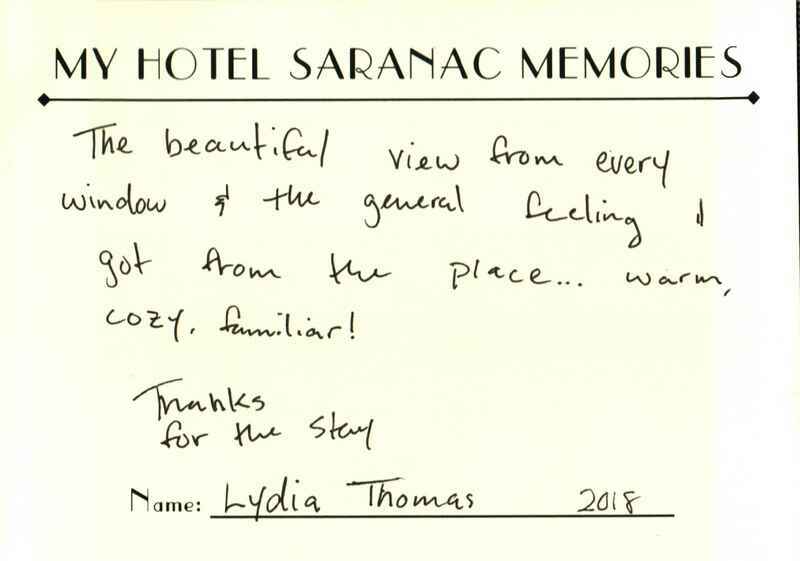 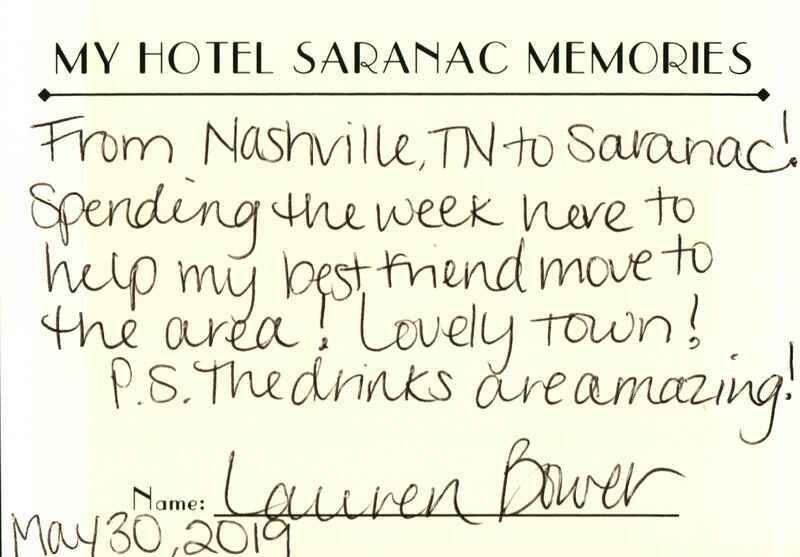 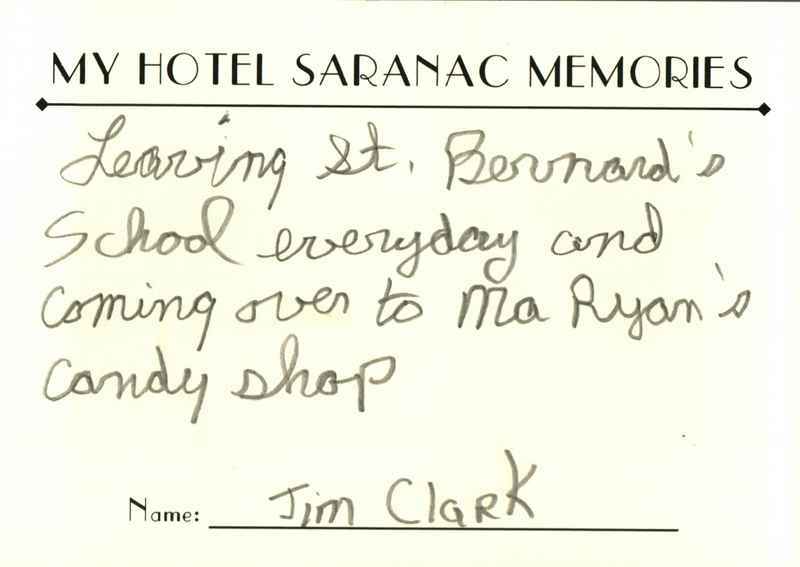 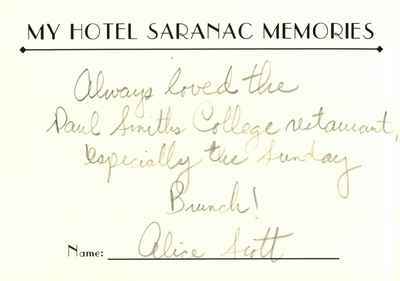 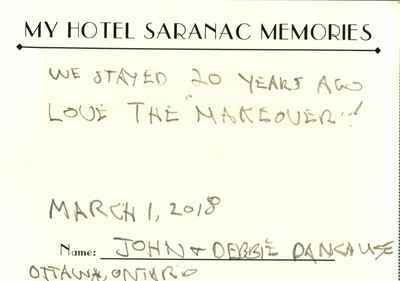 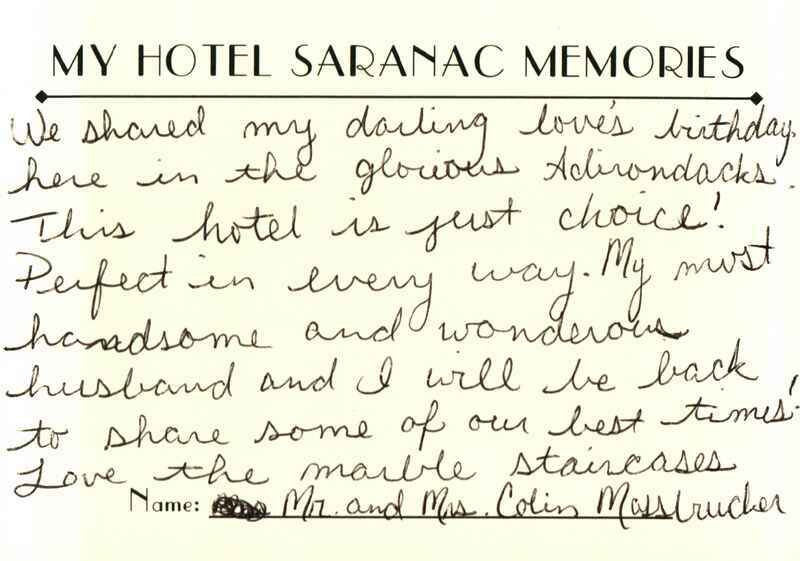 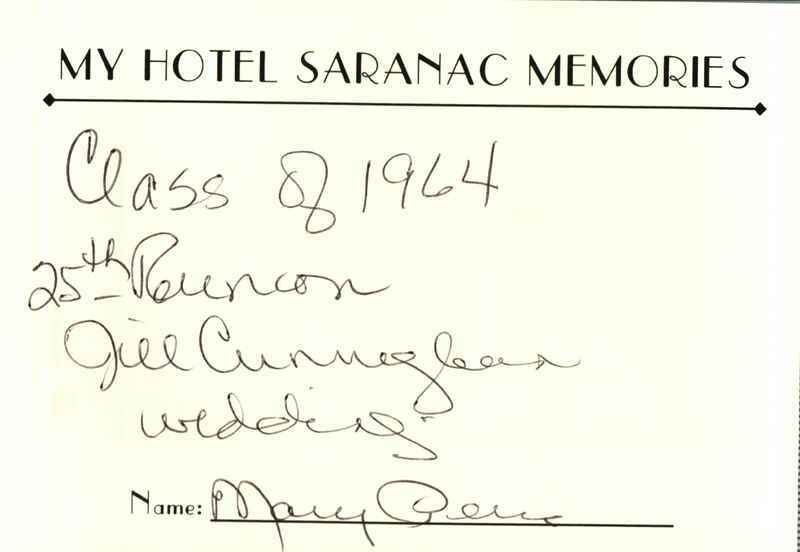 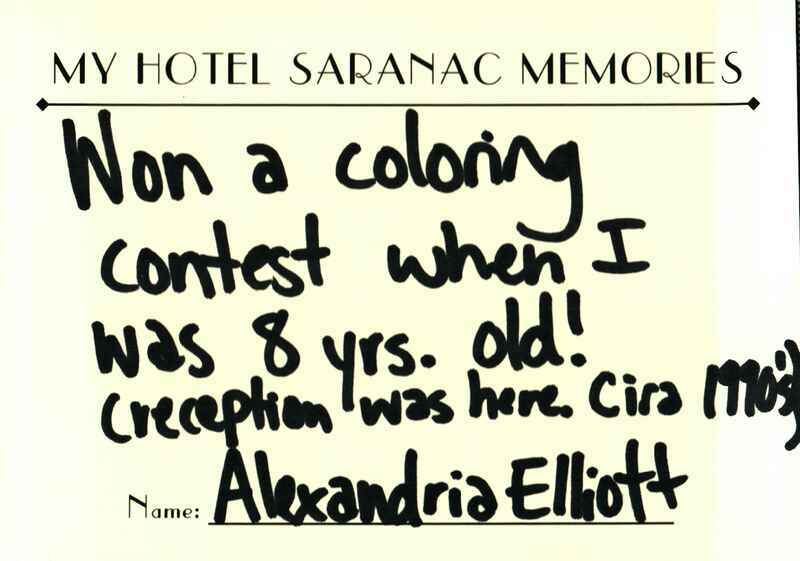 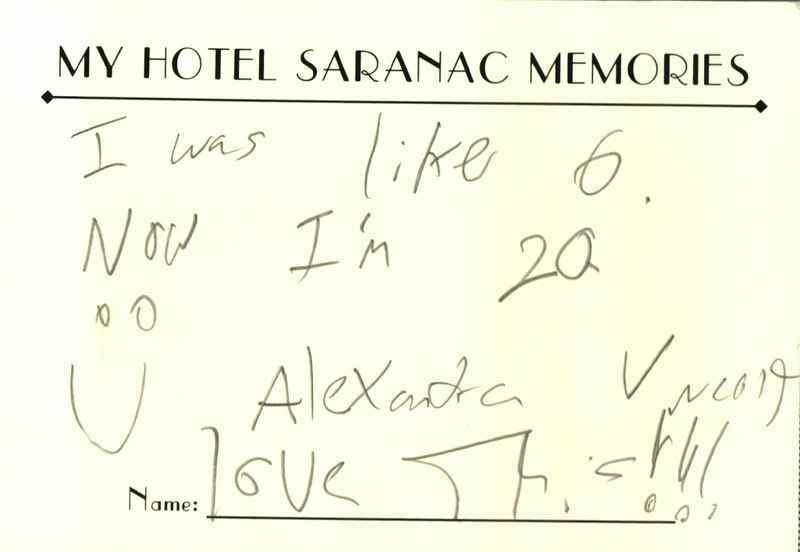 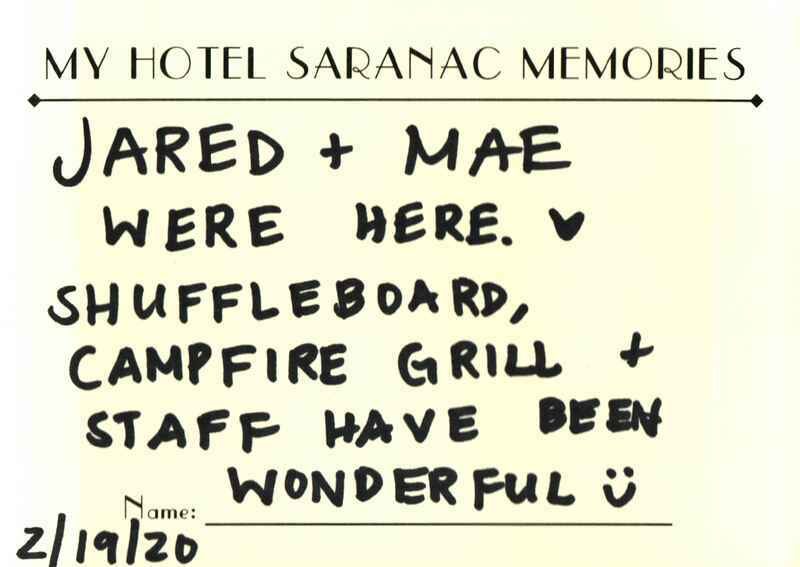 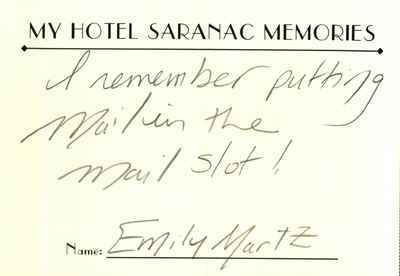 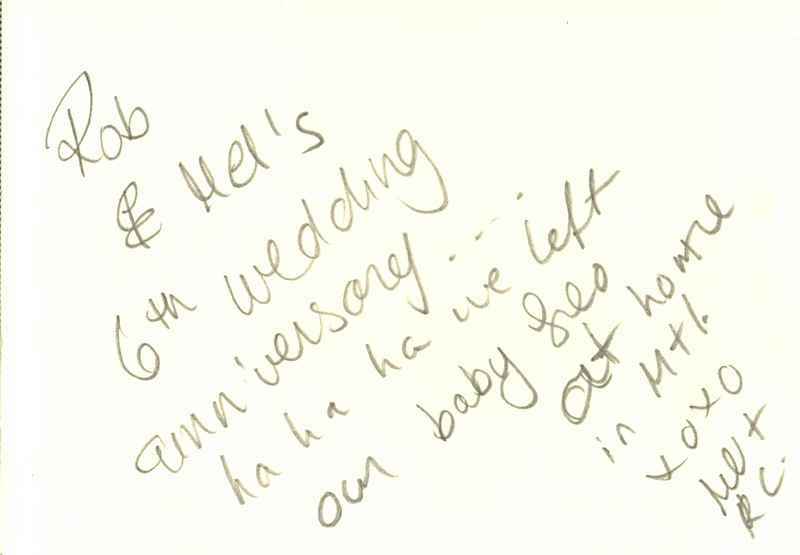 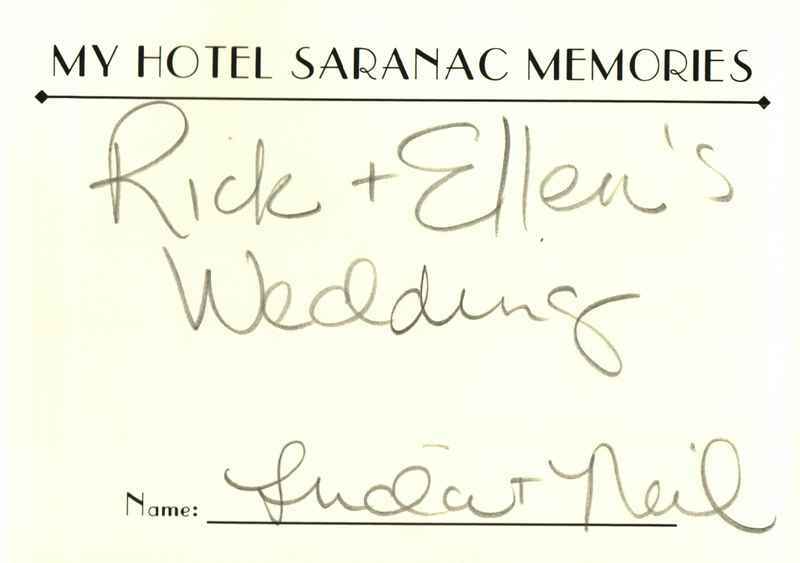 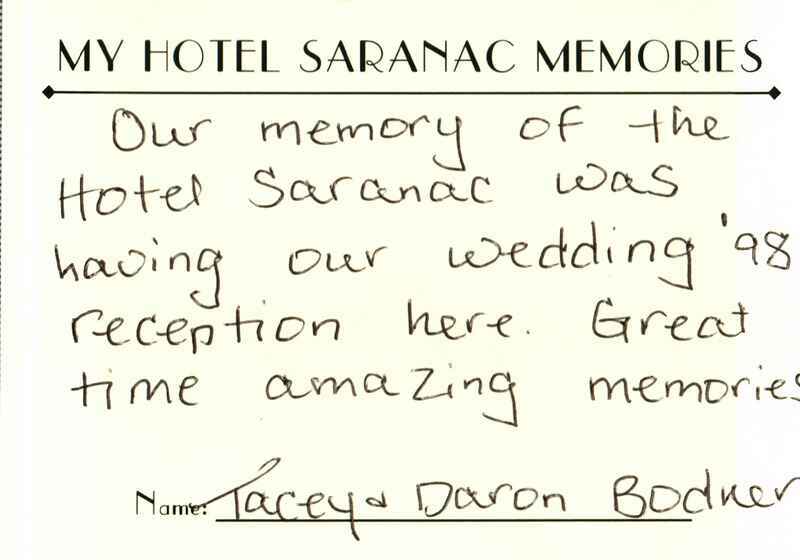 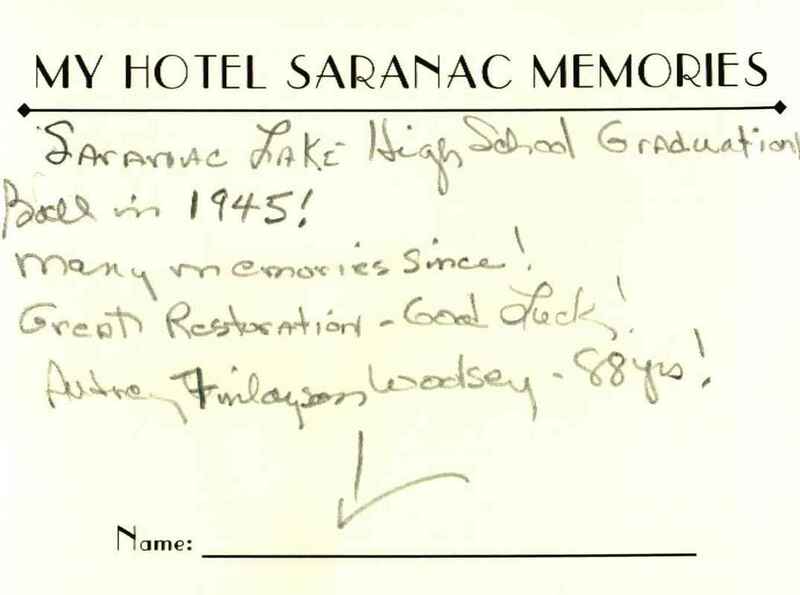 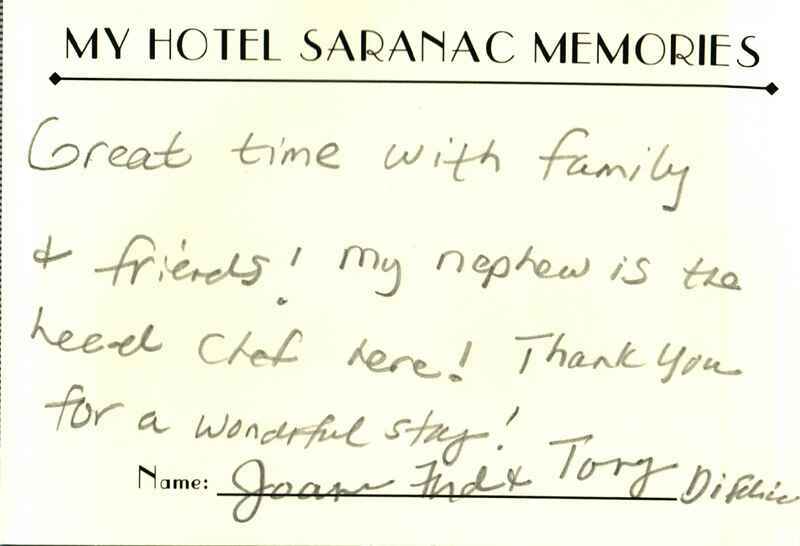 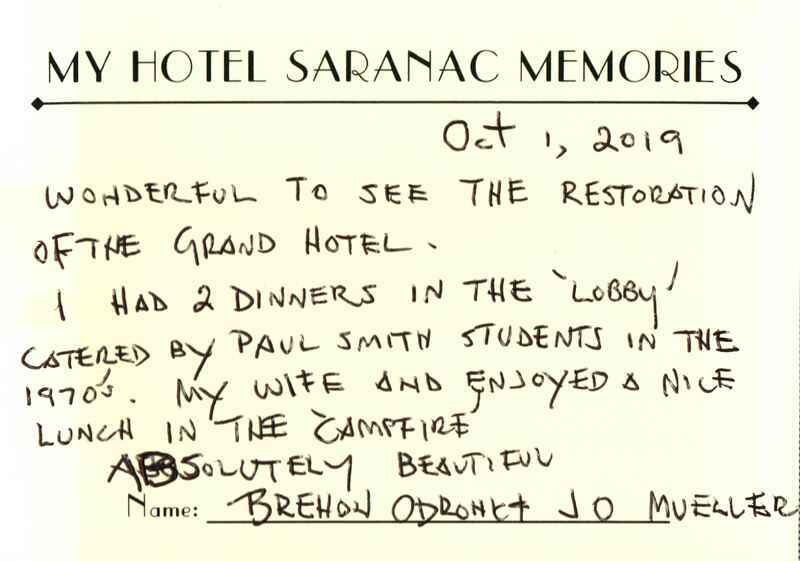 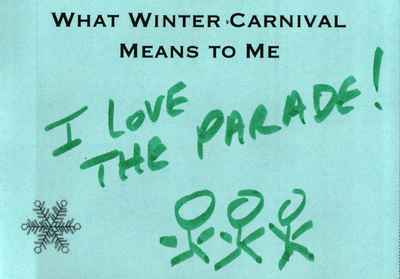 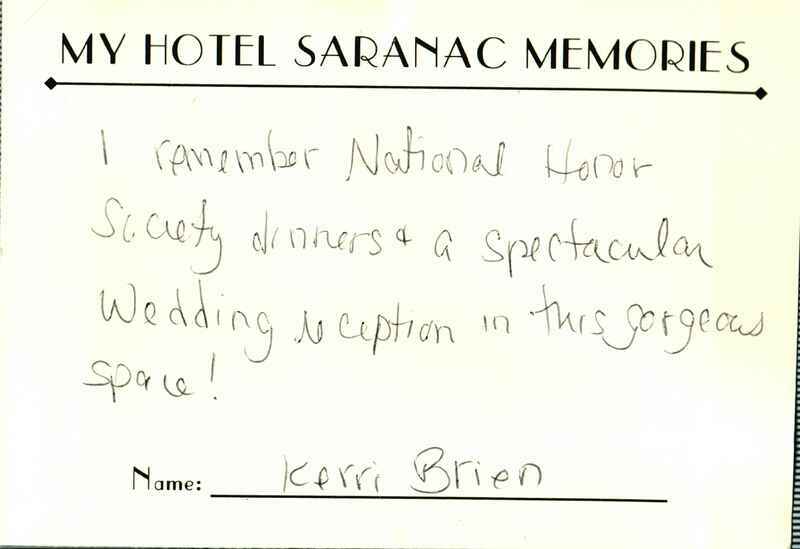 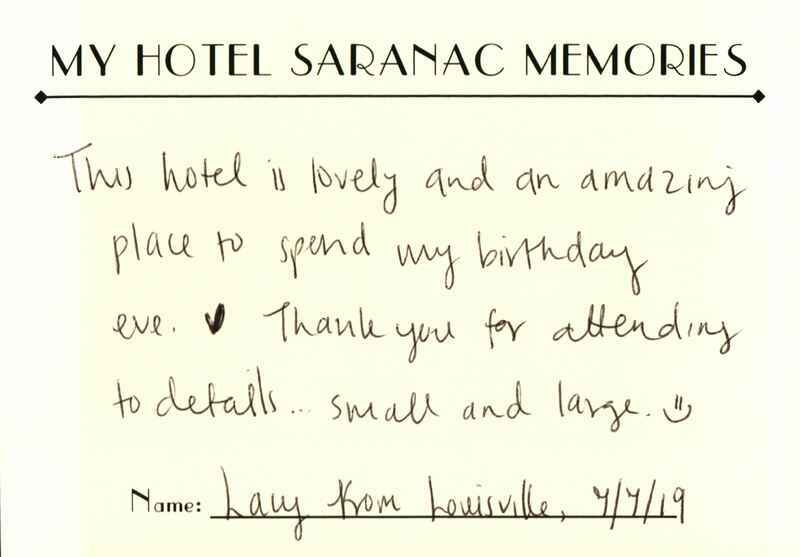 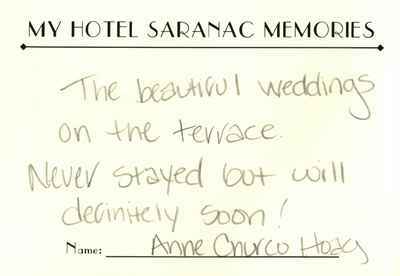 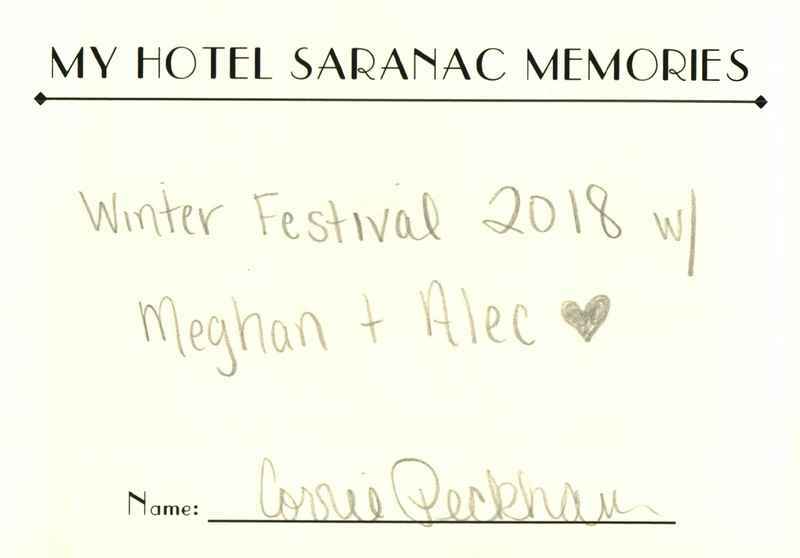 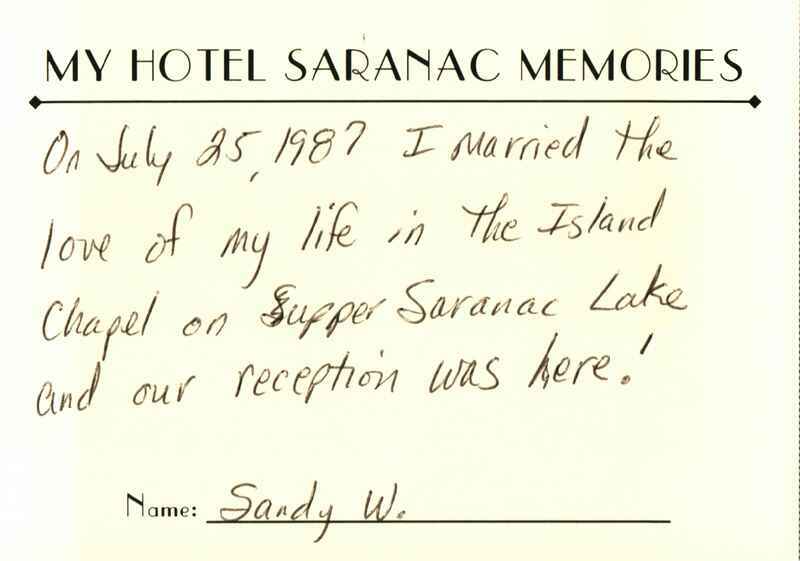 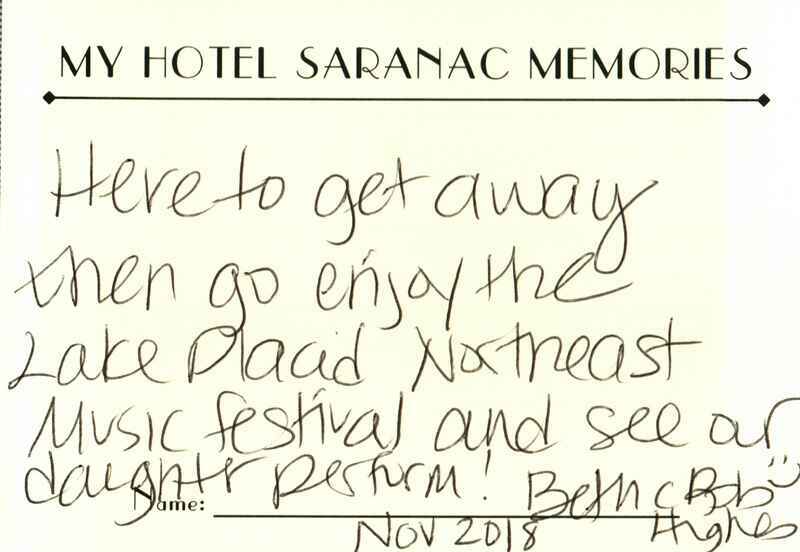 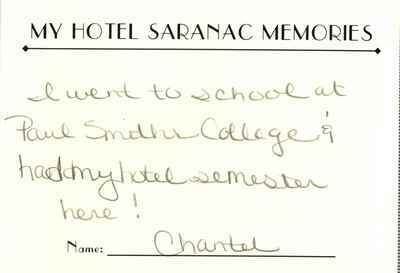 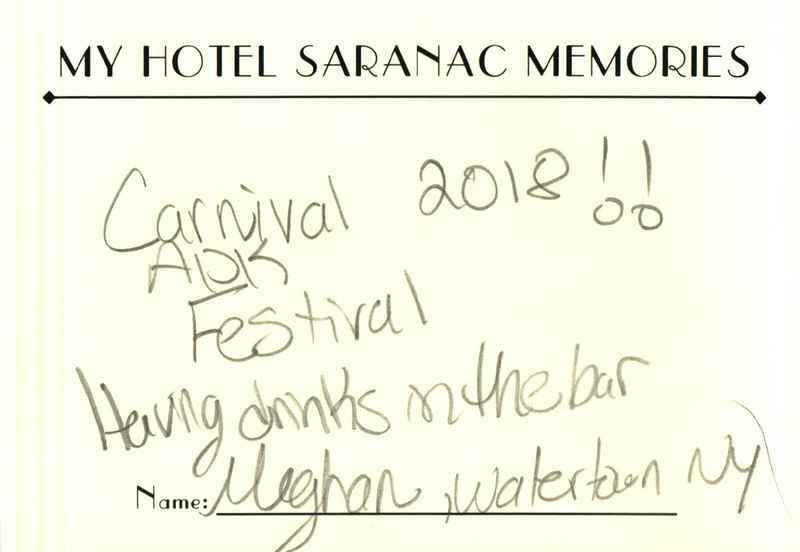 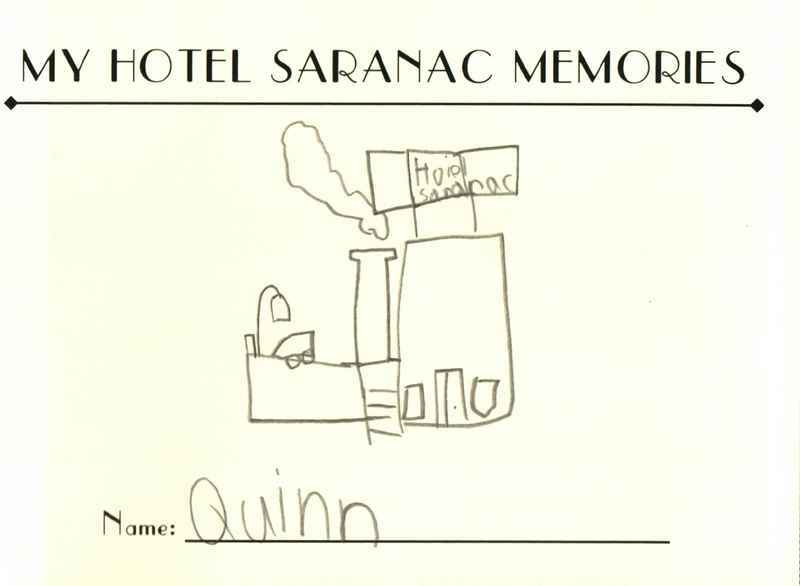 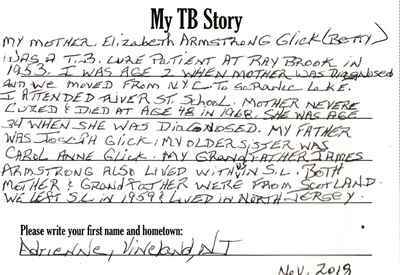 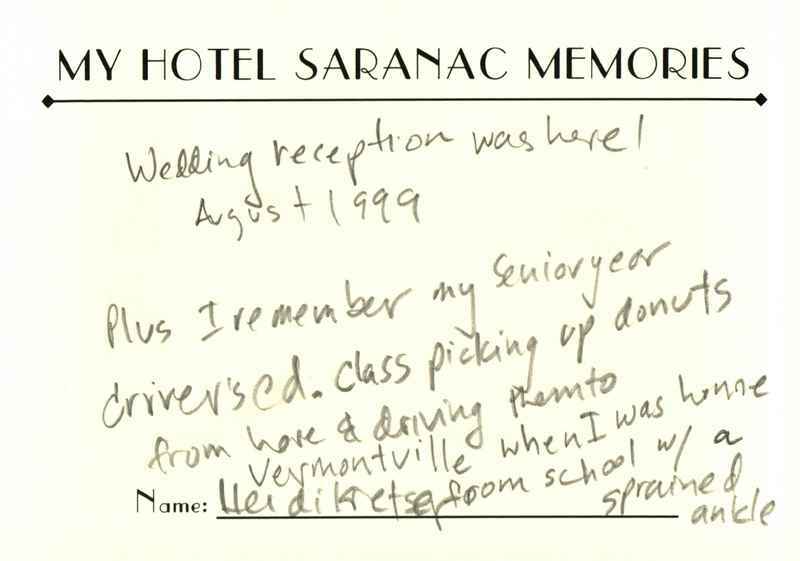 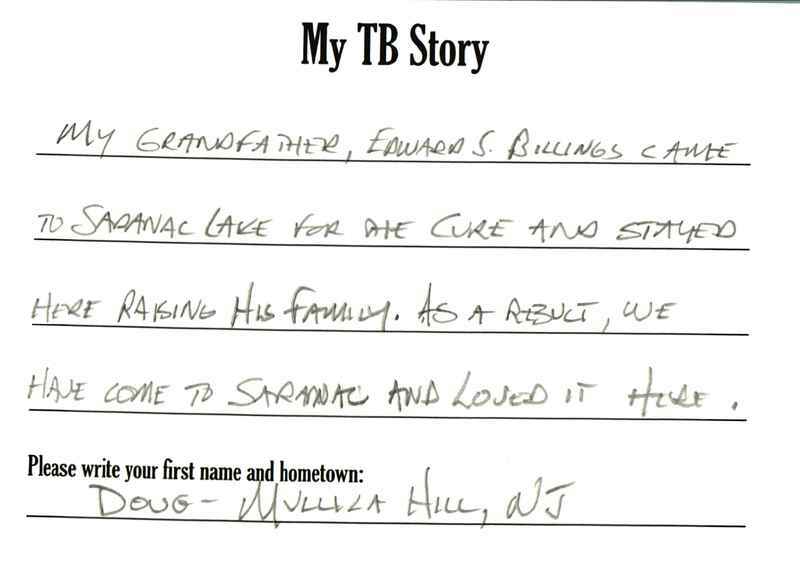 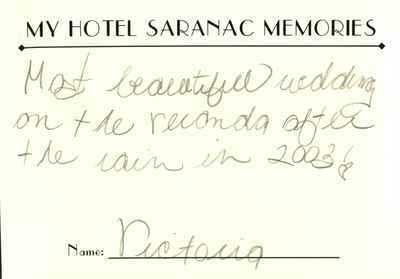 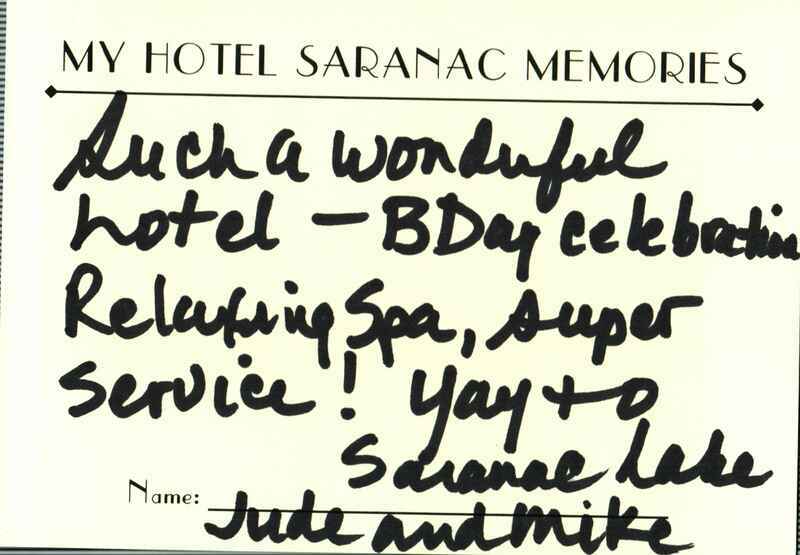 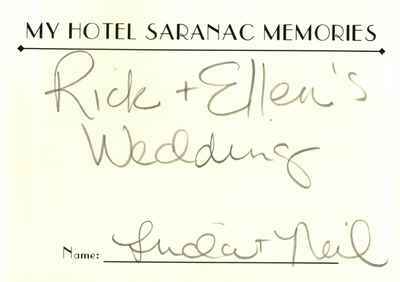 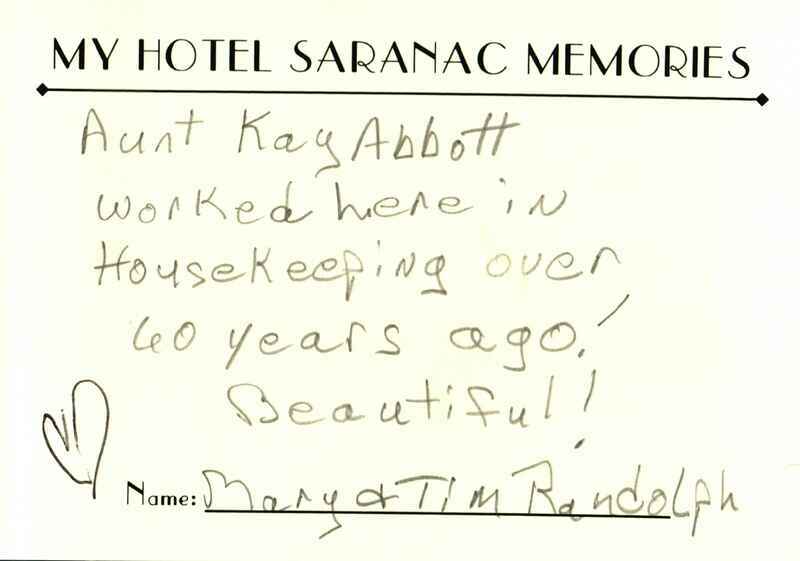 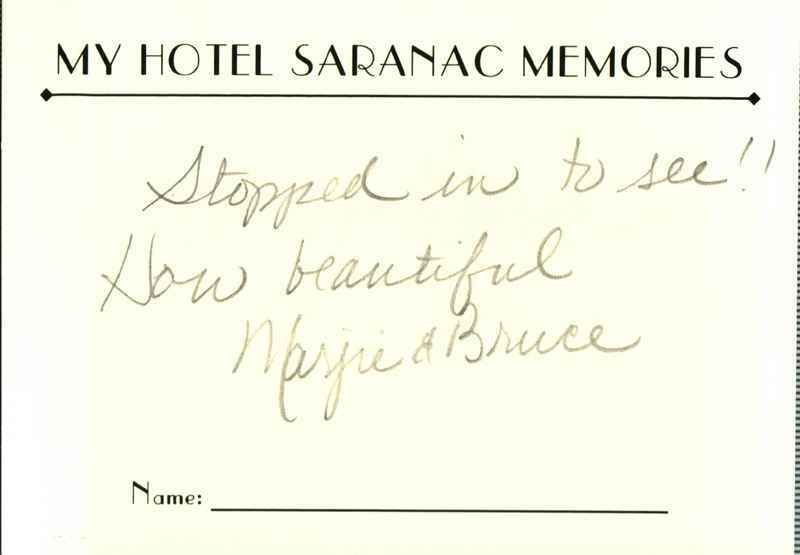 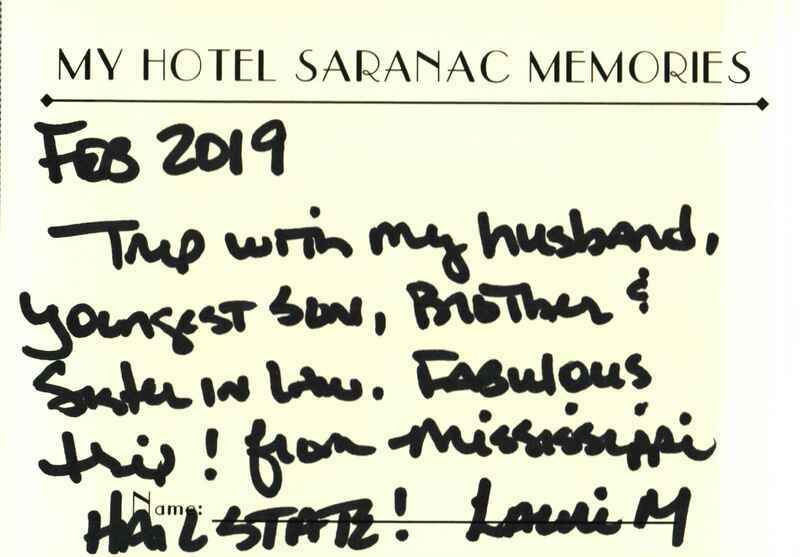 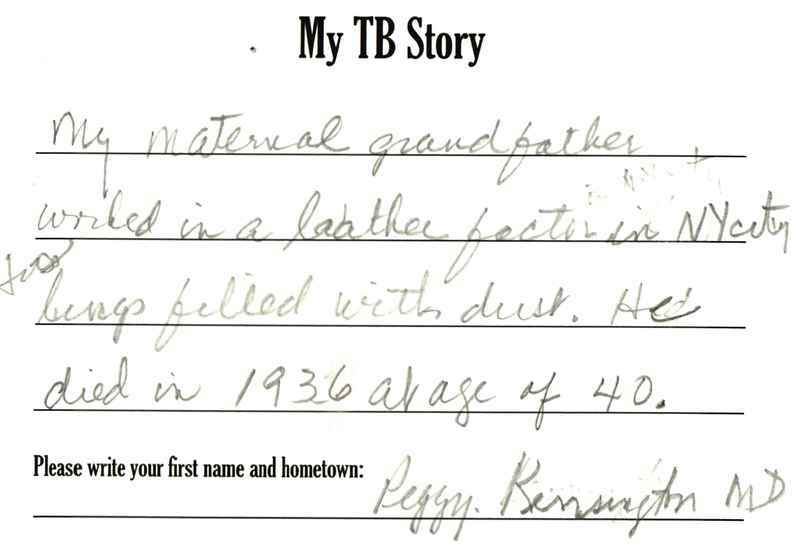 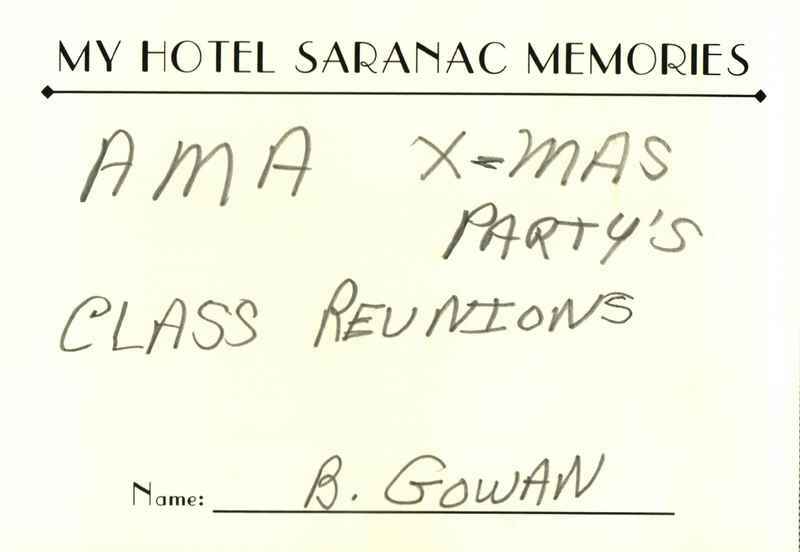 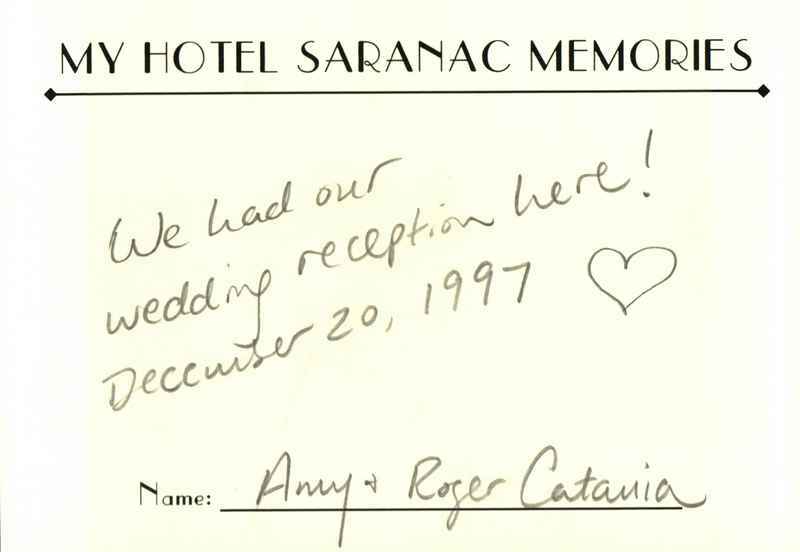 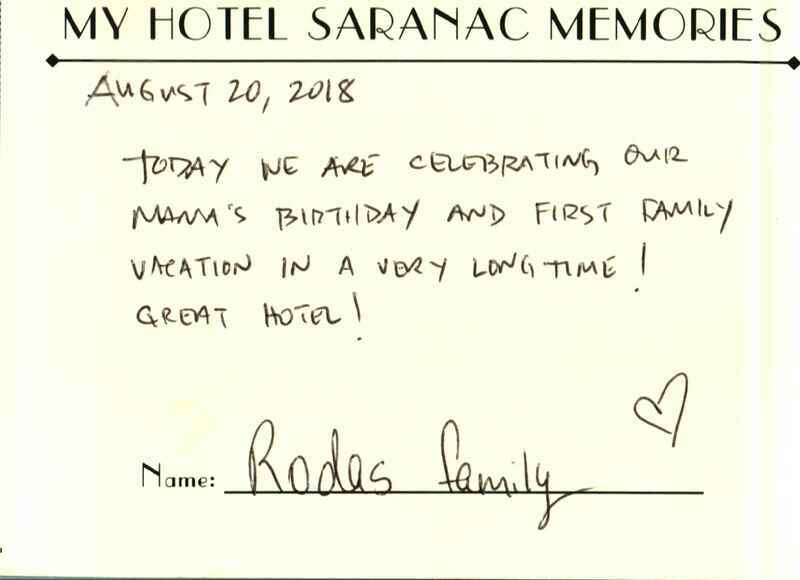 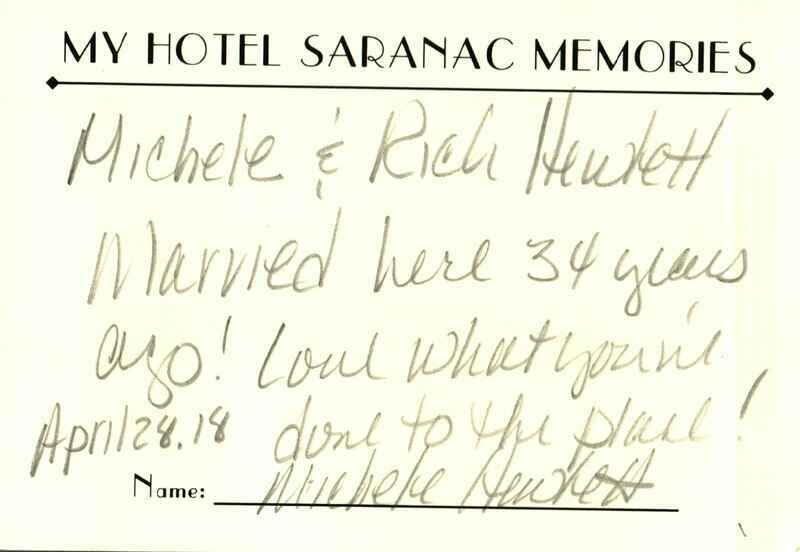 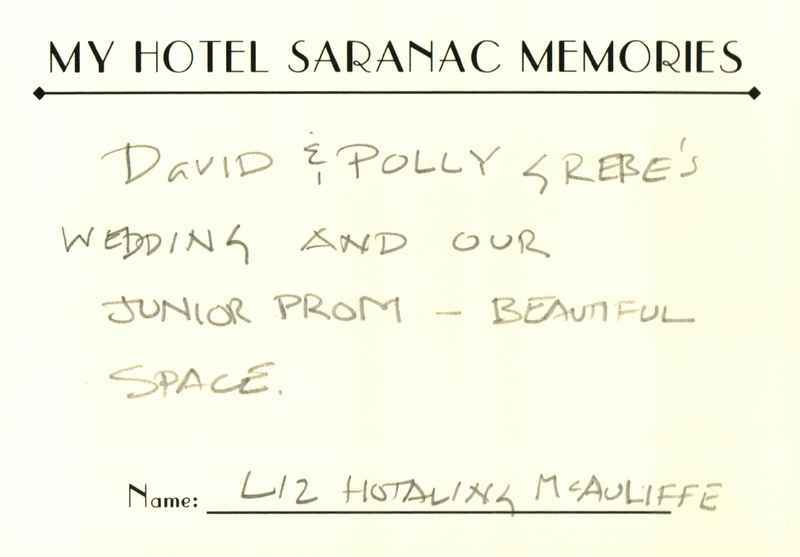 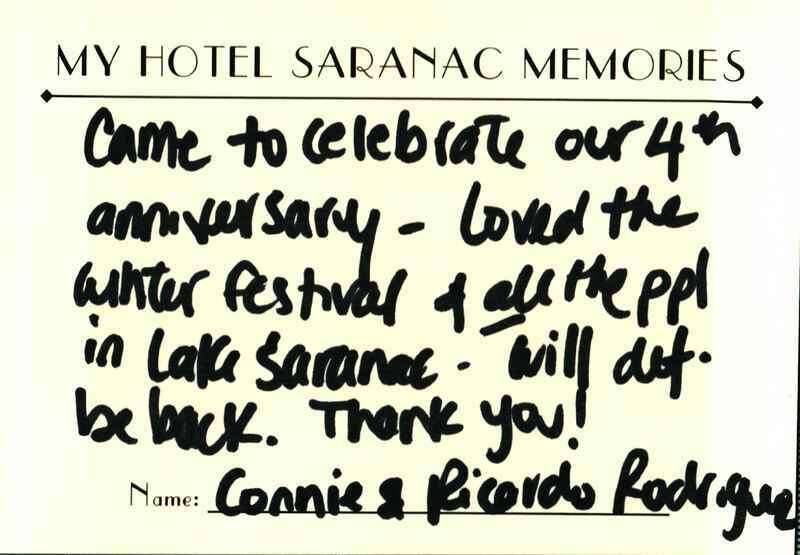 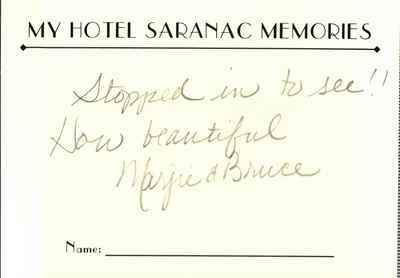 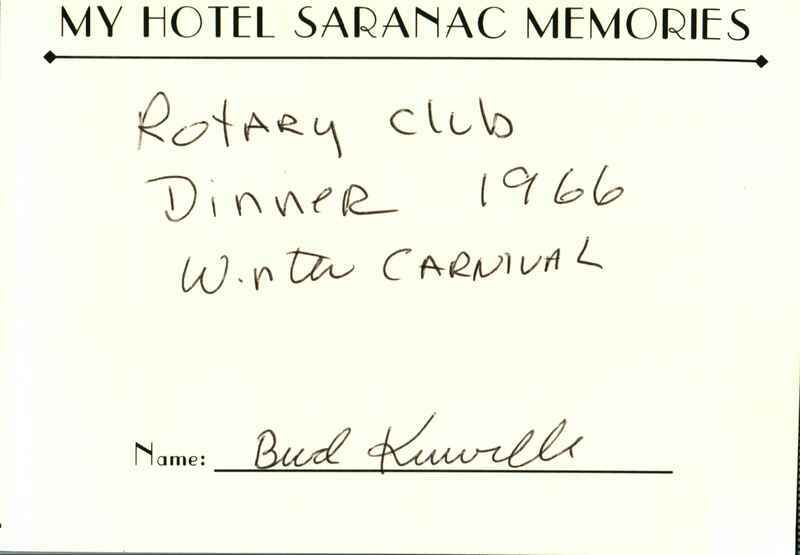 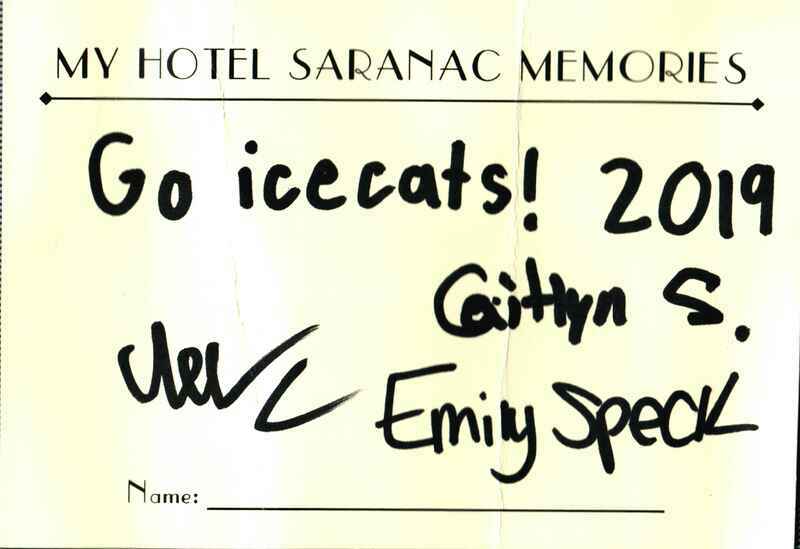 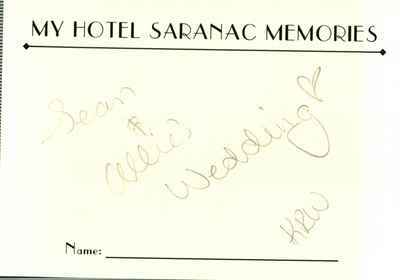 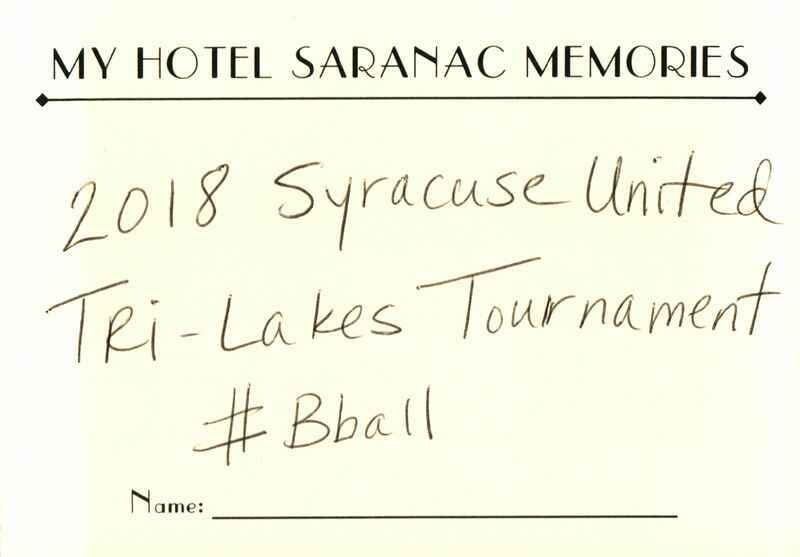 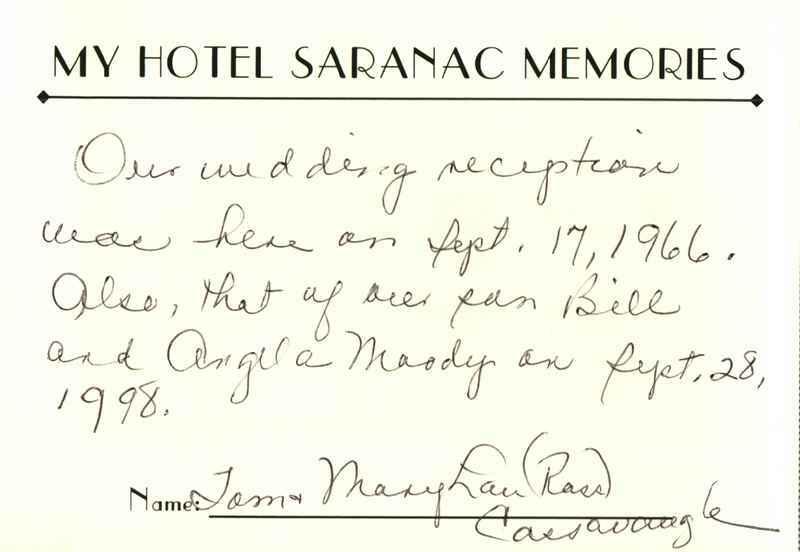 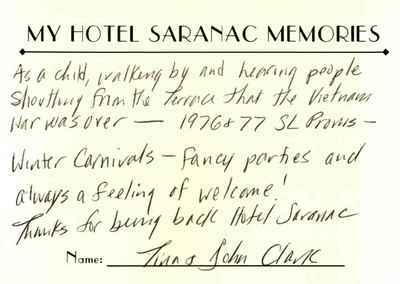 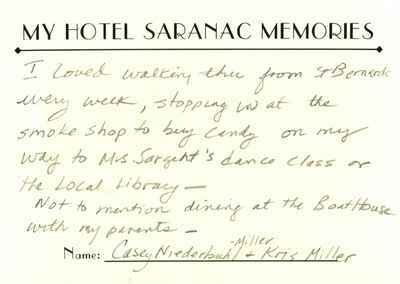 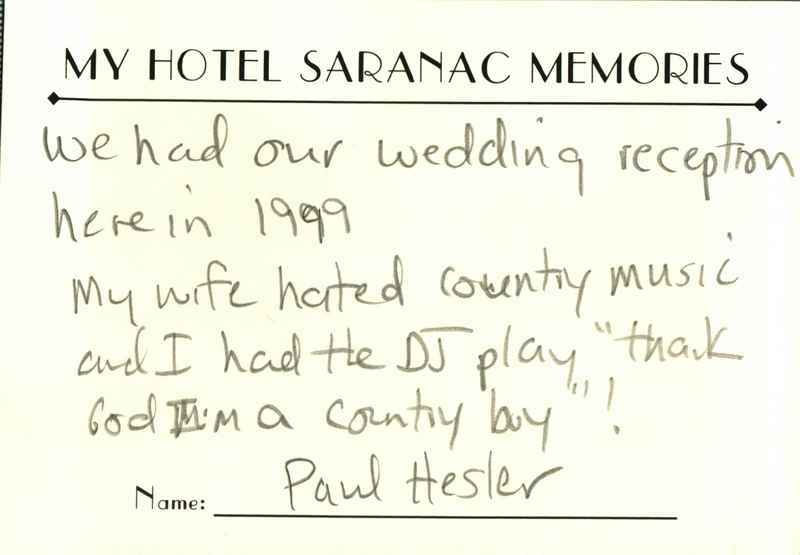 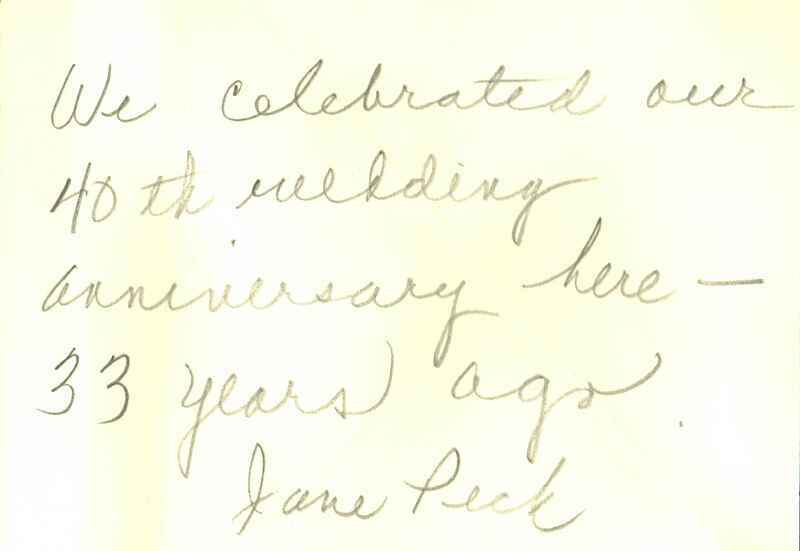 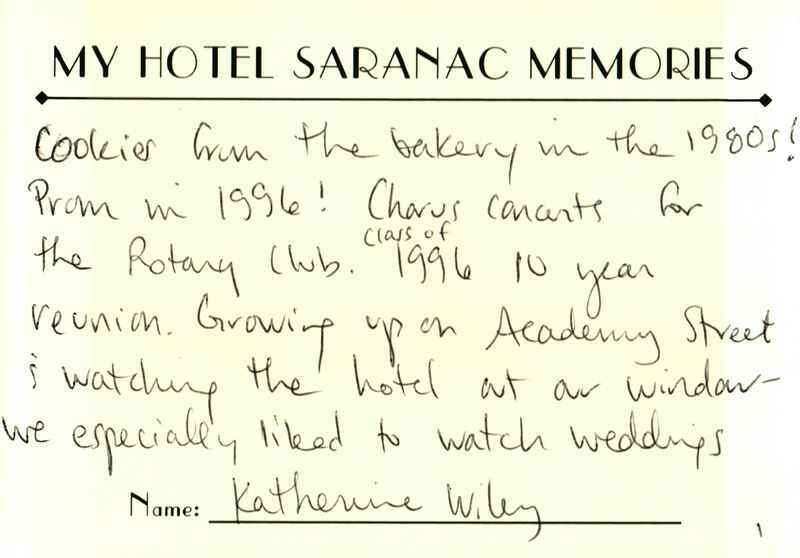 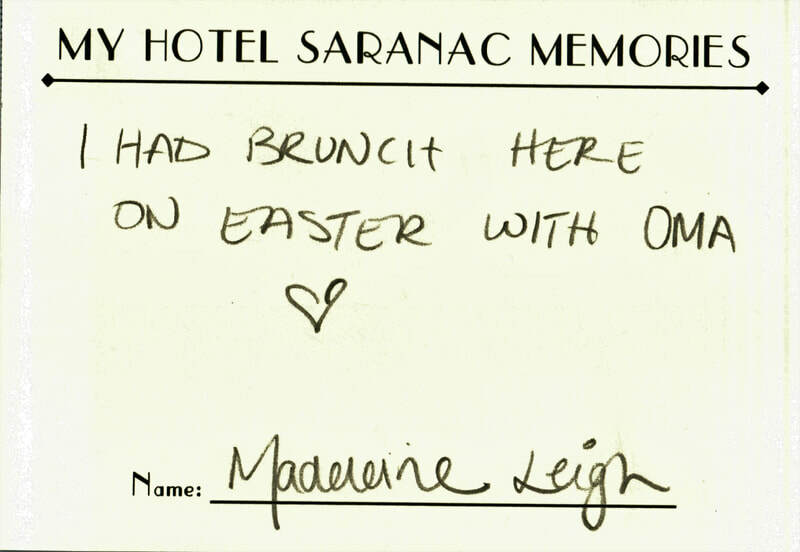 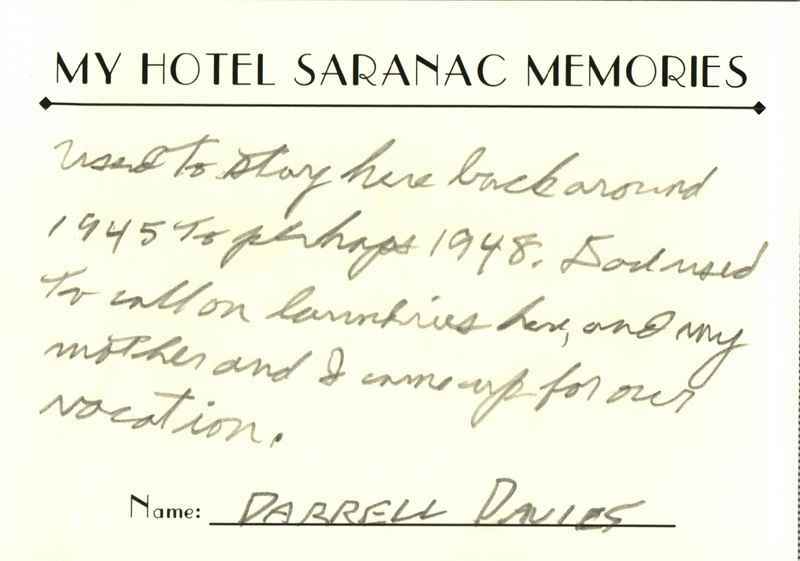 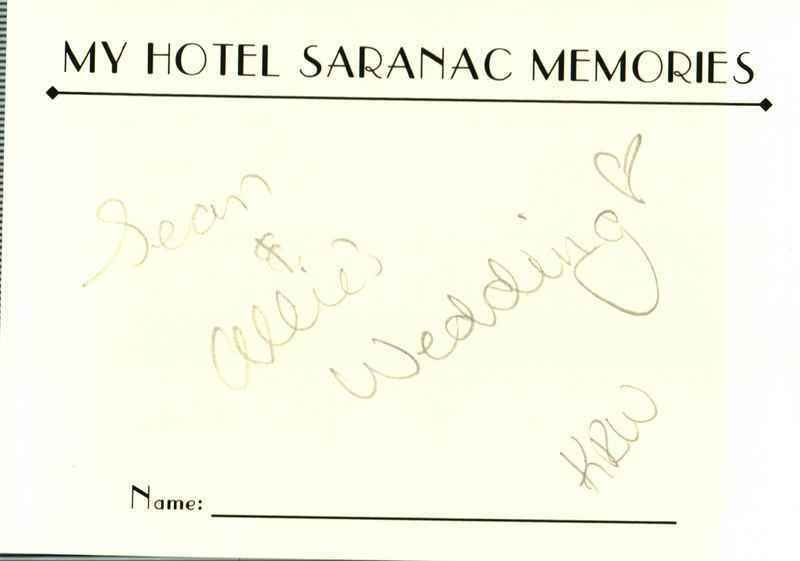 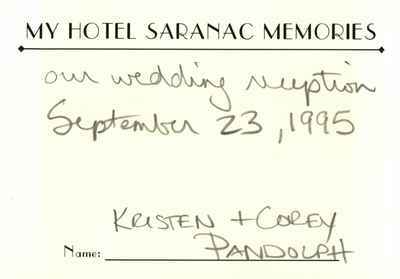 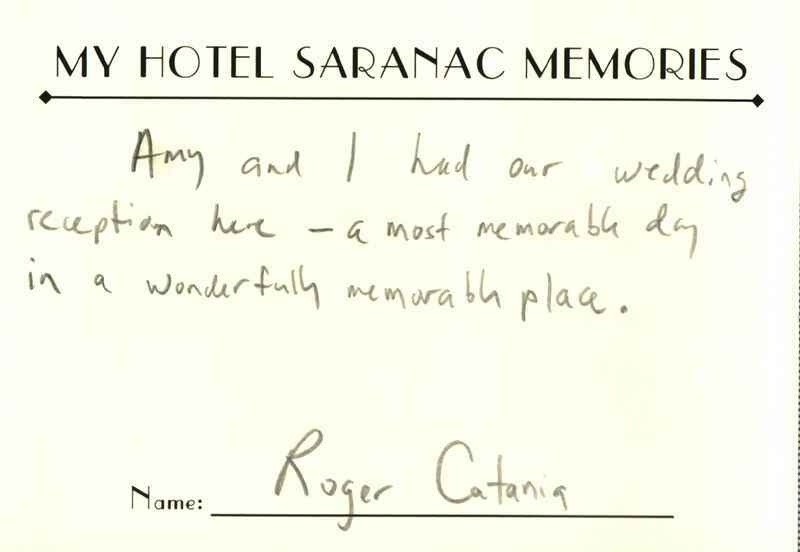 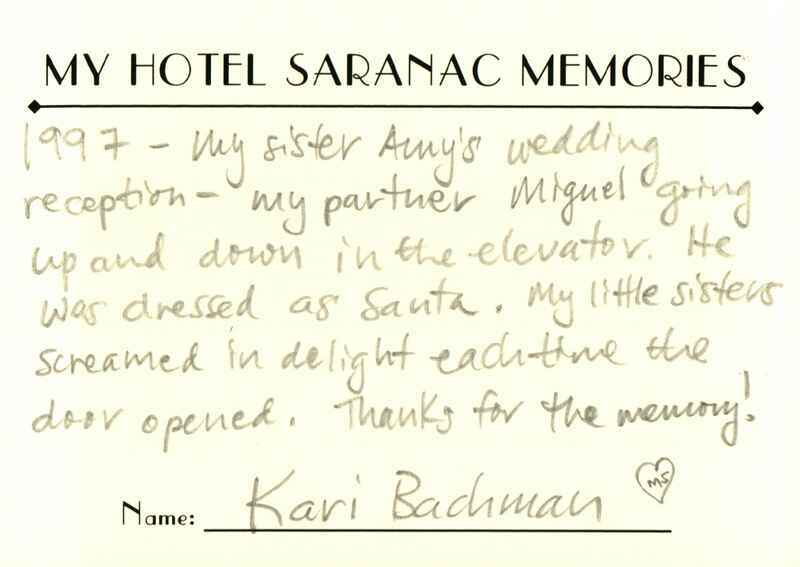 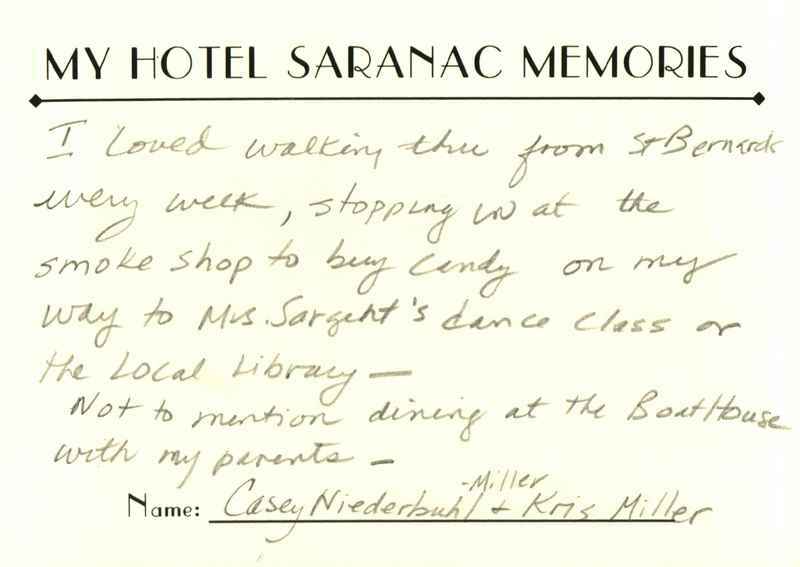 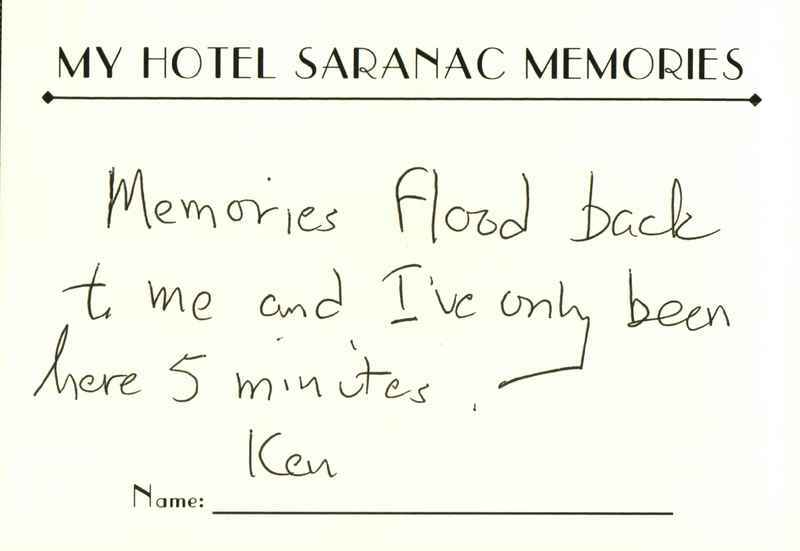 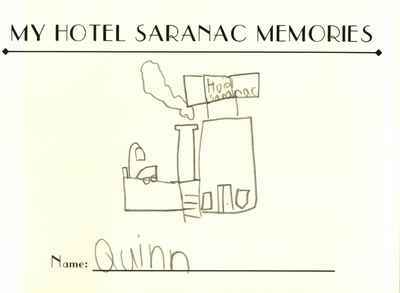 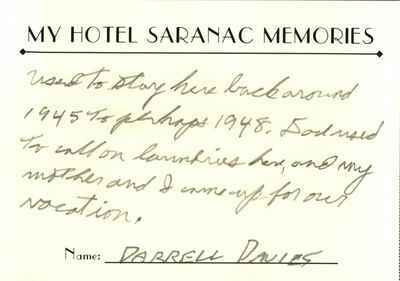 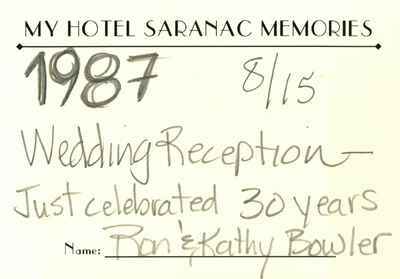 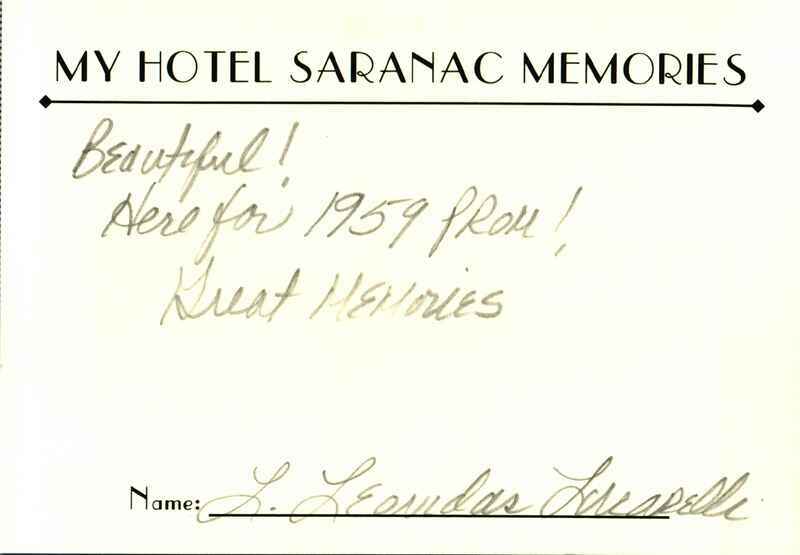 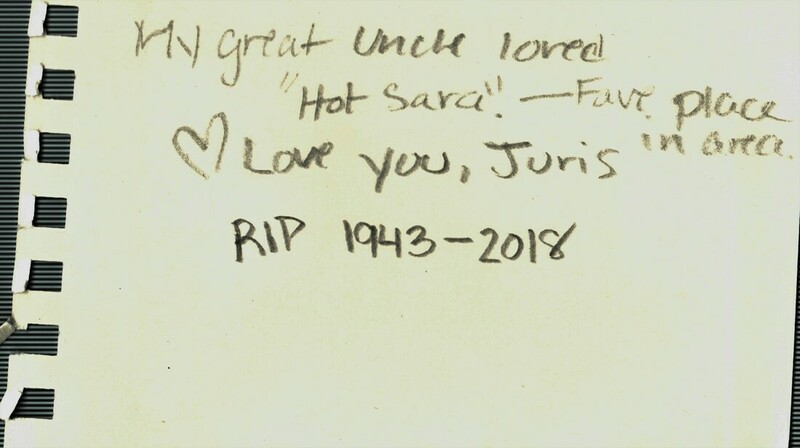 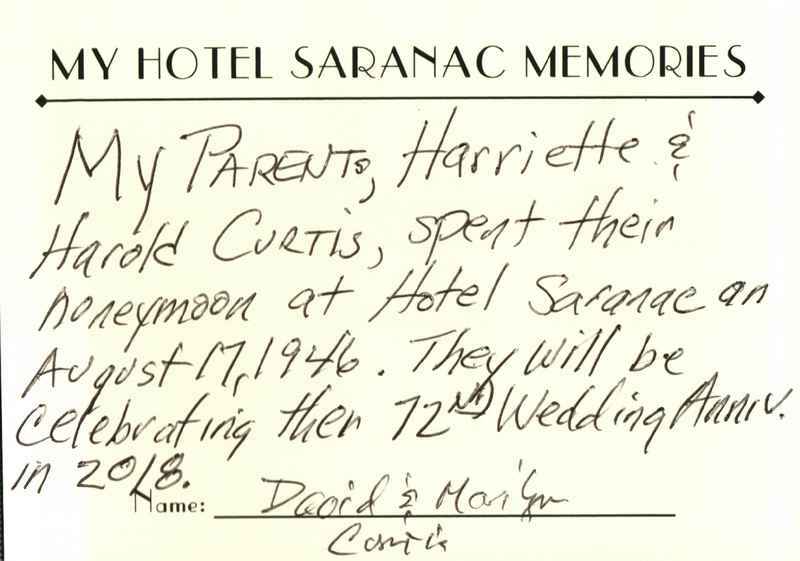 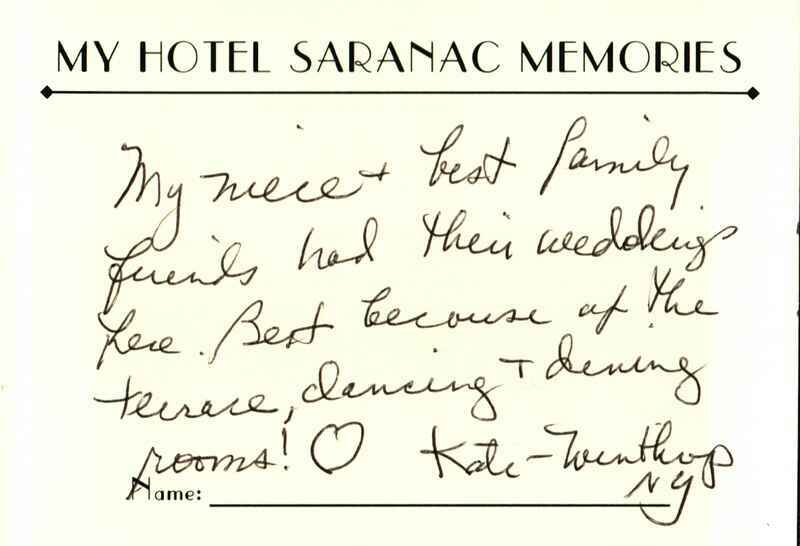 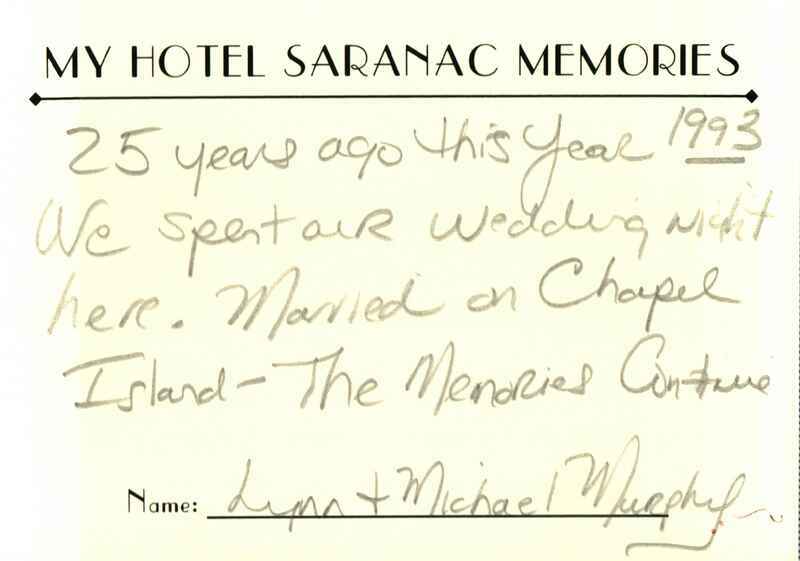 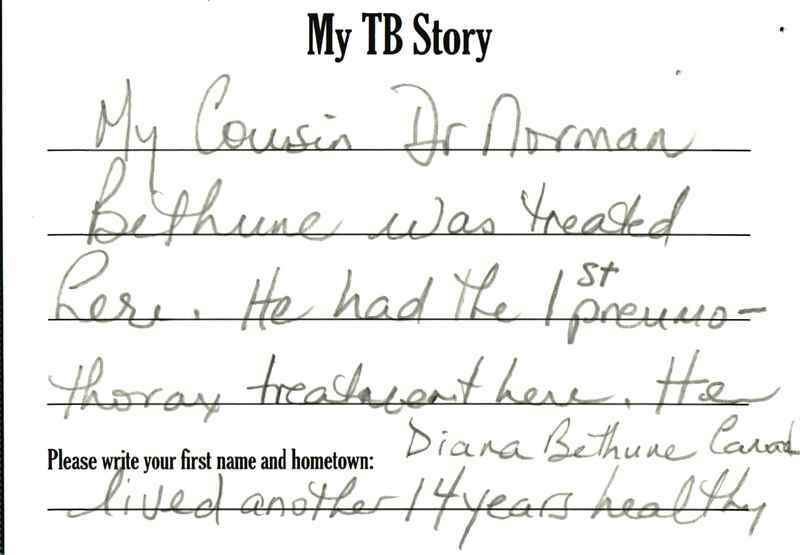 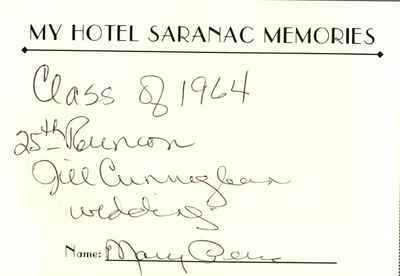 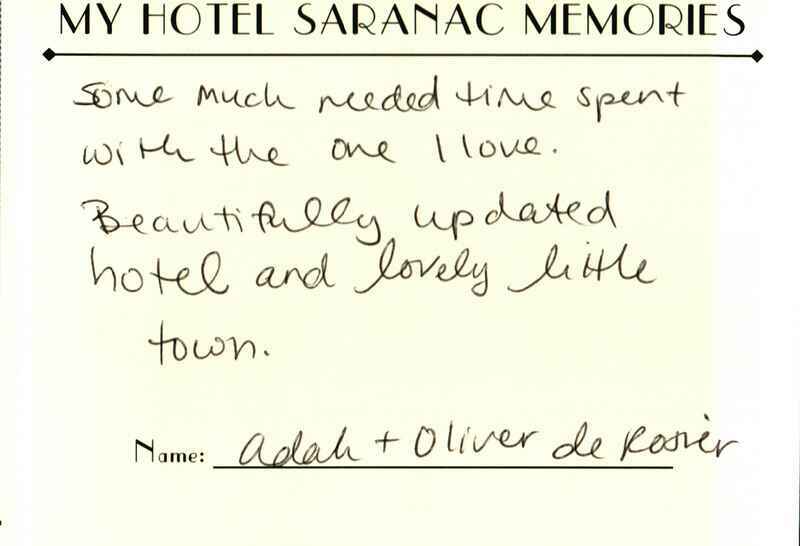 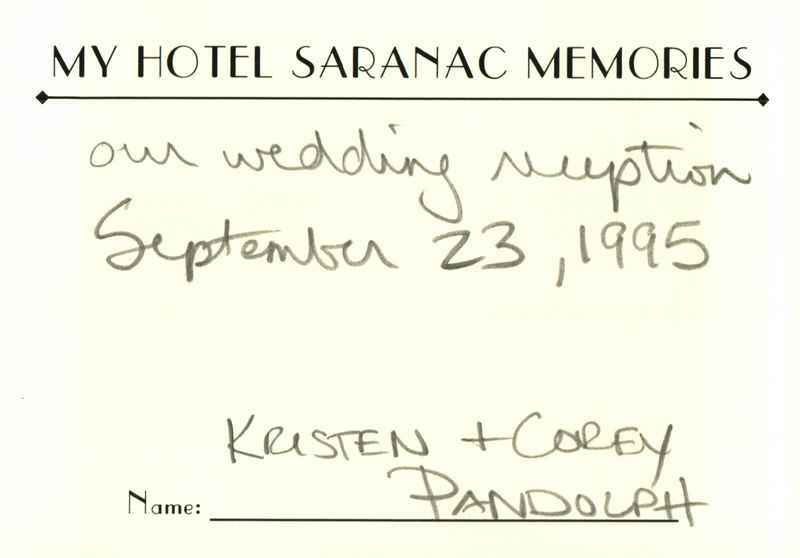 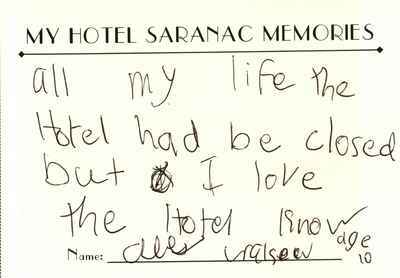 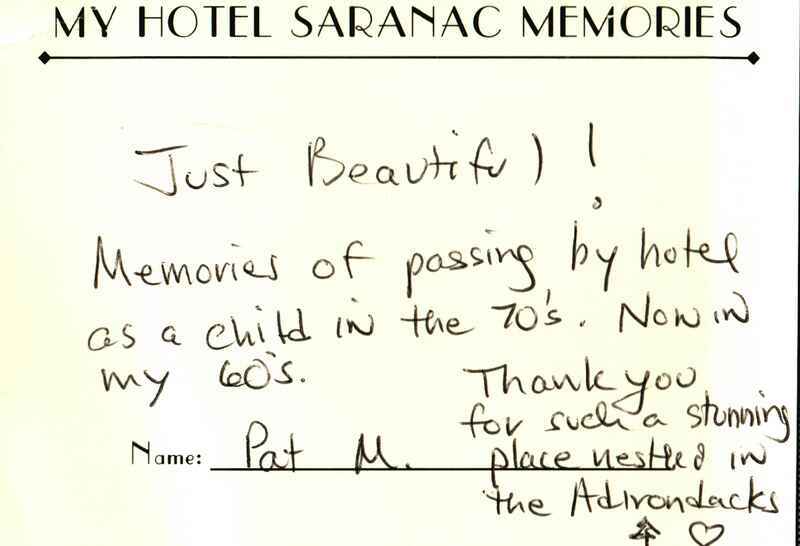 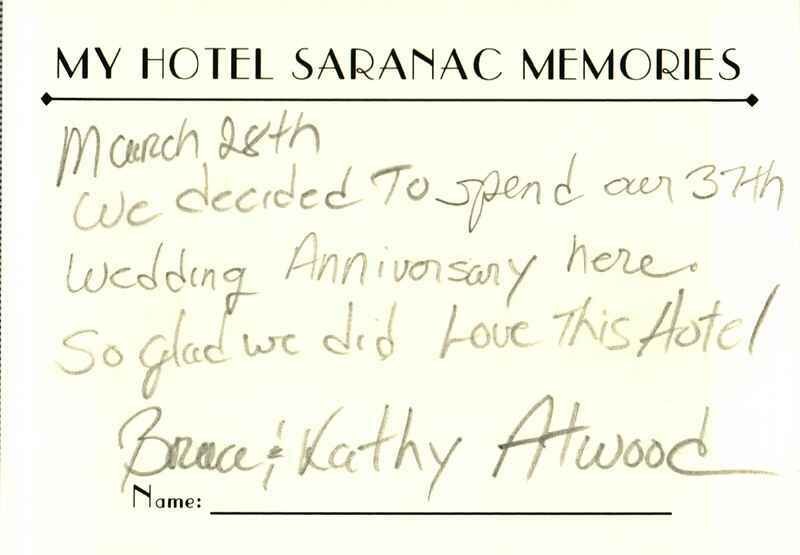 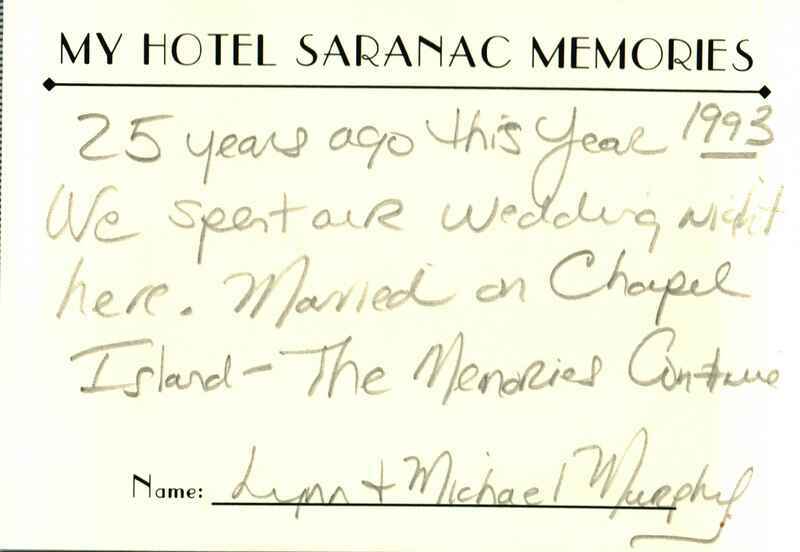 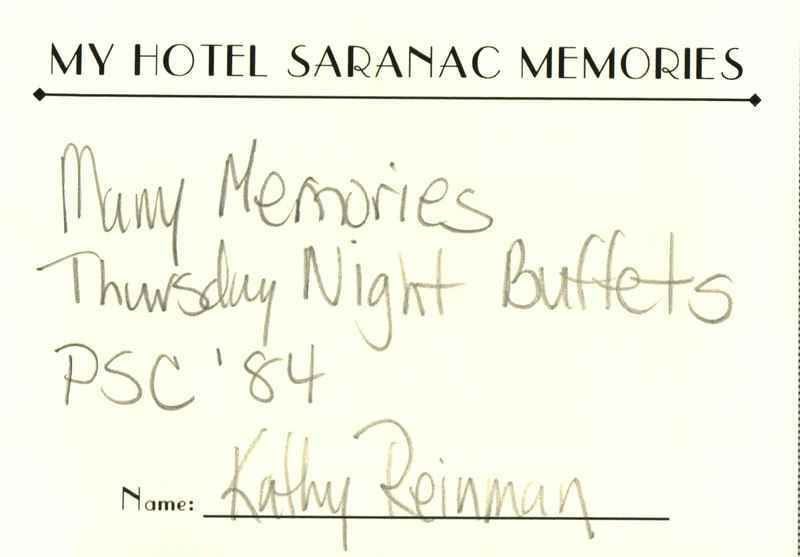 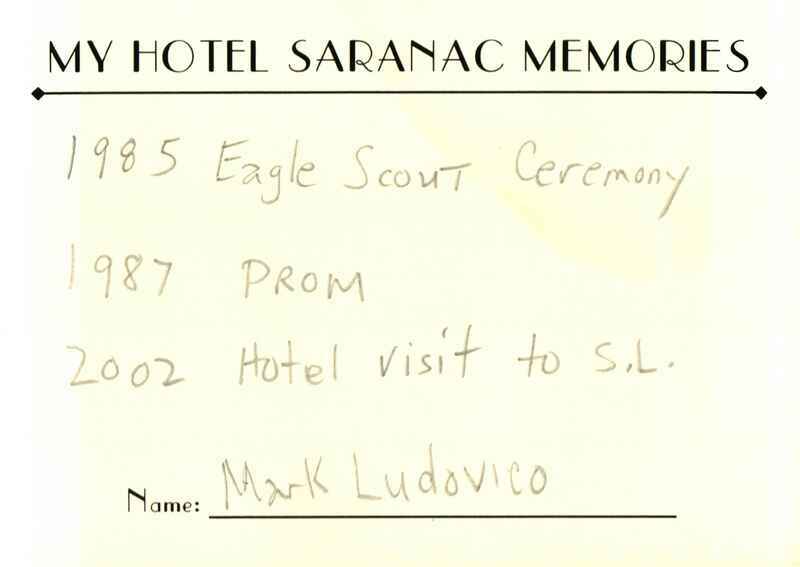 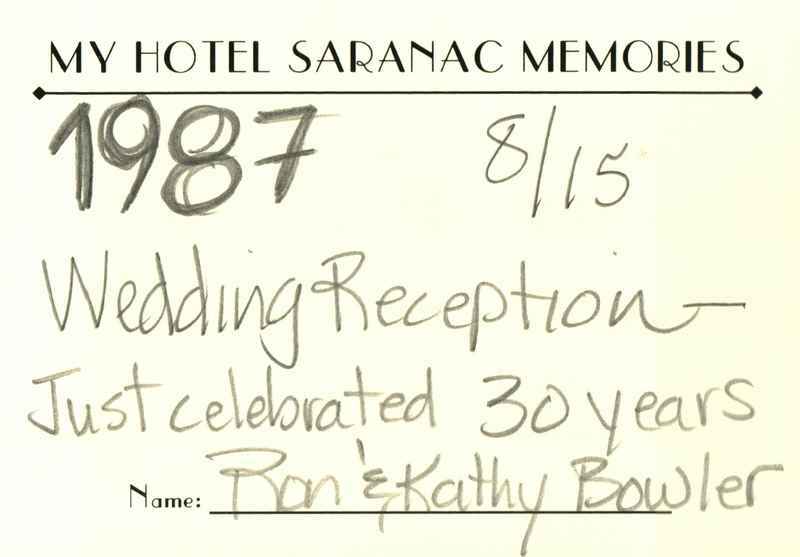 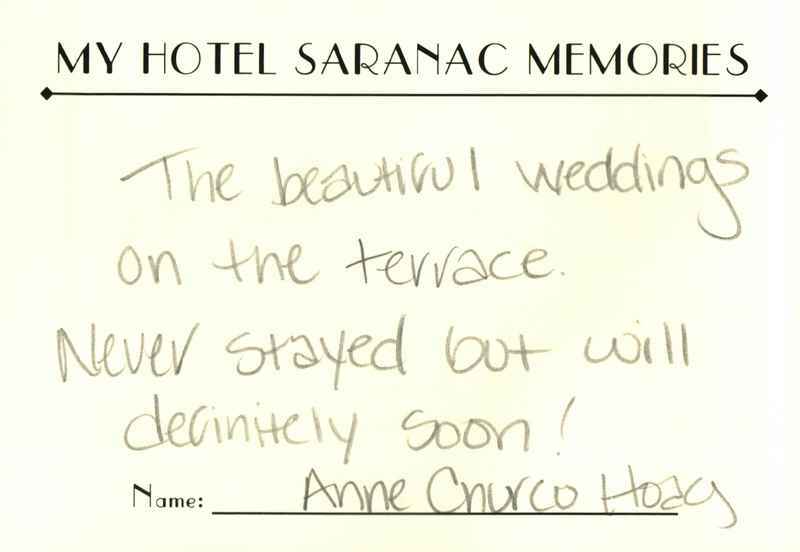 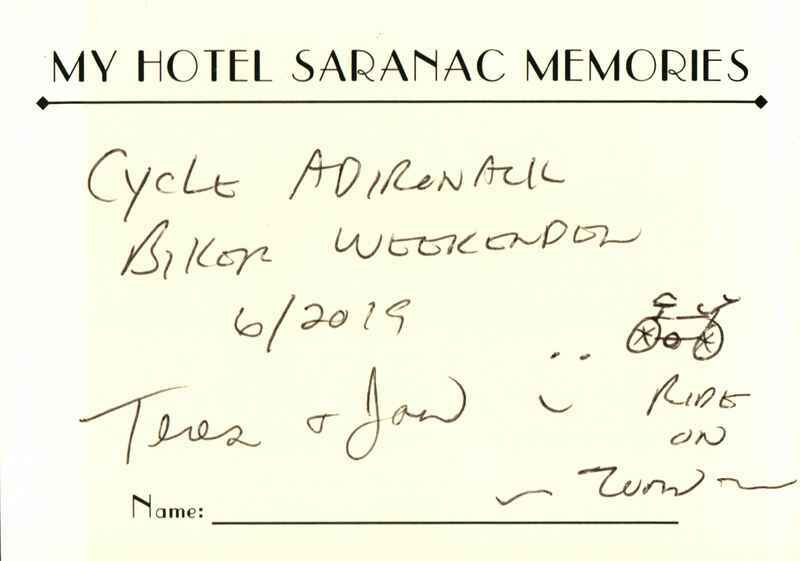 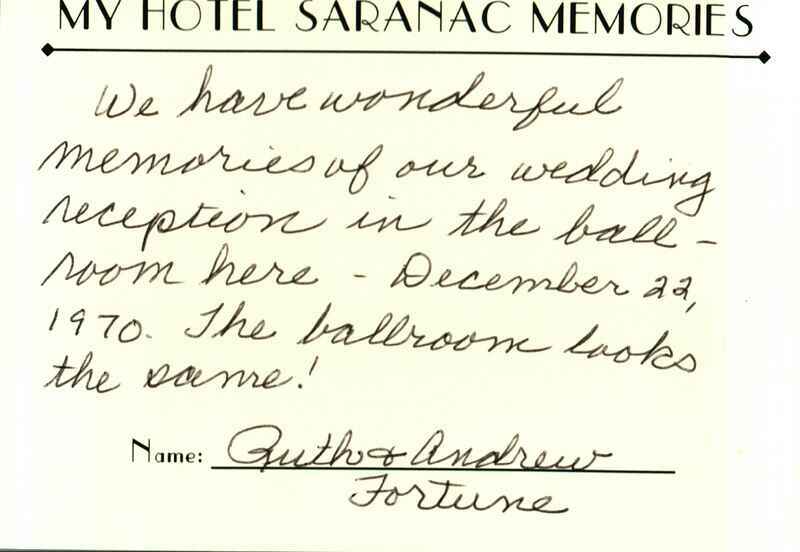 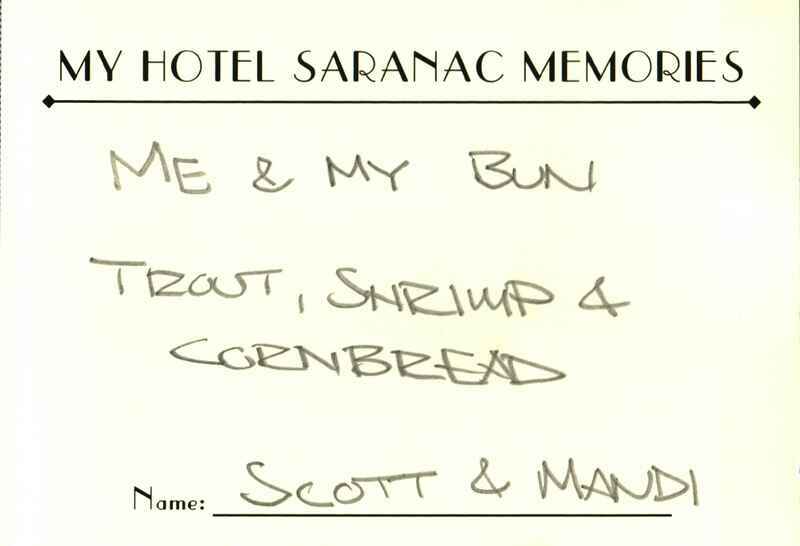 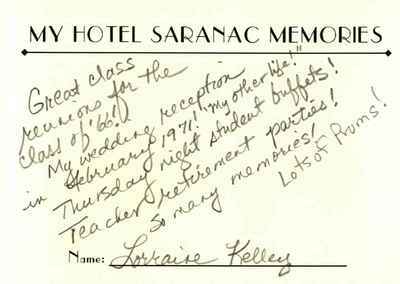 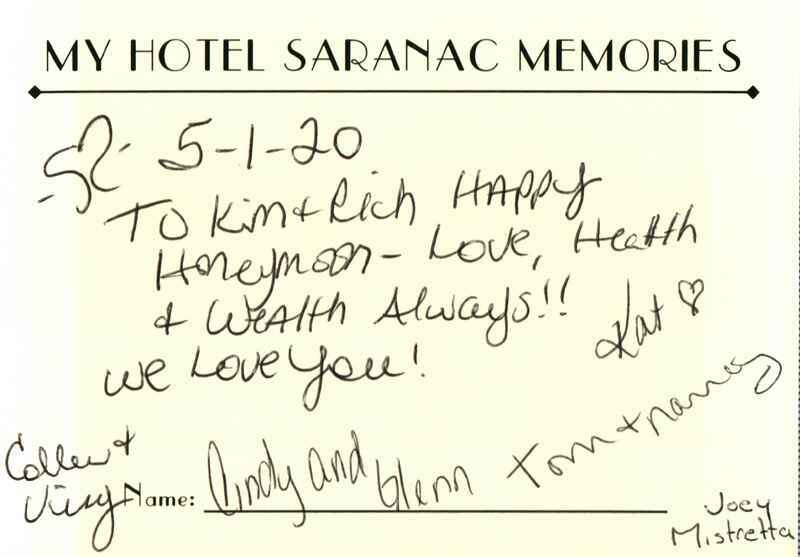 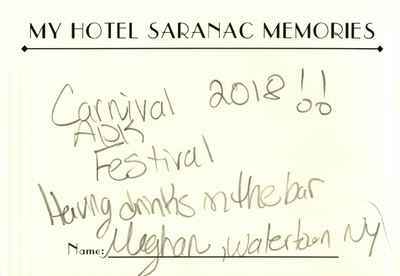 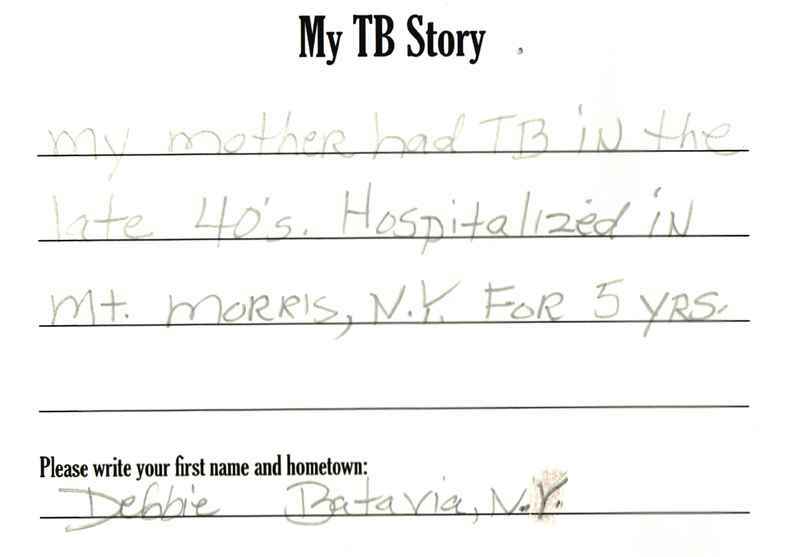 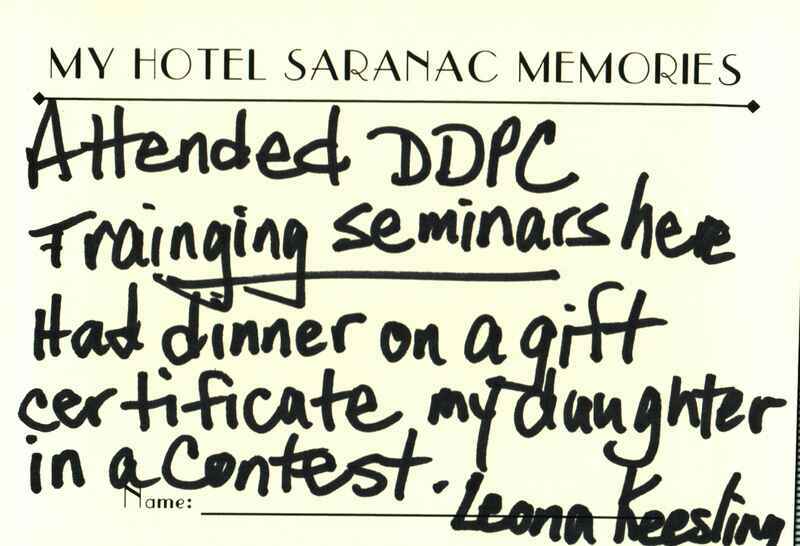 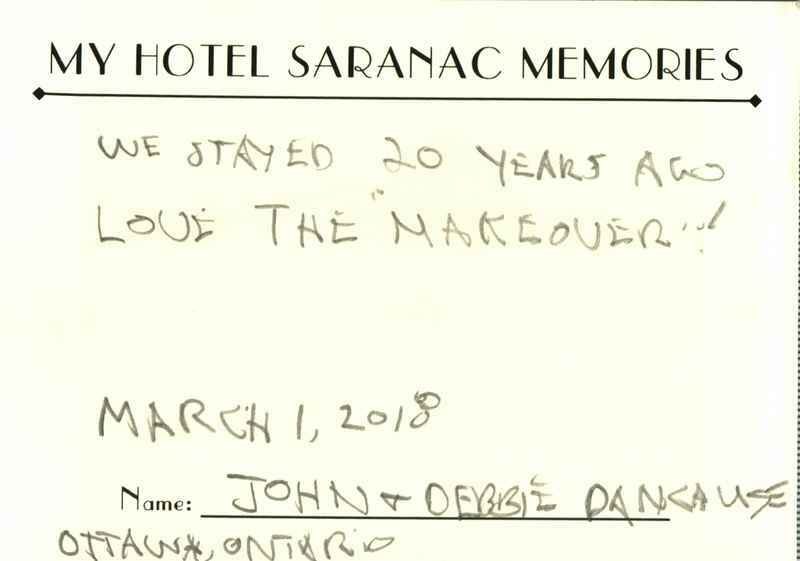 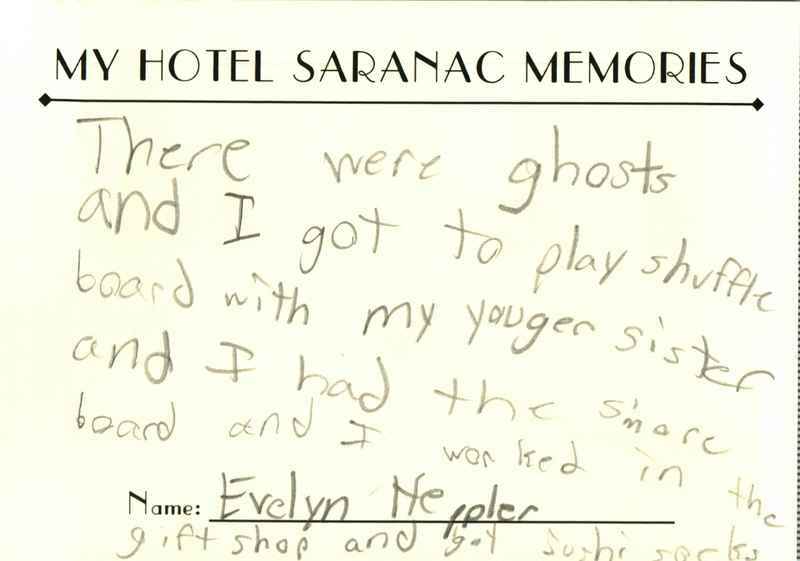 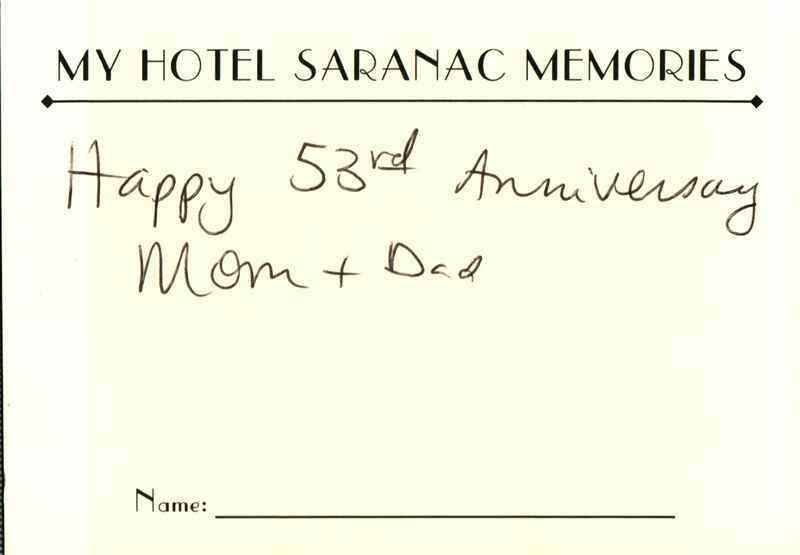 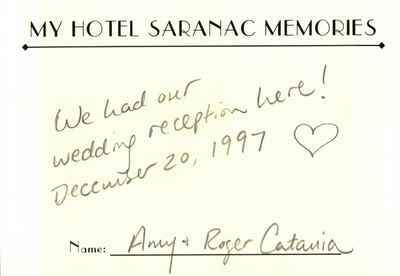 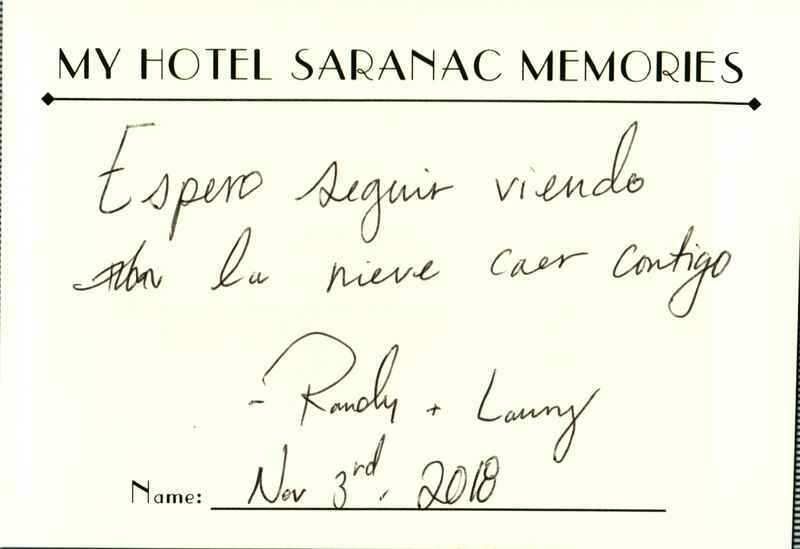 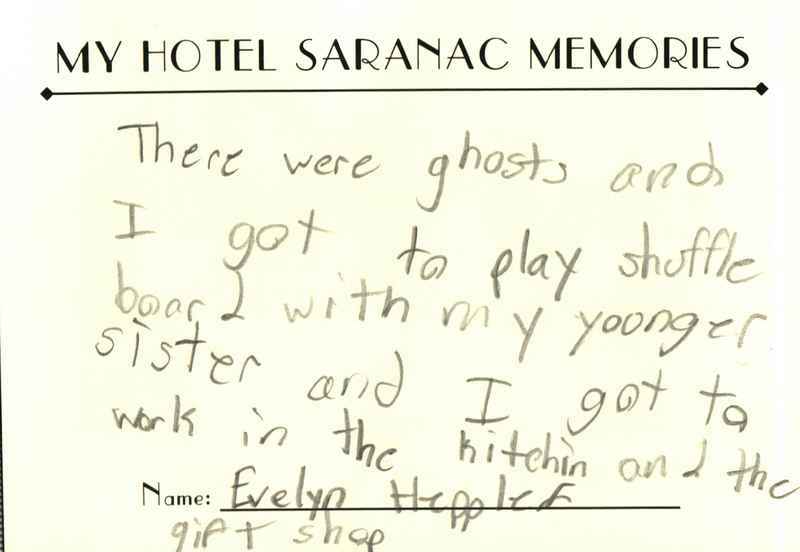 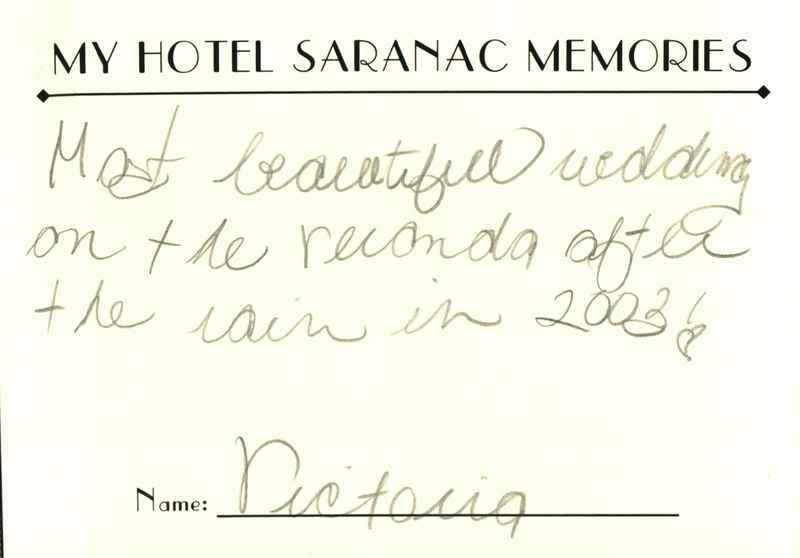 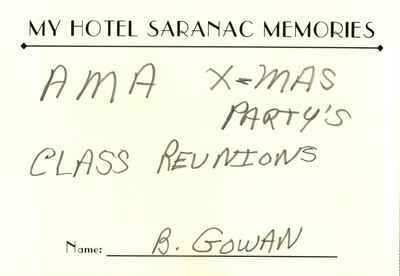 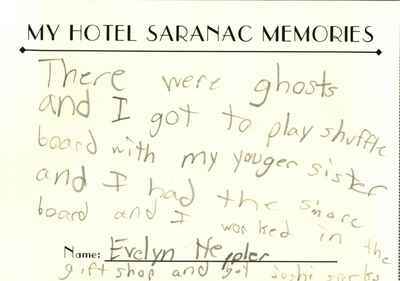 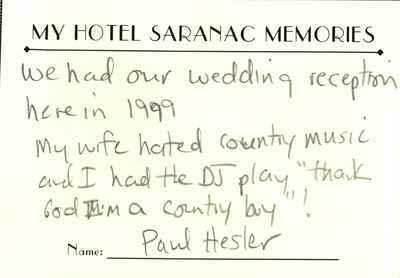 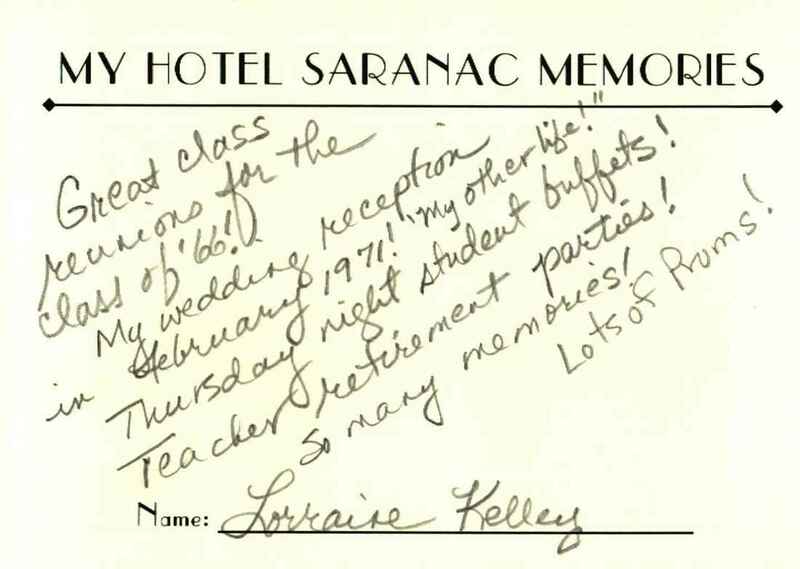 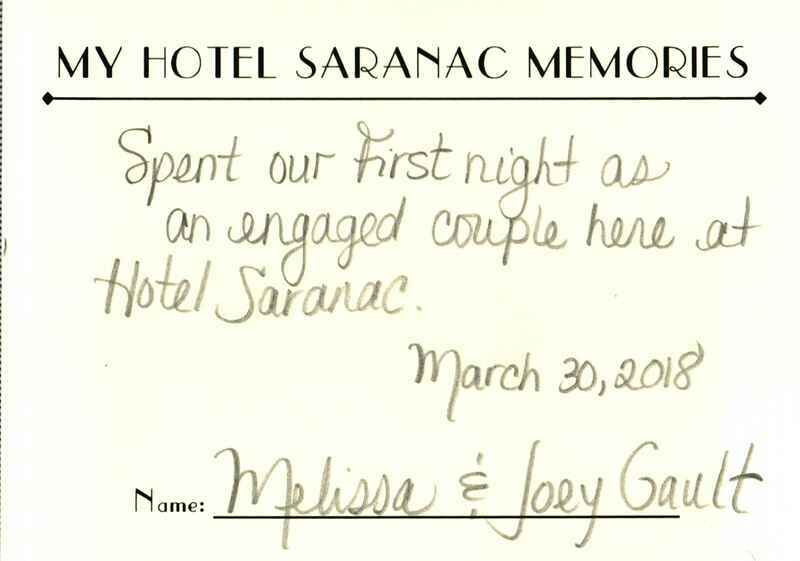 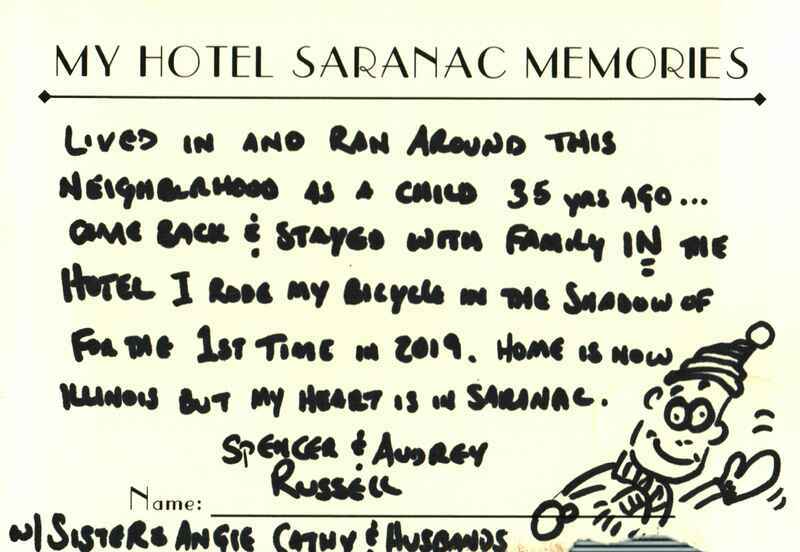 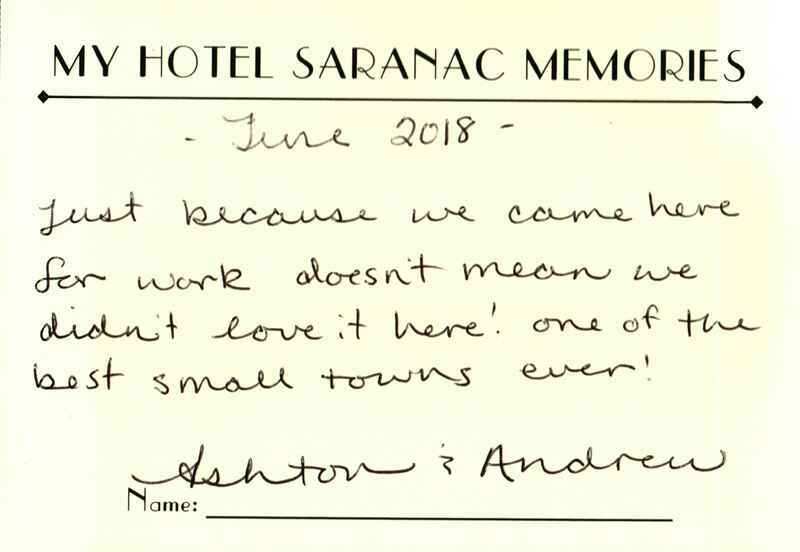 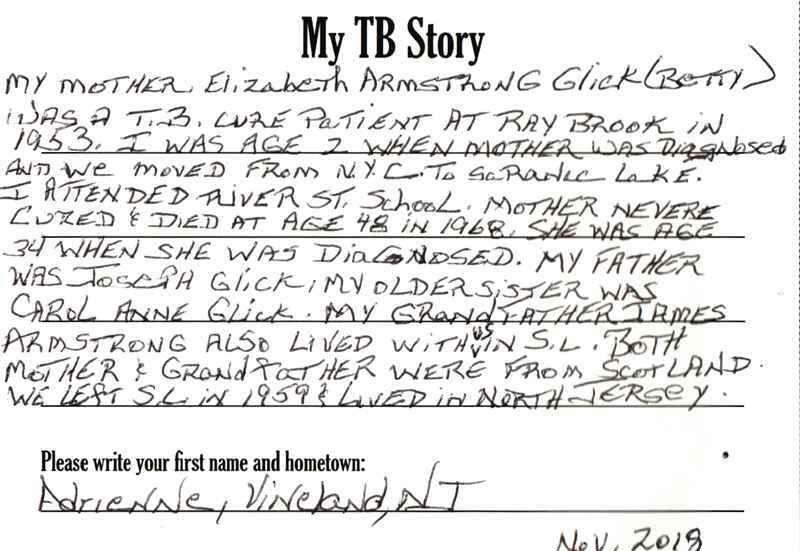 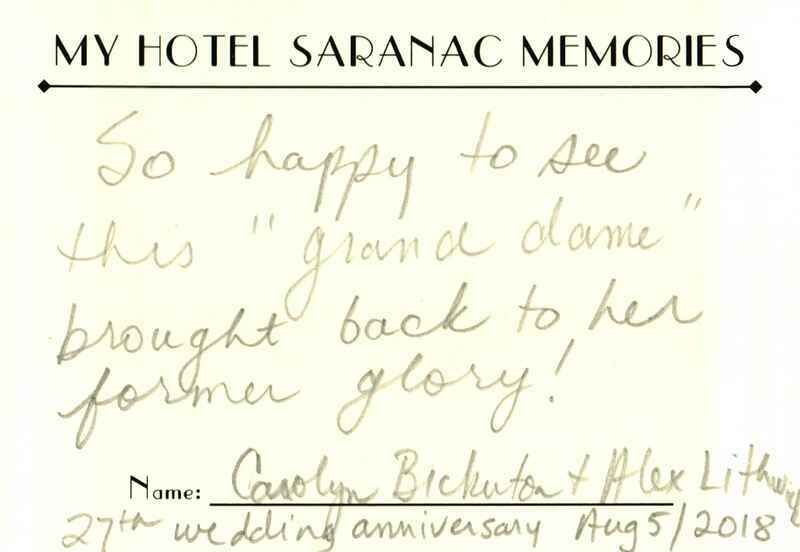 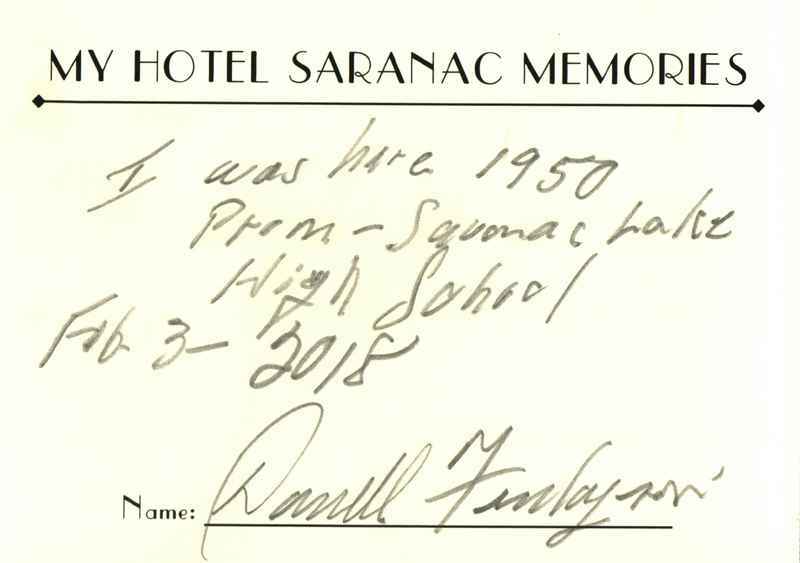 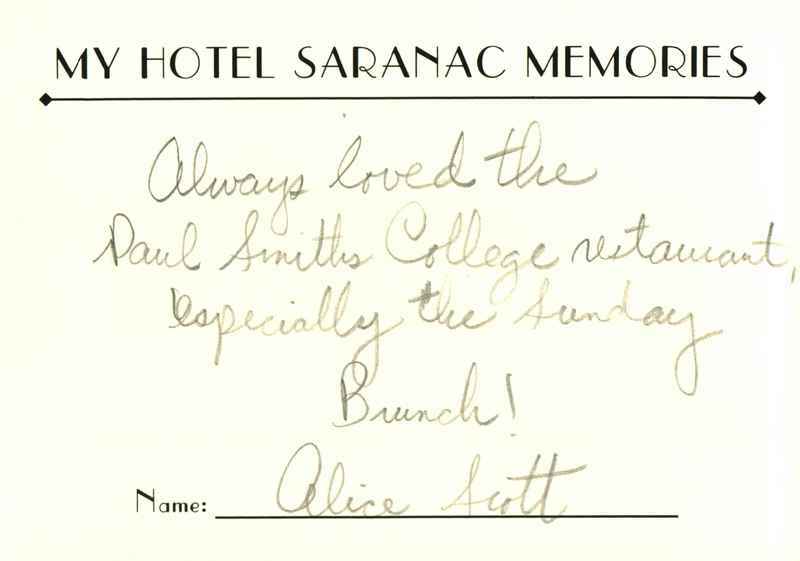 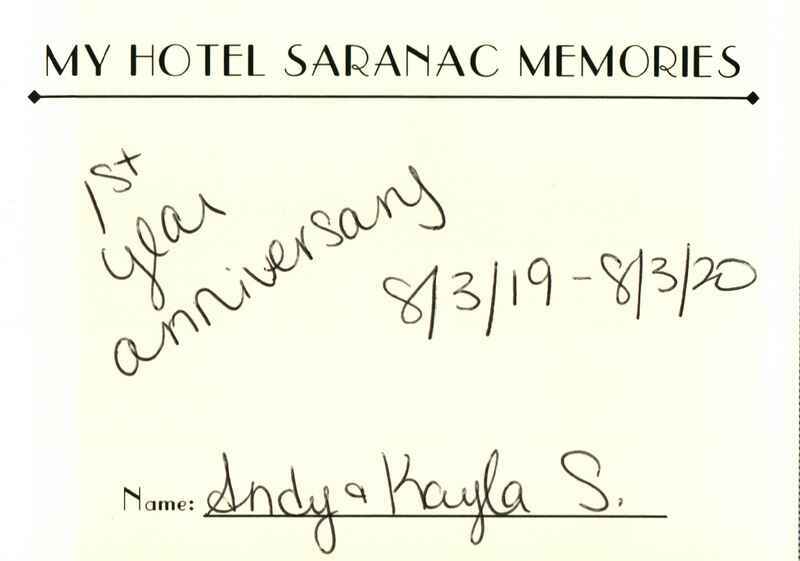 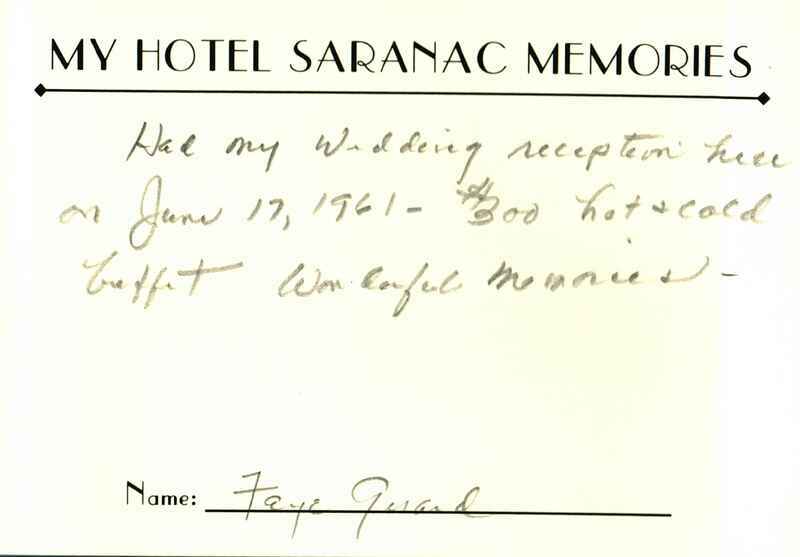 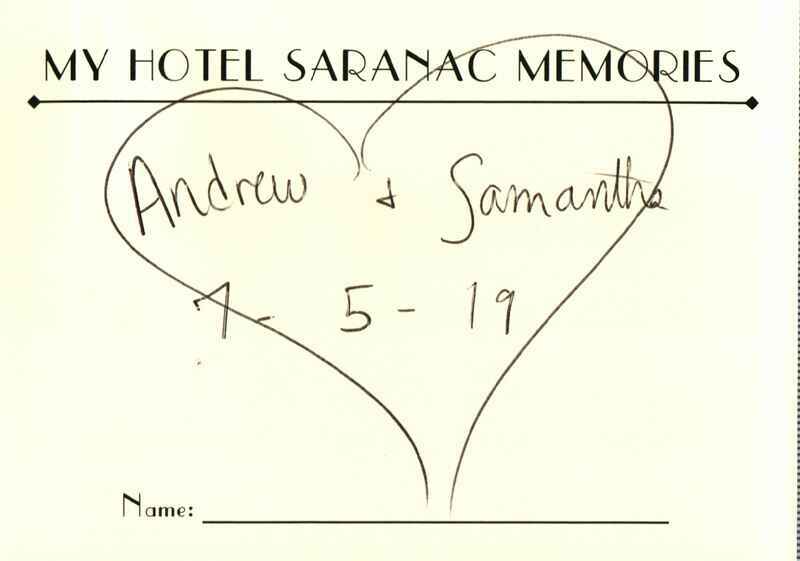 Stop by Hotel Saranac to write your own card or click here to share a memory with us online.